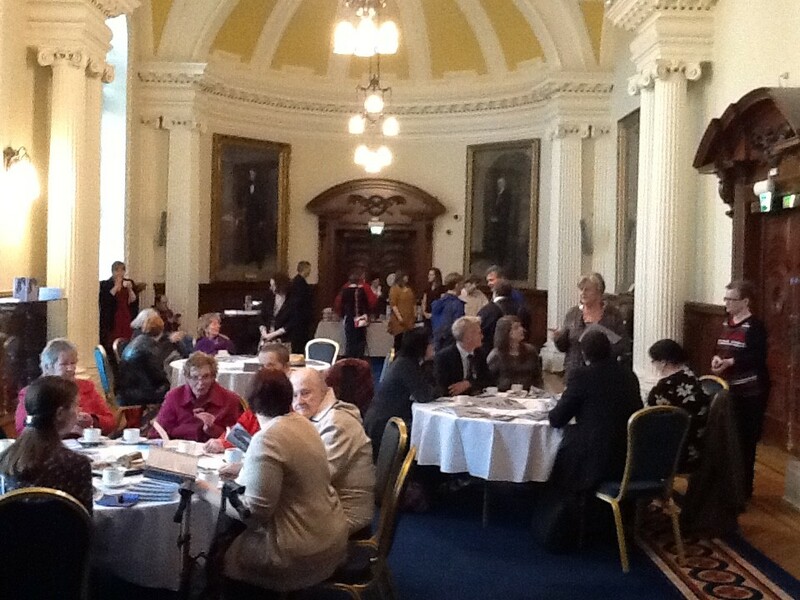 Pictured: Photograph of the Open Arts Community Choir in the Great Hall at Stormont. Smiles everywhere to celebrate 18 years! 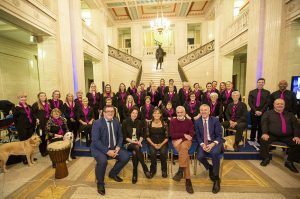 On the 2nd of November the Open Arts Community Choir celebrated their 18th birthday by playing a concert at the Great Hall at Stormont as part of the Belfast International Arts Festival. Dubbed ‘Something Inside So Strong’, the concert featured music by Aretha Franklin, Nina Simone, Tina Turner and The Jackson 5 (and many more!). The concert was hosted by the award winning BBC NI broadcaster John Toal who interviewed our amazing choir members about their personal experiences and memories in between performances. 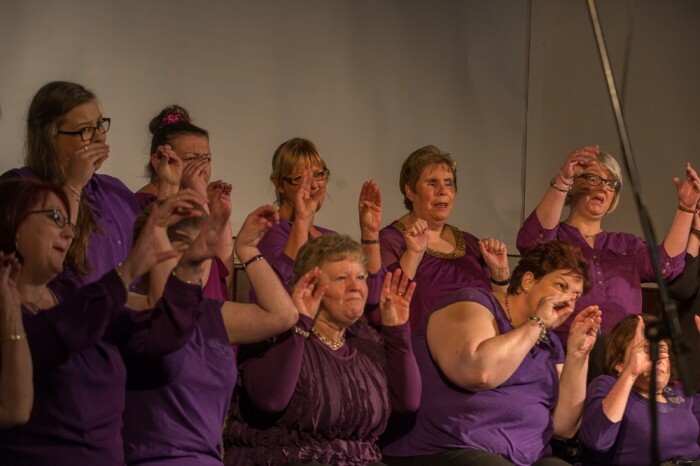 Over the past 18 years our choir has gone from strength to strength, performing on prime time TV, competing in the highest levels in the most prestigious venues across the UK, Ireland and the USA and winning hearts and competitions wherever they go. In 2017 the choir even represented Northern Ireland in the European Choir Games and brought home two gold medals, a gold diploma and a silver diploma. 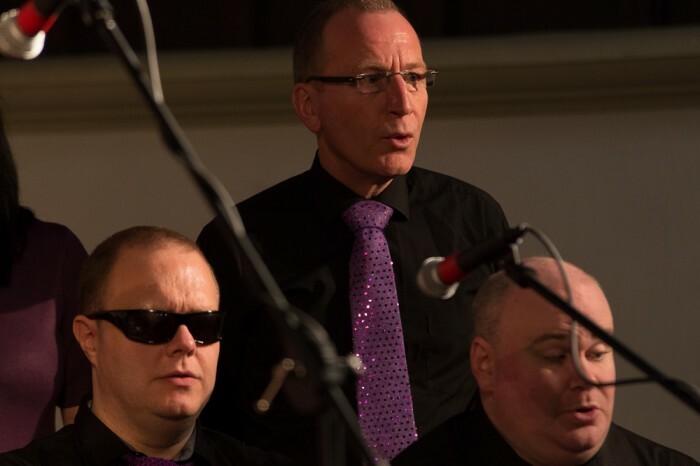 Our world renowned choir was set up back in 2000 to carry out the vision of Open Arts-to promote the creativity and artistic contribution of disabled people. 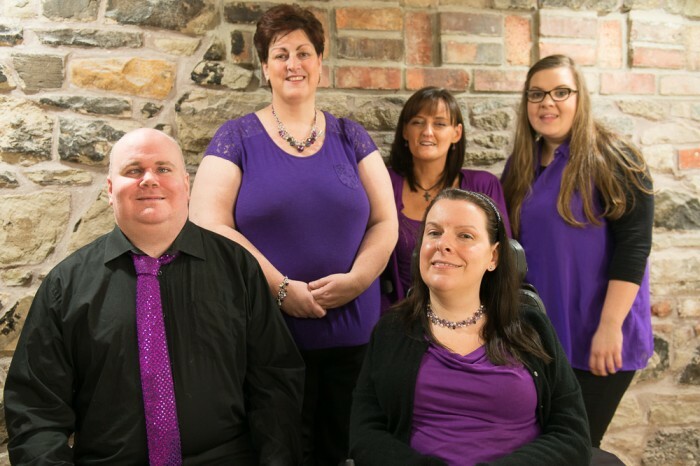 Today the choir features 35 members from all over Northern Ireland who have a range of disabilities; physical disabilities, visual impairment and mental health issues. The huge successes of our choir serve as a testimony to the great talent and dedication each member has. Happy 18th birthday to our choir, we all look forward to what you have in store for us in the future! Luminous Soul Goes to Portugal! 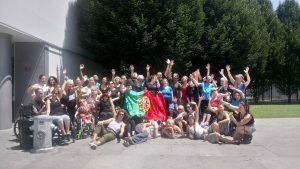 In July the international and inclusive dance festival, Meet Share Dance, took place in Porto, Portugal so, naturally, we had to go. Six members of Luminous Soul went to the festival along with our CEO Eileen and our representatives took part in several workshops with instructors from across the world. On the last day our dancers, along with the other attendees, performed an improvised piece in Trinidade Square (a central square outside a main metro station in the city). 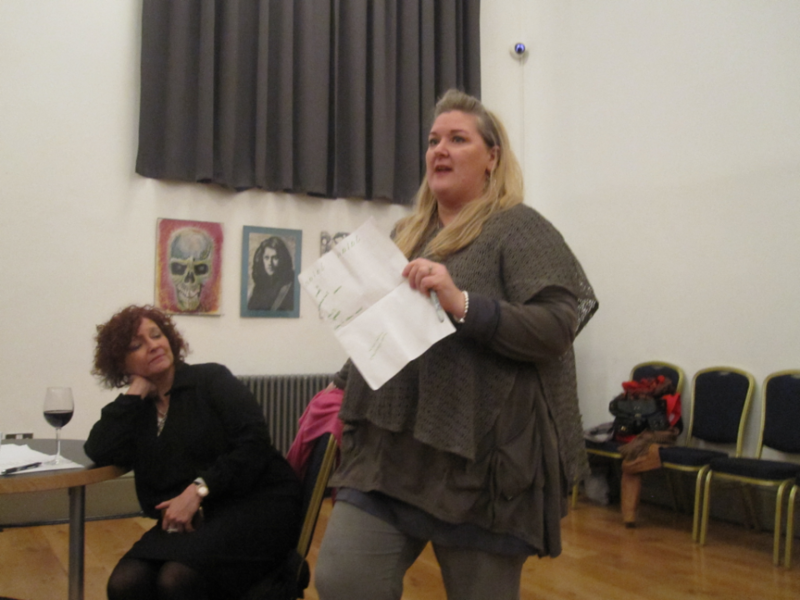 We even facilitated one of the workshops ourselves which was led by Helen Hall and Sheena Kelly and supported by Luminous Soul. Emboldened by this we may have come up with a special way to commemorate Luminous Soul’s 10th birthday in 2019, watch this space to find out more! All in all it was a wildly successful trip and we are so proud of Luminous Soul for not only going out there but also for developing confidence in their abilities as an amazing dance group. Thanks for showcasing what Open Arts has to offer! And thanks to Meet Share Dance for having us (we love you). 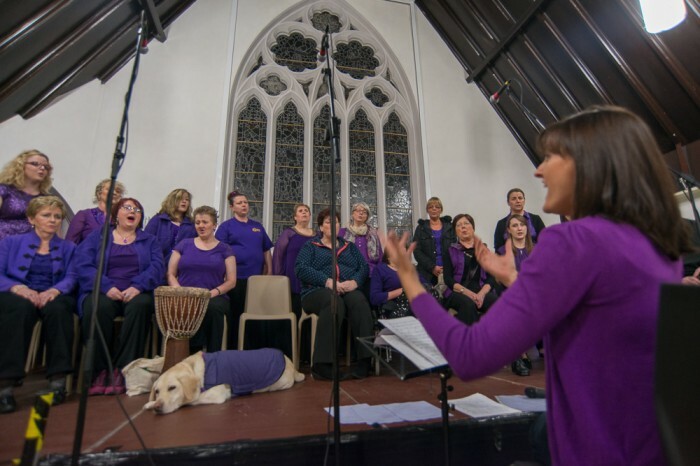 The performance will include a selection of group dances, duets and solos, performed to live choral music from Open Arts Community Choir including a special guest appearance from local singer/songwriter, Donal Scullion. Originally performed during Bounce! Festival in Spetember 2017 this is another chance to experience the stunning dances with beautiful music. An evening of festive songs performed by the Open Arts Community Choir & friends in the beautiful candlelit surroundings of St Peter’s Cathedral. Guest appearances from Donal Scullion, Bronagh Broderick, Jonny Mac, and Ballyclare Victoria Flute Band. 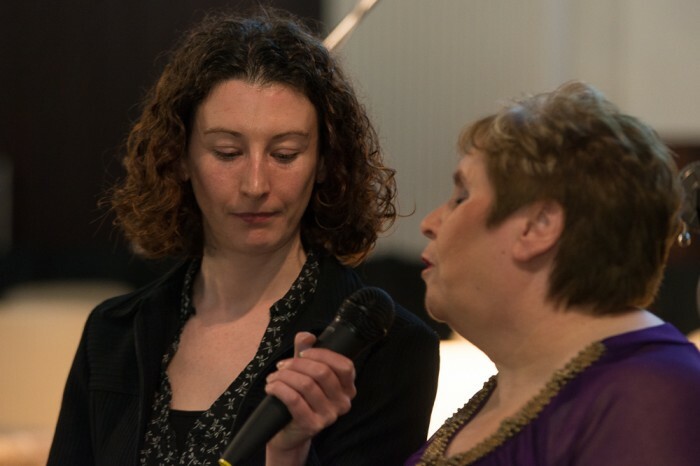 If you need to be accompanied by your carer/personal assistant, please get in touch with Open Arts on 028 90 240765. 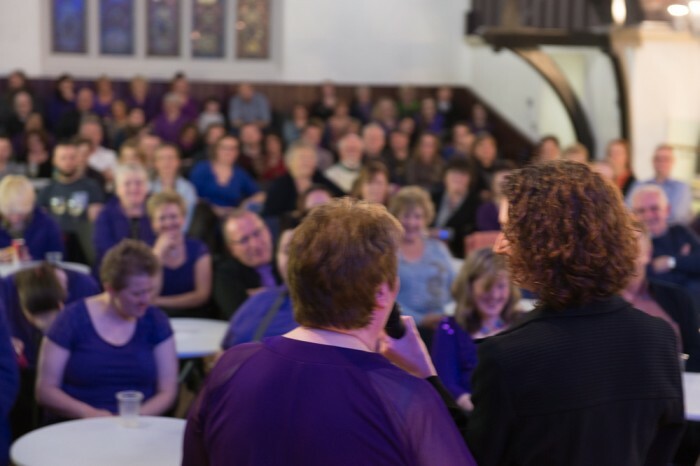 Luminous Soul, accompanied by Open Arts Community Choir, will present a selection of work, which has been developed over the past year, including their most recent work in progress. The performance is being presented as part of the annual Bounce! 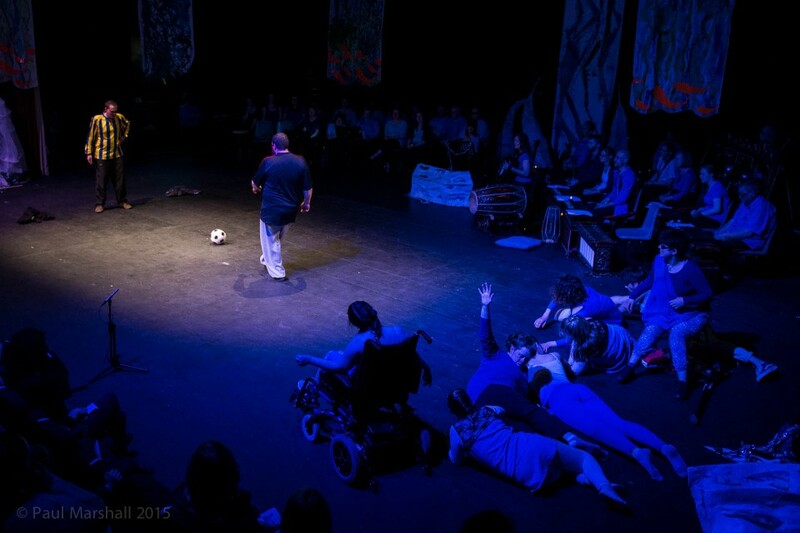 Festival, which is organised by The ADF (Arts & Disability Forum). 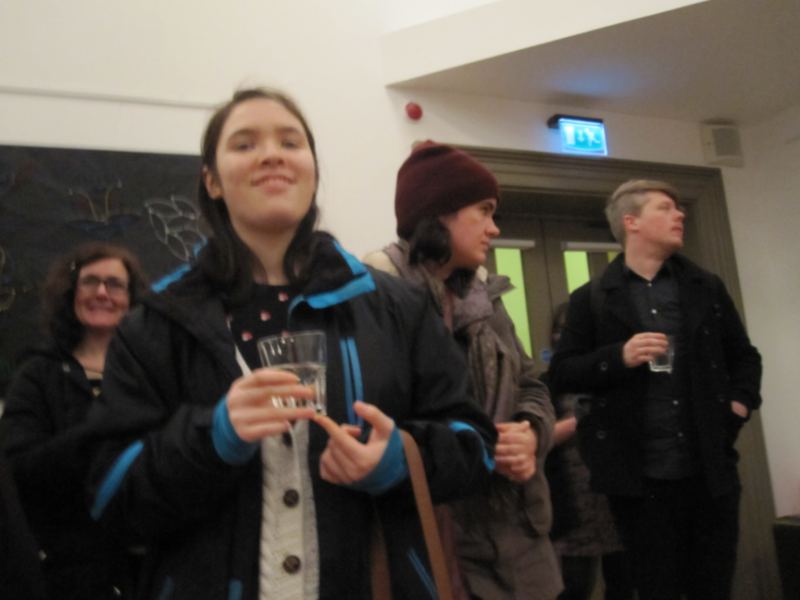 40 members from our visual art groups took part in guided tours of ‘Lost in Narration’, a major exhibition guest curated by Manuela Pacella at the MAC. 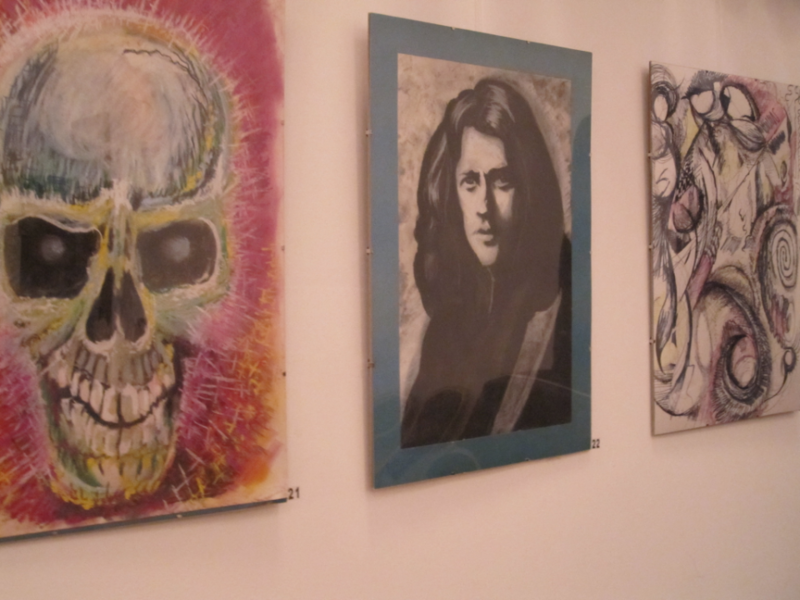 The exhibition brought together several multi-layered projects across a range of media by Italian artists Riccardo Giacconi, Invernomuto and Luca Trevisani. 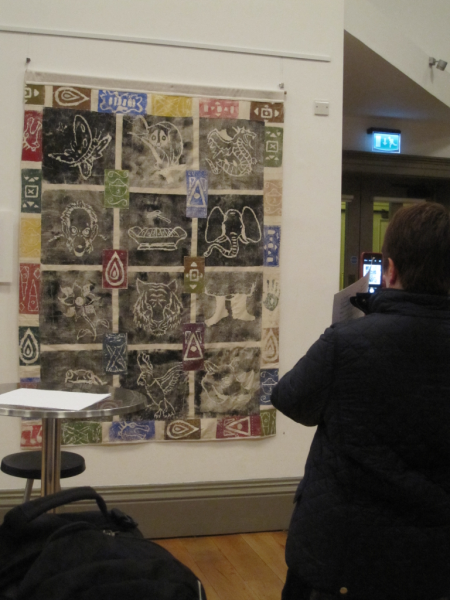 The participants then responded to this work by creating their own exhibition which was inspired by ‘Lost in Narration’ in particular Luca Trevisani’s film ‘Sudan,’ which explores their own memories and recollections of their visit. 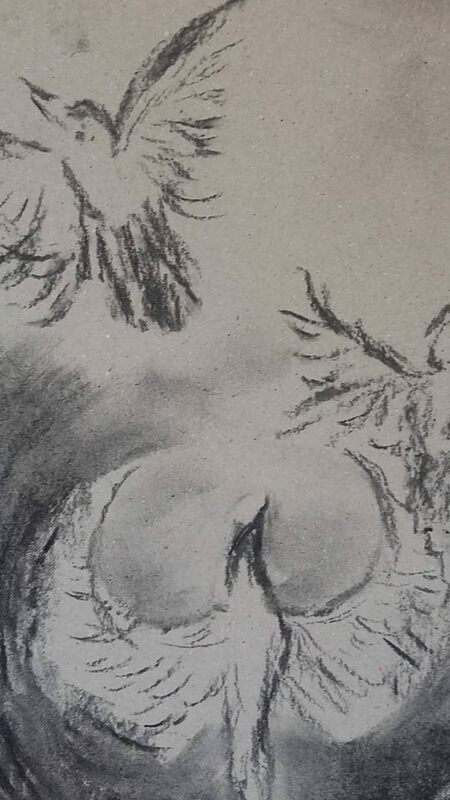 They have used a range of techniques to create the work including; blind folding and other drawing exercises, collage, collaborative creation of new images, experimenting with textural materials and printmaking. 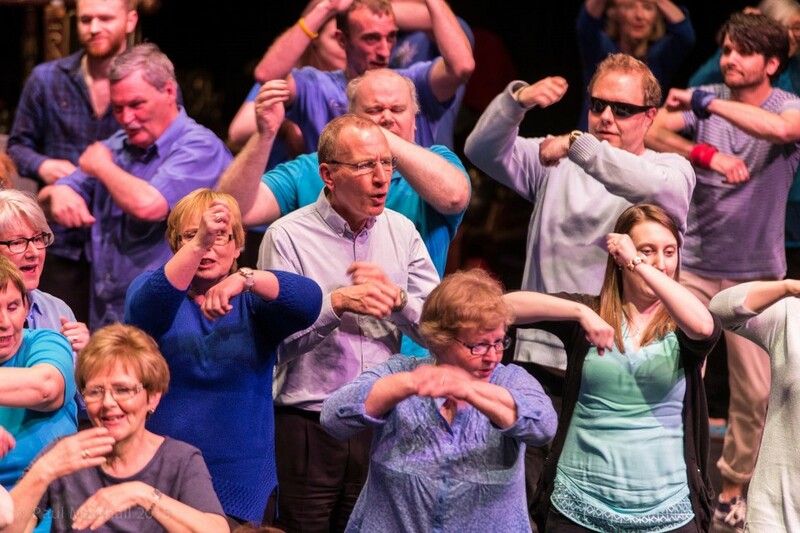 Open Arts Community Choir win triple gold at European Choir Games! 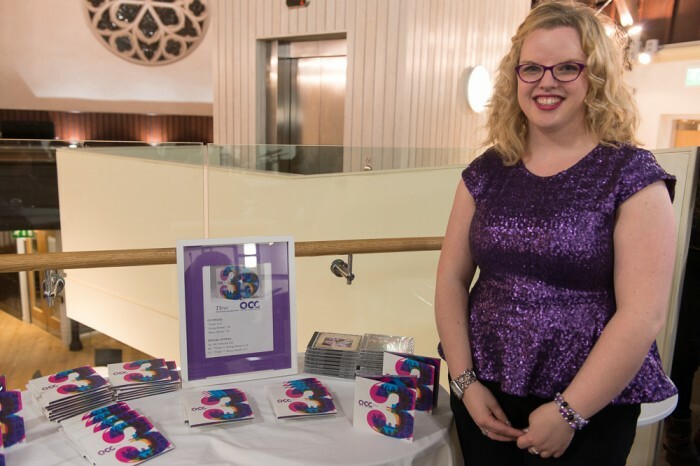 The Open Arts Community Choir has returned from representing Northern Ireland at the European Choir Games in Riga, Latvia with an impressive two gold medals, a gold diploma and a silver diploma. 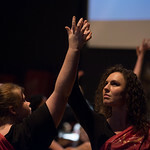 The choir progressed through all three levels of competition at the European Choir Games – from the Open Competitions, through to the European Champions and finally the Grand Prix of Nations – competing against choirs from all over the world, including Canada, Russia and the USA. In the Open Competitions the choir received a silver diploma in ‘Folklore A Capella’ and a gold diploma in ‘Adult – Mixed Voices’. 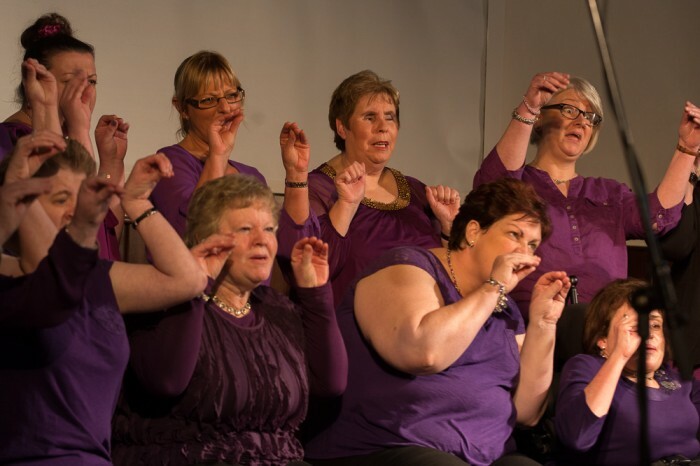 In the European Champions competition they won a gold medal in ‘Adult Choirs – Mixed Voices and another gold medal in the same category in the Grand Prix of Nations. 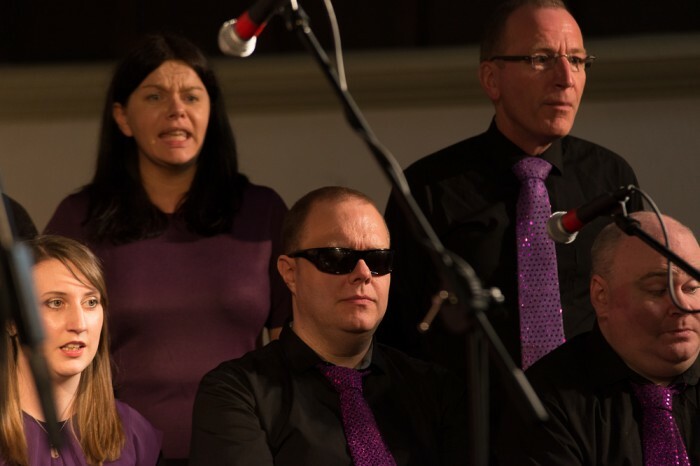 Formed in 2000 by Open Arts, one of Northern Ireland’s most dynamic arts and disability organisations, the choir features 35 members from all over Northern Ireland who have a range of disabilities: physical disabilities, visual impairment and mental health issues. 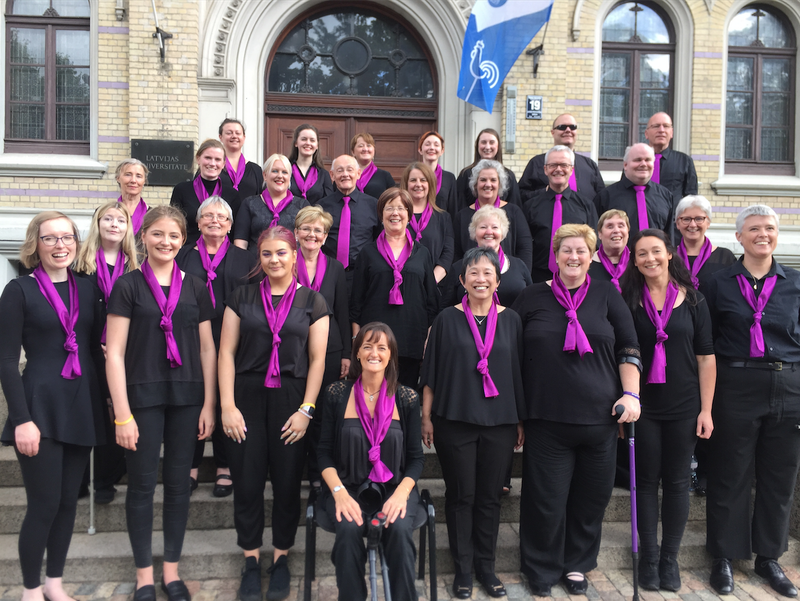 During their visit to Latvia, the Open Arts Community Choir had several opportunities to perform, compete and network with other internationally renowned choirs. They also participated in a South African music workshop, and received a choral coaching session from conductor David Slater, who is Australia’s Ambassador to the World Choir Council. 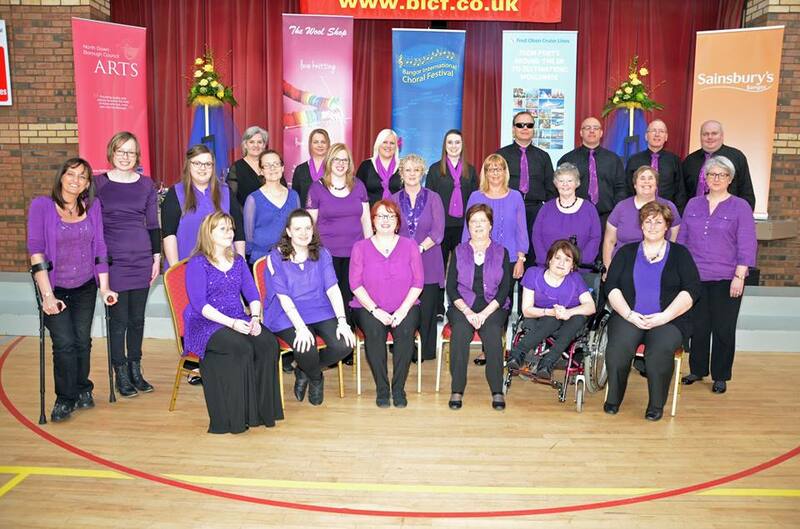 The Open Arts Community Choir is set to represent Northern Ireland in the European Choir Games in Riga, Latvia, from 16 -20 July 2017. 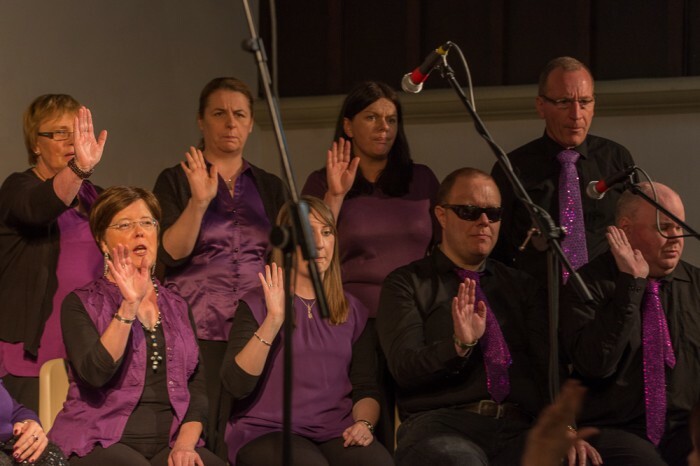 Formed in 2000 by Open Arts, the choir features 35 members from all over Northern Ireland who have a range of disabilities: physical disabilities, visual impairment and mental health issues. During their visit to Latvia, the Open Arts Community Choir will have several opportunities to perform, compete and network with other internationally renowned choirs, plus the chance to have individual coaching and performance evaluations with well-known conductors and to compete in the prestigious European Champions Competition. To help the choir on their way to Riga, a fundraising event was held in Rockmount Golf Club on Friday 23 June with support from overall event sponsor The Medicare Groupand many others, who contributed to the Golf Classic. 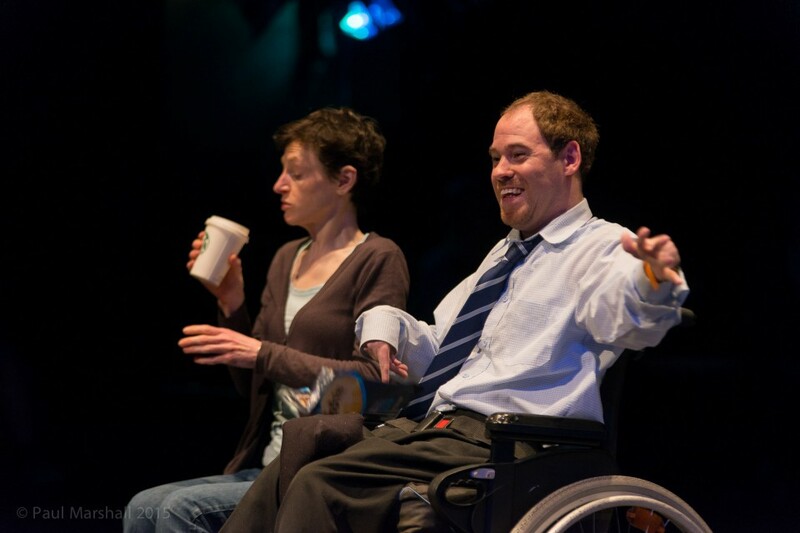 In 2017 Open Arts is celebrating 25 years of engaging disabled people in the arts. 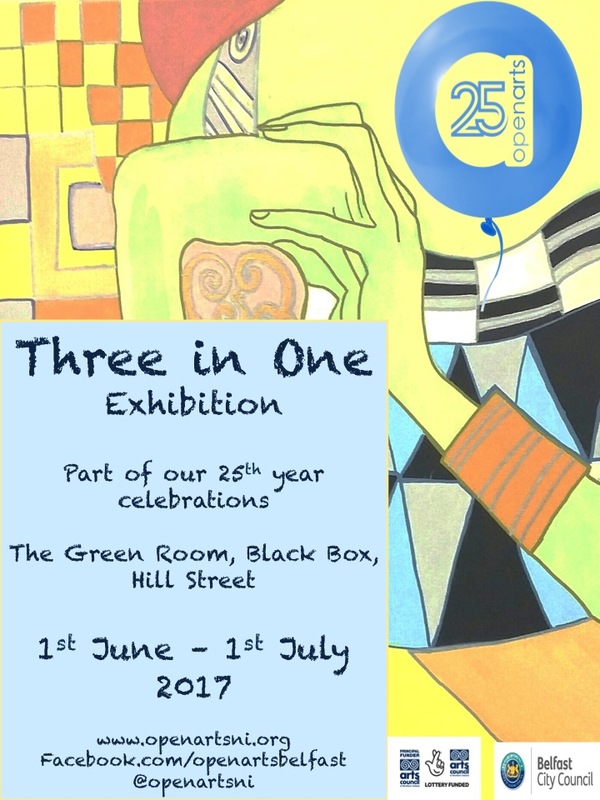 As part of our celebrations, we will exhibit ‘Three In One’ in The Green Room at The Black Box throughout the month of June. 1 Monday Morton group work on crafts, textiles, individual pieces and group projects. 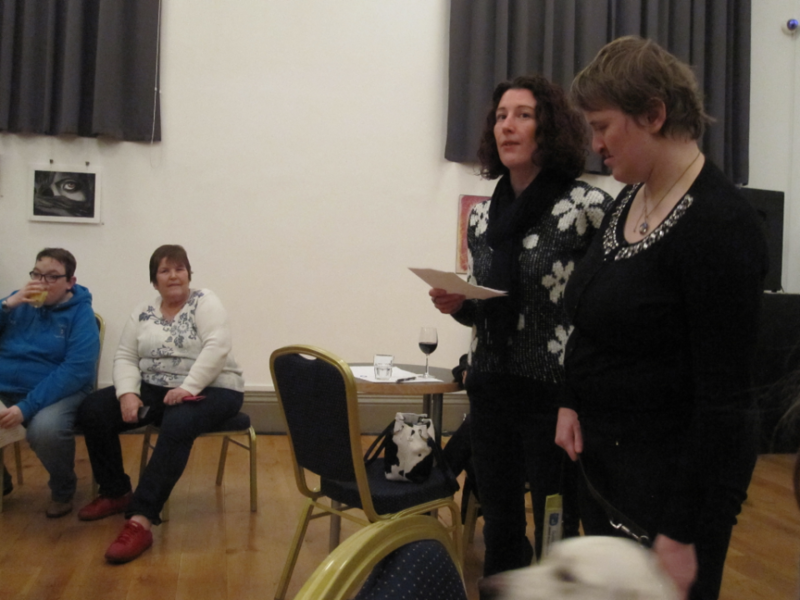 2 Acorn Arts, based in Divis Community Centre, for blind or visually impaired people. 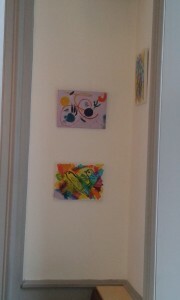 3 Open Art, based in the Crescent Arts Centre. They each have their own specific interest and talents in particular media. They are facilitated to each work independently. 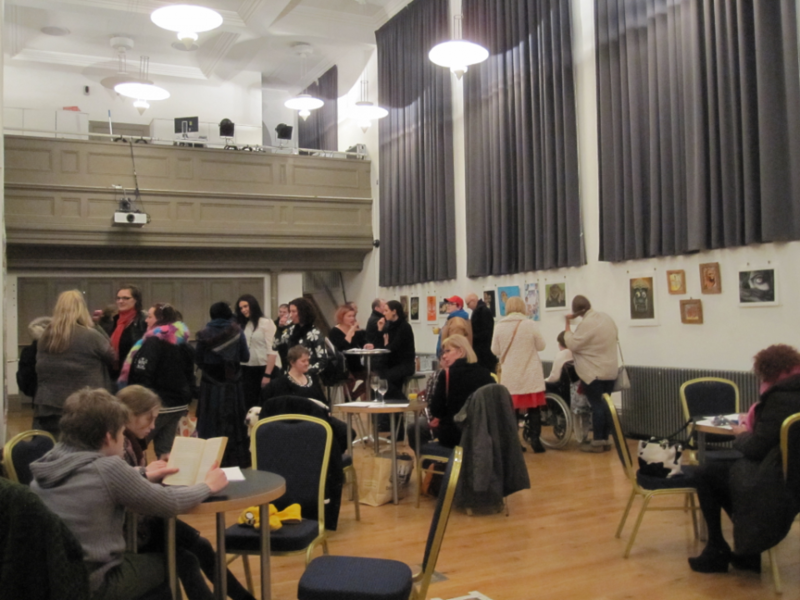 The groups have exhibited In Linen Hall Library, Ulster Hall, The Barge and Crescent Arts Centre over the past few years. Our exhibitions are always varied and interesting as we have such a range of people involved in the producing the artwork. The artwork will include individuals’ work from across our 3 visual arts groups encompassing an eclectic selection of various subjects such as landscape and still life using a wide range of media and techniques including: embroidery, fabric manipulation, watercolour, pastel, mixed media collage, action painting and stencilling. Each of the groups has been working on the pieces that will be exhibited over the past 6 months. 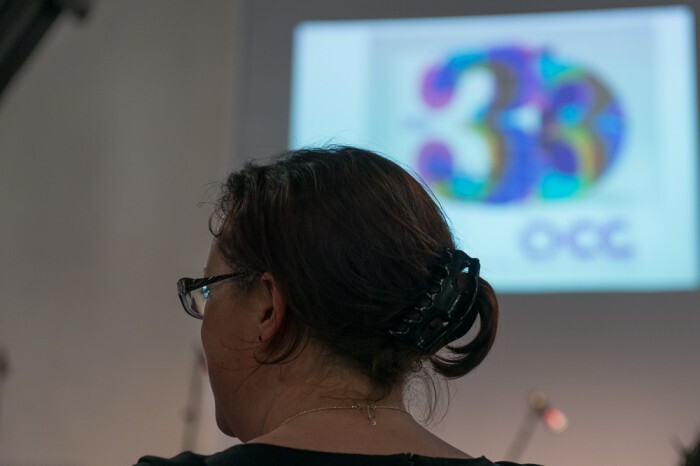 The exhibition will reflect the range of interests, materials & techniques across Open Art’s visual art groups and, indeed the scope and variety of all of Open Arts’ programme for disabled people. OACC with Donal Scullion and The Spider Collective at Cathedral Quarter Arts Festival. First Presbyterian Church, Rosemary Street. 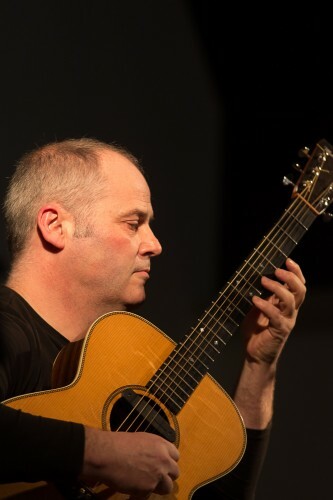 The Spider Collective is a 10-piece ensemble, which performs the beautiful, epic arrangements of Donal Scullion’s songs using everything from strings to glockenspiels. 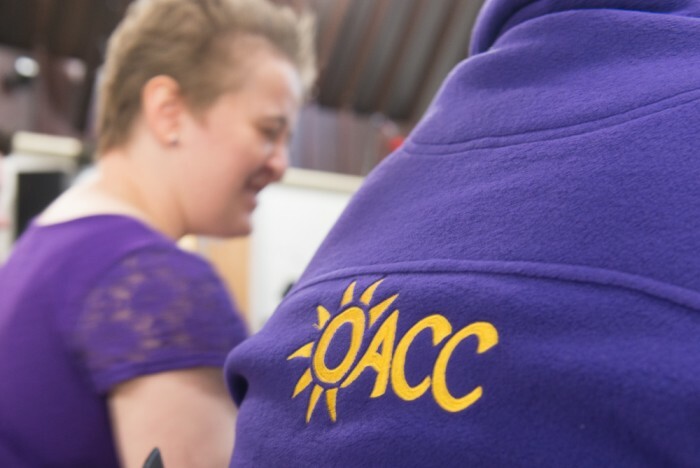 Open Arts Community Choir (OACC) is our critically acclaimed, inclusive choir. This will be a theatrical musical experience and ambitious performance with both groups joining forces for the event. 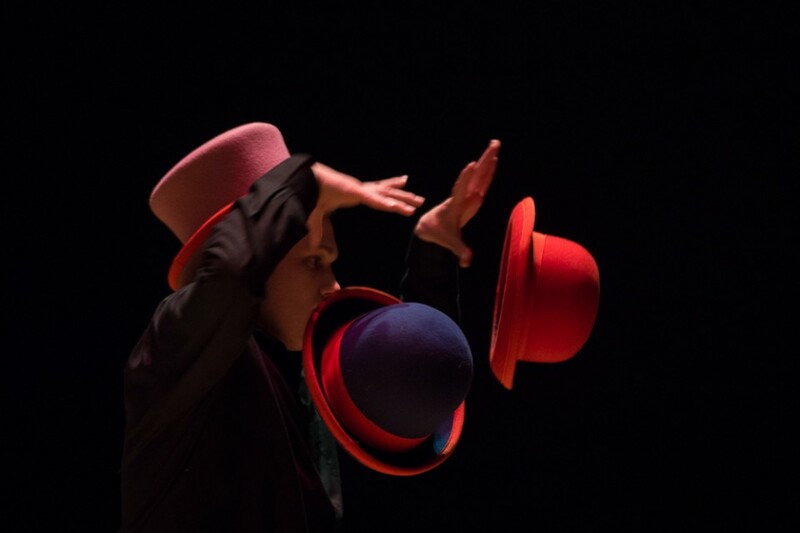 After the success of our performance of The Spellbound Boy in November, we are going to do it again… not once but twice at the Crescent Arts Centre! 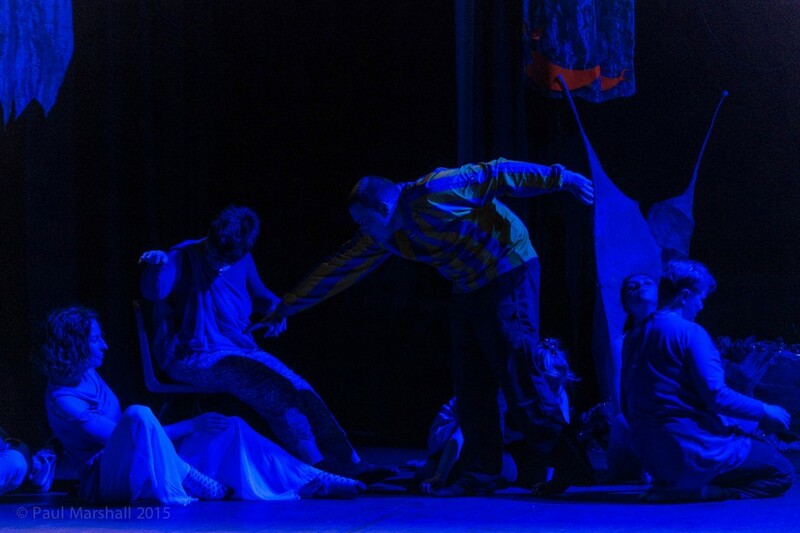 The performances will be on Sunday 19th March 3.00pm and 7.30pm (the 7:30pm performance will be audio described). Tickets are £8 or £5 available from The Crescent Arts Centre website by clicking on this link Tickets for The Spellbound Boy, by telephone on 028 90242 338 or in person from the Crescent Arts Centre reception/box office. The Spellbound Boy is the story of a troubled boy, who after being told off by his Mum, goes into a fit of rage and destroys many things in his bedroom. His belongings then come to life to show him the disappointment and hurt that his destruction has caused. What has caused this upset and anger? Can he put things right? Will he be forgiven…? 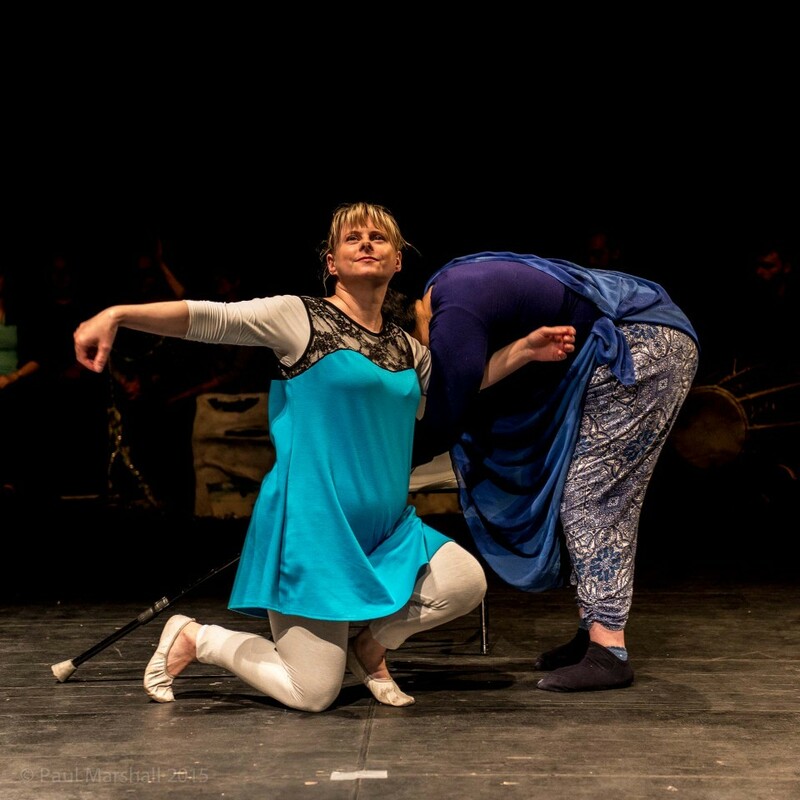 There is a magical array of spellbinding characters performed by a cast of 50 from Open Arts’ Community Choir, Luminous Soul dance, Monday Players drama and Gamelan ensemble. 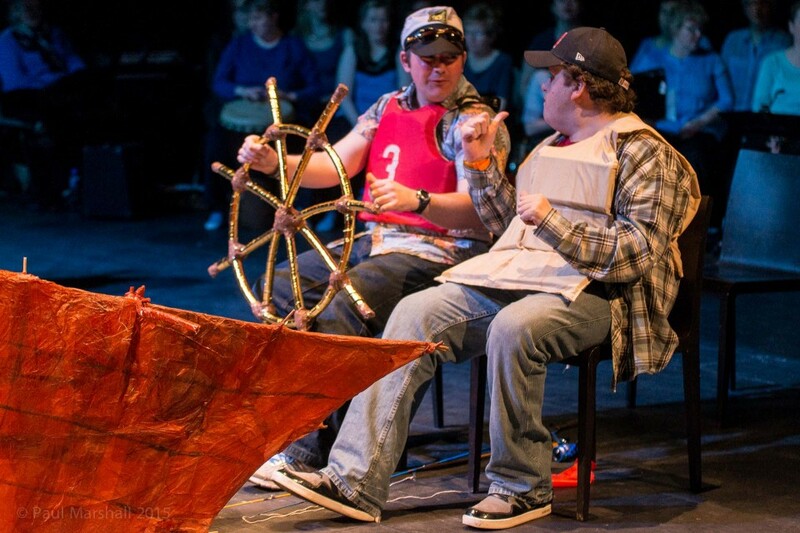 Open Arts’ creative writing group has added to the adapted libretto, musicians have added to the musical score and visual art groups have created props and costumes. 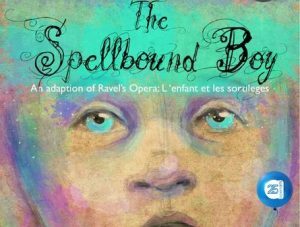 These performances of The Spellbound Boy are the first in a series of events in 2017, which will celebrate our 25th birthday! We are also the longest residing company in the Crescent Arts Centre so they are delighted to play host to this, our first event to mark our birthday celebrations! Words of Wisdom! engaged older people in a series of drama, storytelling, reminiscence and creative writing workshops with the aim of producing a book filled with the participants’ stories, memories and advice! 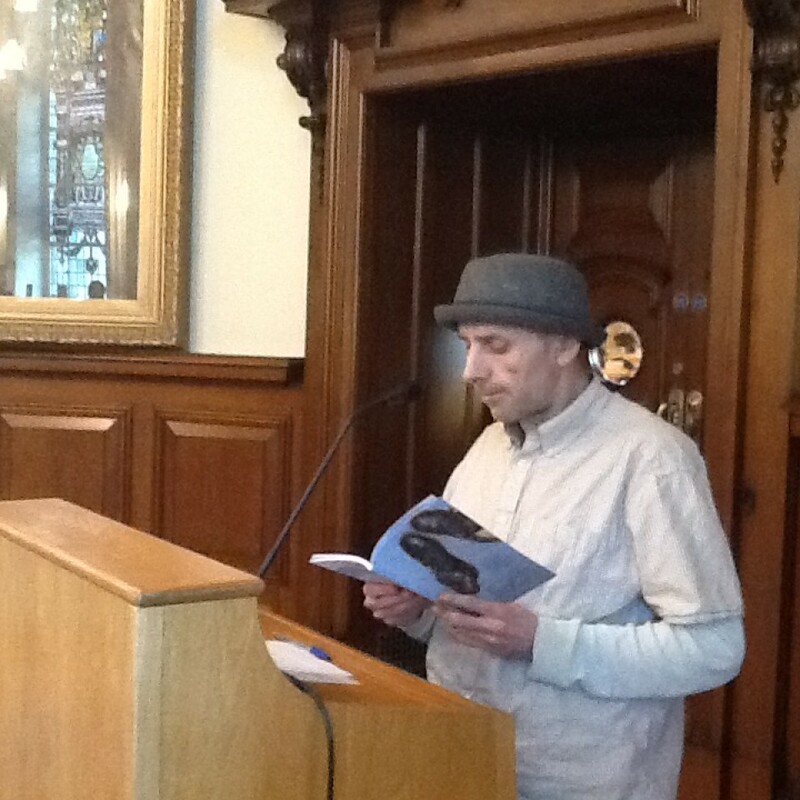 The Words of Wisdom book was launched on 28th April in The Duncairn Centre for Culture and Arts. An audio version of the book was also created and is available to stream from this link. 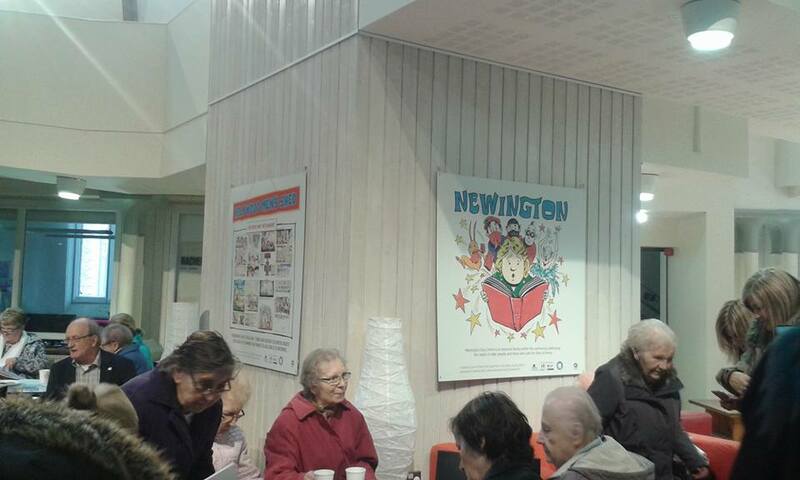 Supported by the Arts & Older People Programme. 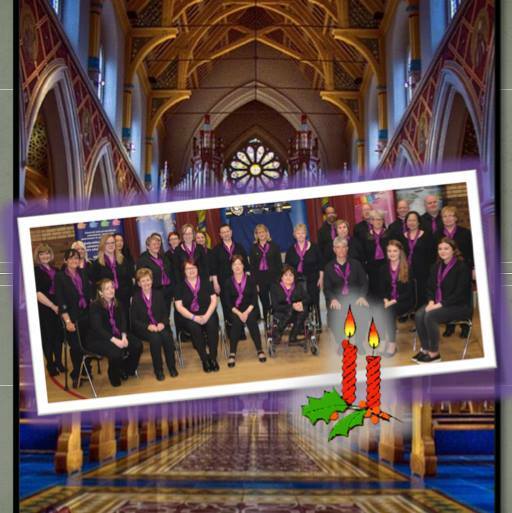 An evening of sacred and secular Christmas songs performed by the Open Arts Community Choir, Ballyclare Victoria Flute Band and invited soloists, in the beautiful surroundings of St Peter’s Cathedral. 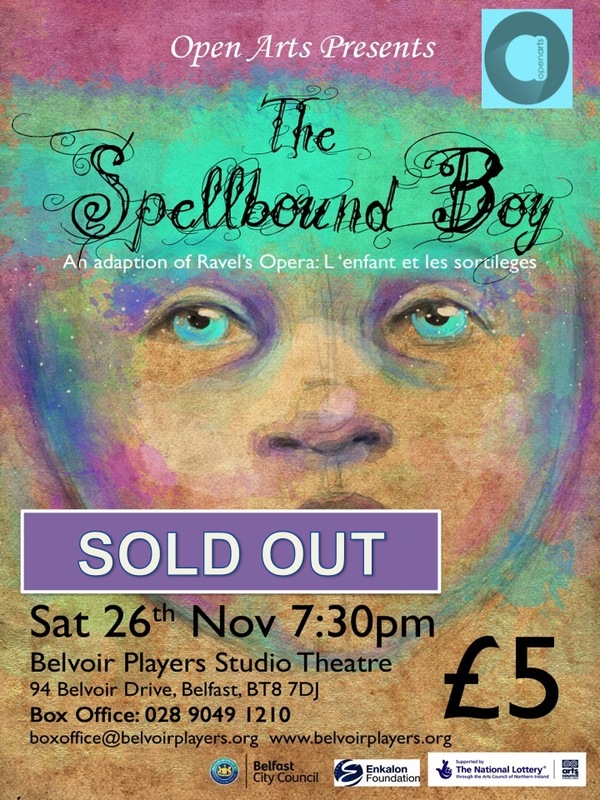 The Spellbound Boy – now sold out! This is the story of a troubled boy, who after being told off by his Mum, goes into a fit of rage and destroys many things in his bedroom. His belongings then come to life to show him the disappointment and hurt that his destruction has caused. Luminous Soul took part in Bounce Festival and, as usual, they wowed the audience. 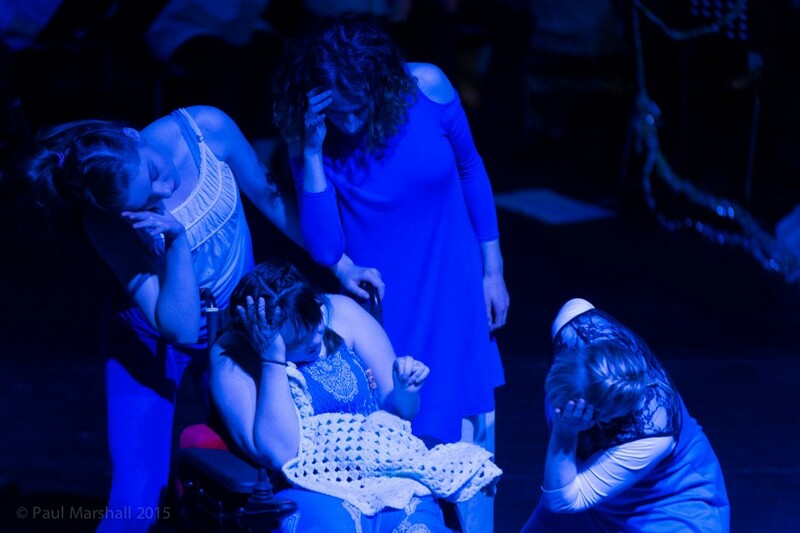 They were part of a triple bill of performances at the Lyric Theatre on Sunday 28th August, which also featured groups from KIC (Kids in Control). 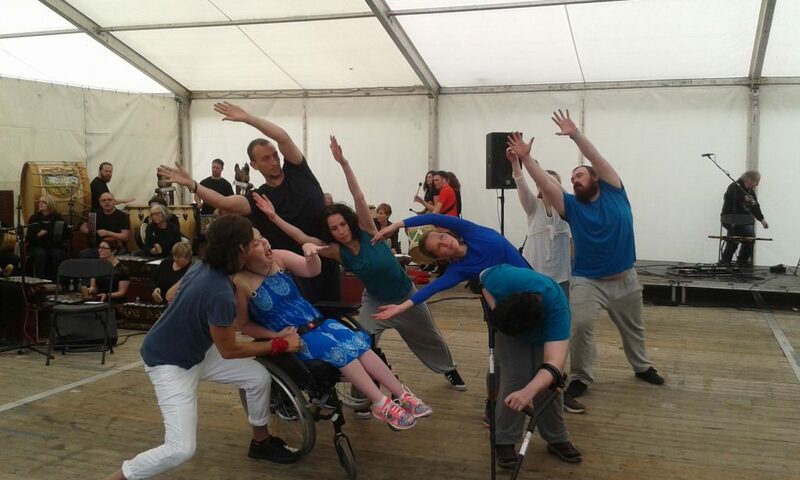 On Saturday 25th June our Gamelan Players and Luminous Soul dancers performed as part of the Beat Carnival Village event in Ormeau Park. 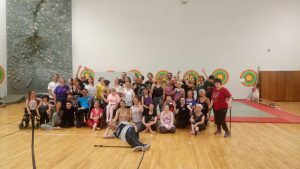 There was a new composition with Beat n Drum, lambeg and bodhrans players accompanied by Luminous Soul’s performance, which all received great feedback! 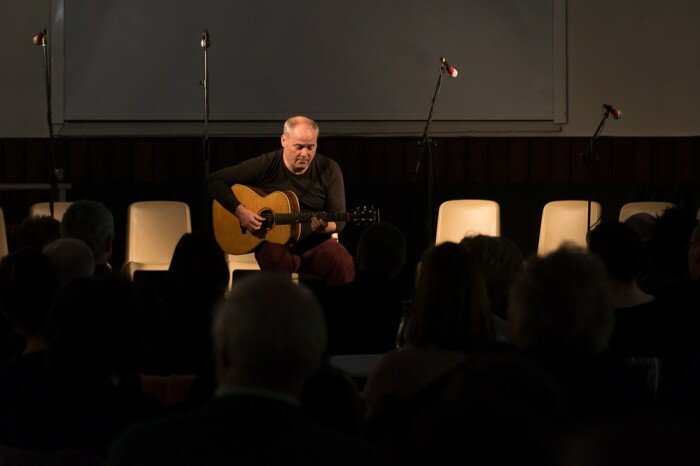 Luminous Soul performed at a conference on 22nd June at Queen’s University organised in partnership between the University and the Public Health Agency. 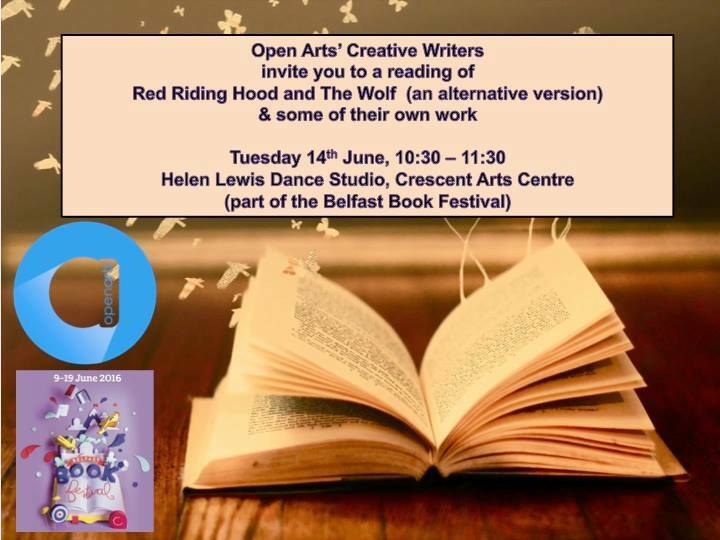 As part of Belfast Book Festival on 14th June, our creative writers accompanied by our Musical Director Bev McGeown performed Red Riding Hood and The Wolf (an alternative version), their adaption of the story. They also recited some of their individual work. 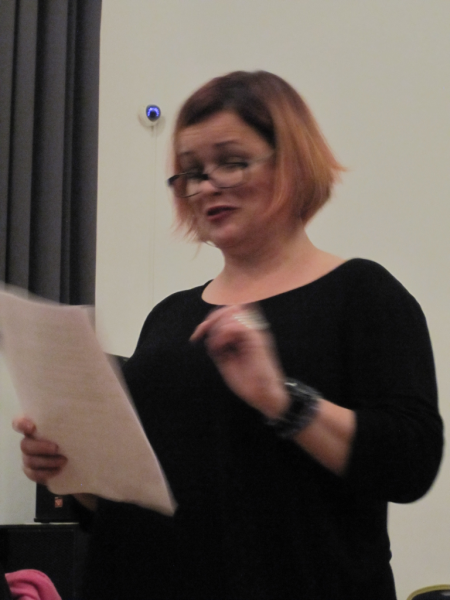 It was a small audience but those that were there gave great feedback and for some of the group it was their first time reading their work publicly. 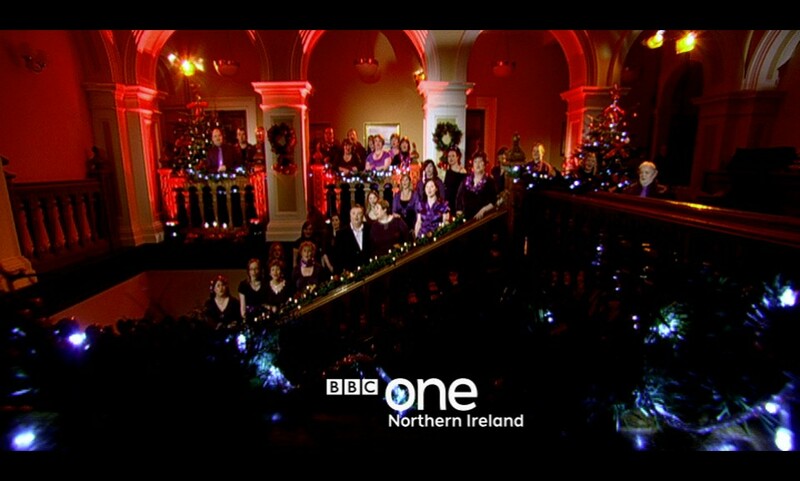 On the 3rd June Open Arts Community Choir performed as part of the televised programme for BBC Music day NI, which was filmed in Stormont Buildings. 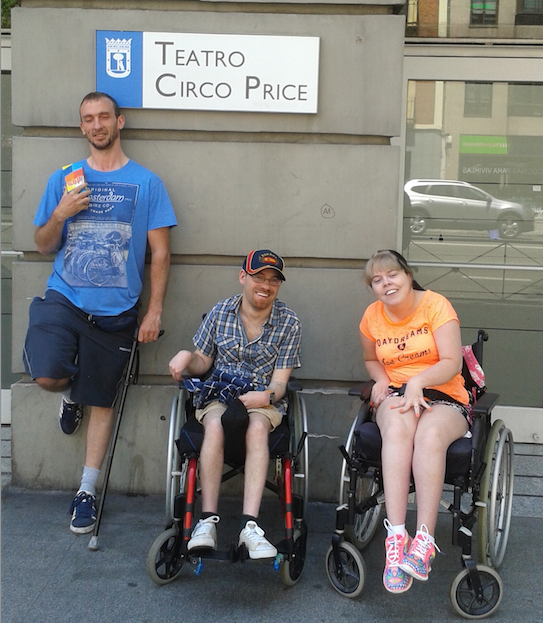 3 participants from our Monday Players drama group, along with support workers, and our CEO travelled to Madrid on 20th May for Una Mirada Diferente, inclusive theatre festival organised by Centro Dramático Nacional. They went to numerous shows over the course of the weekend as part of the festival and in other venues. 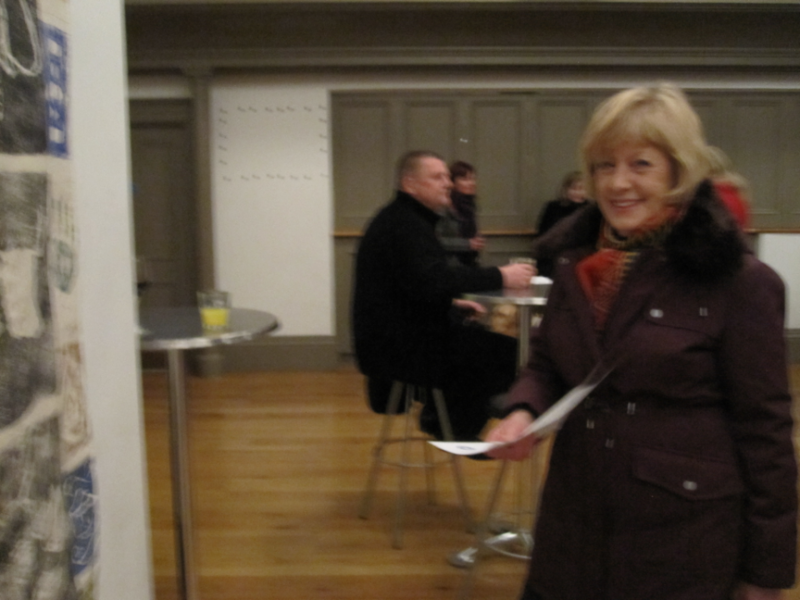 Arts Council NI’s International Development Fund supported the trip. Open Arts Community Choir competed in Bangor Choral festival in April and yet again won numerous prizes! They received 1st place in both Light Entertainment and Barbershop Ensemble and 2nd place in the Open Choral. 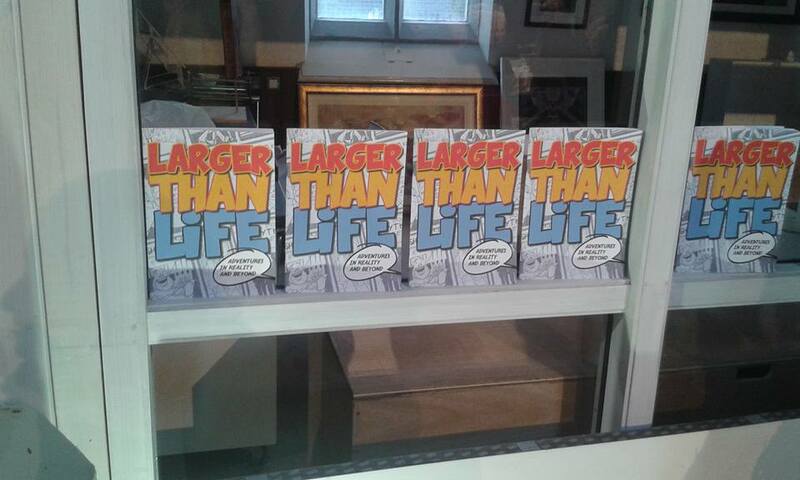 The project ended with the launch of the ‘comic book’, Larger than Life on 28th April in The Duncairn Centre. 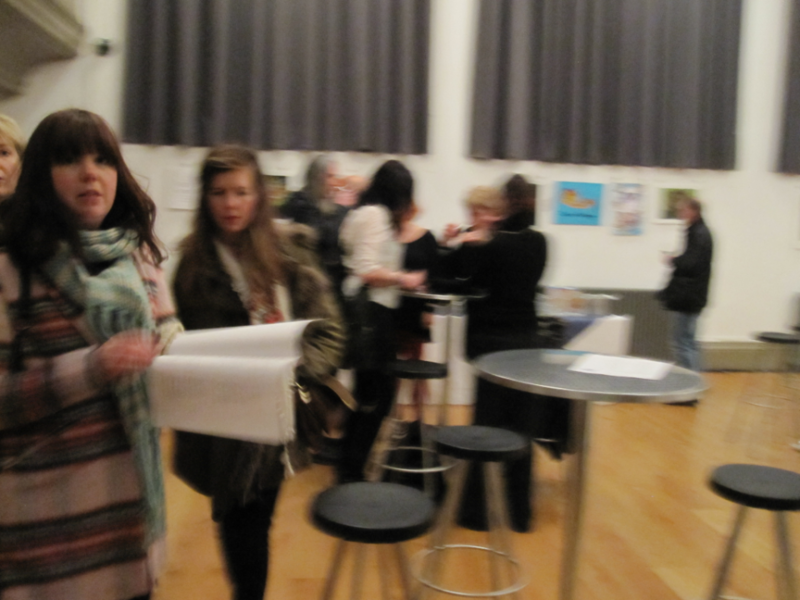 It was really well attended by the participant groups and received amazing feedback from everyone involved. 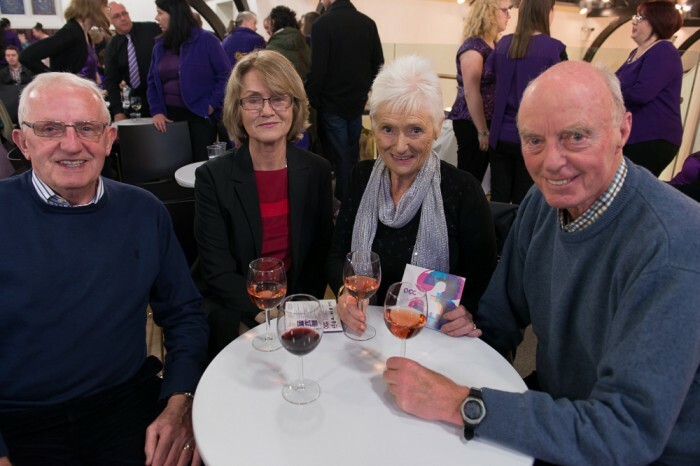 The project was supported by The Arts and Older People’s programme, which is jointly funded by the Arts Council of Northern Ireland, Department of Culture, Arts & Leisure, Public Health Agency and the Baring Foundation. 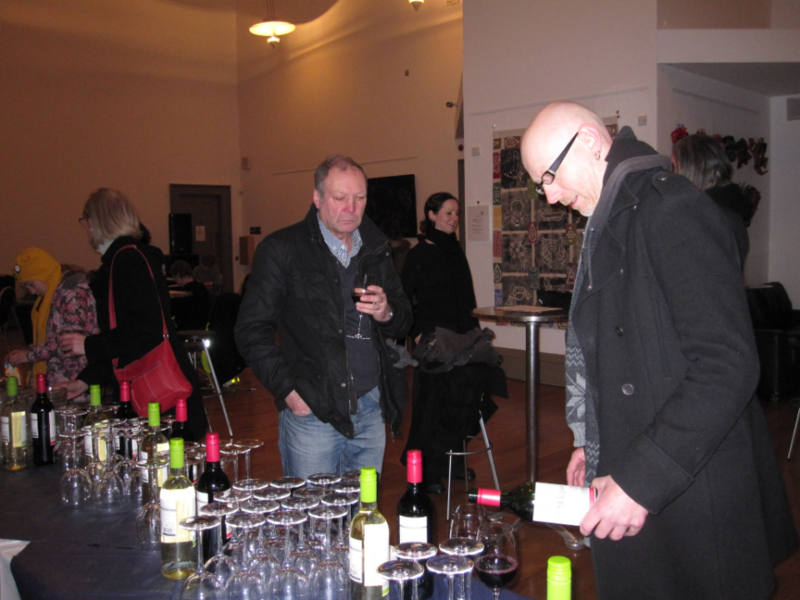 On 3rd March we launched our Natural Perceptions exhibition in the Ulster Hall, which ran until the end of the month. 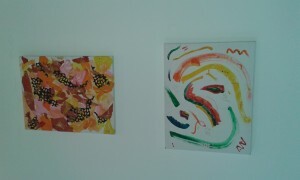 It was a collaborative exhibition by all 3 of visual art groups. 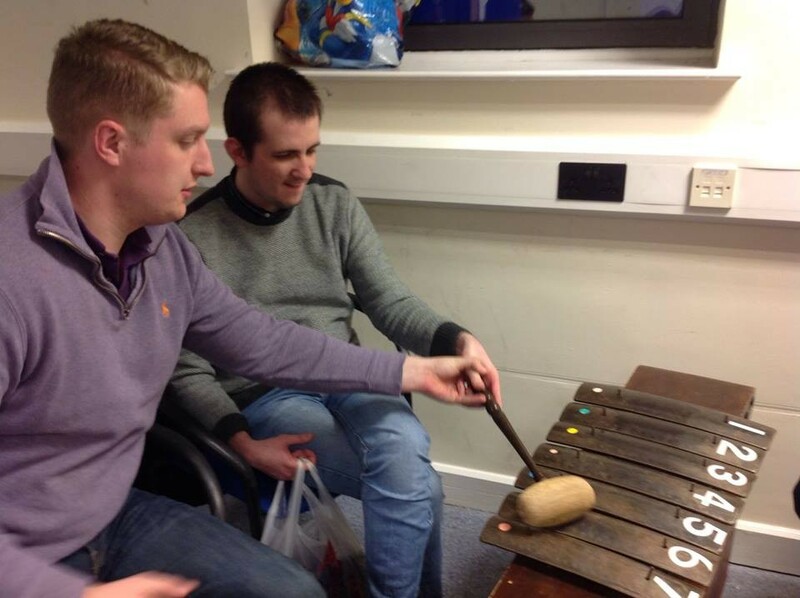 Our CEO, Musical Director and Project Coordinator visited Paragon Music in Glasgow to experience their Play On project, a fun, inclusive way to learn a musical instrument and meet new friends. 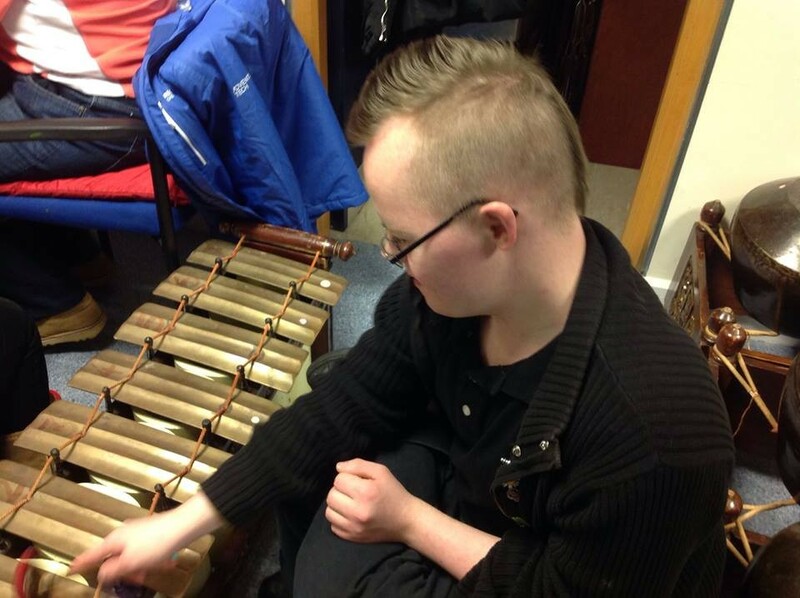 Young people (6-20 yrs) with additional support needs can access this unique opportunity to learn a musical instrument, make up their own music in a group and play in performances. There will be a return visit to Belfast in early 2016 by Ninian Perry, their Creative Director and other members of their project team. The purpose of the exchange to skills share with artists engaged in our ‘In Tune’ music project for ideas and future development of our youth music project. 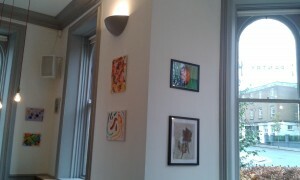 Our Friday art group have launched their exhibition in The Pantry Kitchen Café, Crescent Arts Centre. 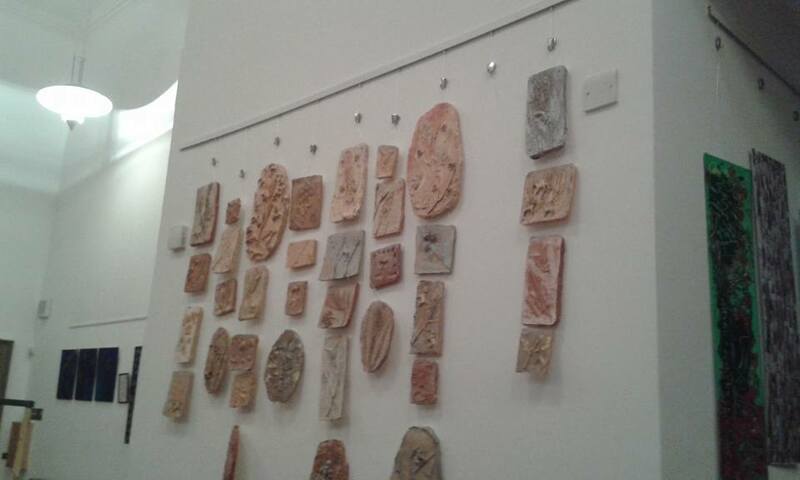 The exhibition will be in place until early 2016. 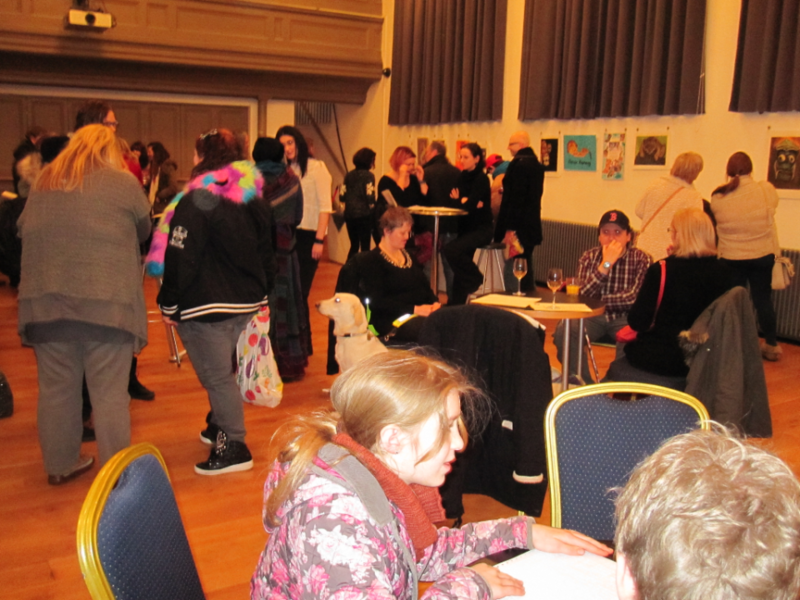 Our creative writers along with participants from other Open Arts’ groups took part in the Community Arts Partnership, LaVA (Literature and Verbal Arts), Connections project. They have submitted their work for consideration for publication in the upcoming anthology. 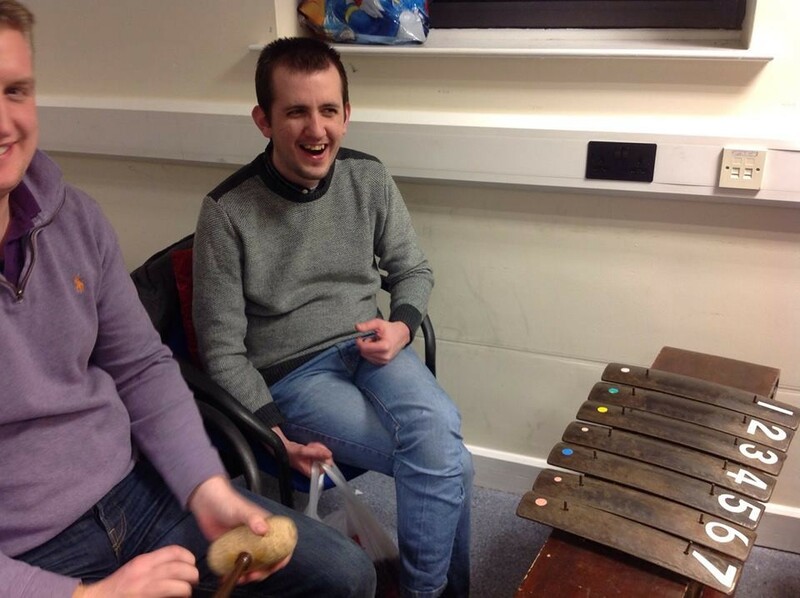 We have started the first of our music workshops in our ‘In Tune’ music project, which is a new and innovative programme for children/young people who have either autism or who are blind or visually impaired. In school half term week we had 2 days with children from Angel Eyes NI and a further two days with young people through Autism Initiatives. See our Music section for more information on the project. 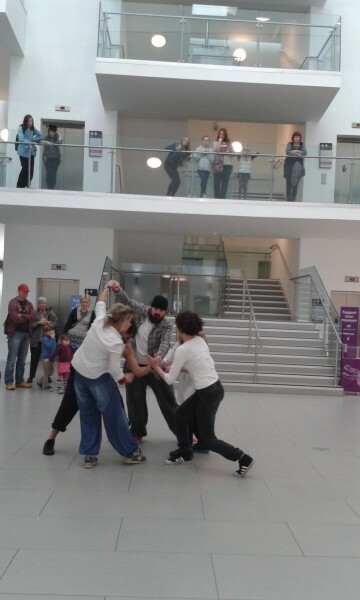 Luminous Soul participated in DU Dance NI’s large scale Bel-Fest15 with performances in Ulster Museum. 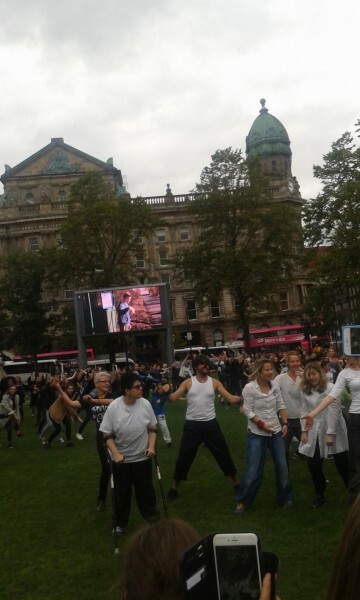 They also joined with hundreds of other dancers for the mass dance in the grounds of Belfast City Hall. 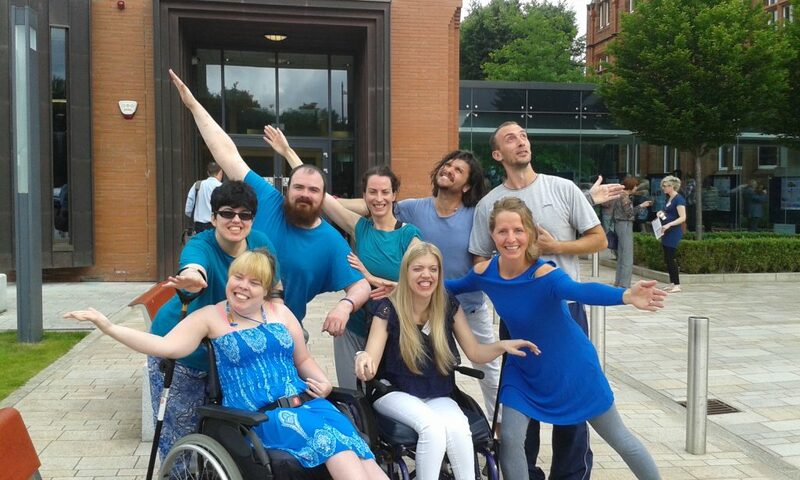 Luminous Soul participated in MeetShareDance international inclusive dance festival, which was held in University College Dublin with choreographers from USA, Greece, Ireland and Scotland. 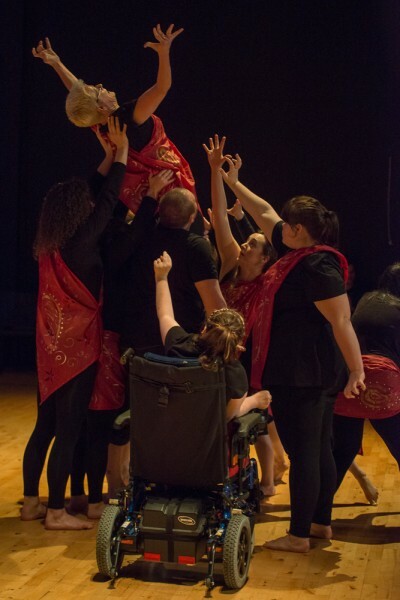 On saturday 6th June over 50 Open Arts performers (singers, dancers, musicians and actors) took to the stage in front of an audience of nearly 200 in Stranmillis University College Theatre. 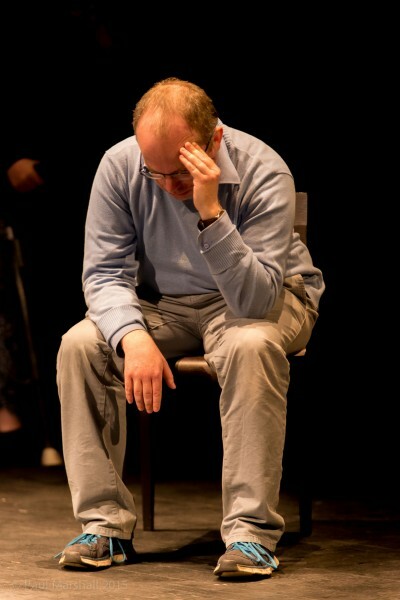 Some of the words used by the audience to describe the performance included; “stunning, moving, evocative, ethereal, thought-provoking, a thing of beauty and emotional”. 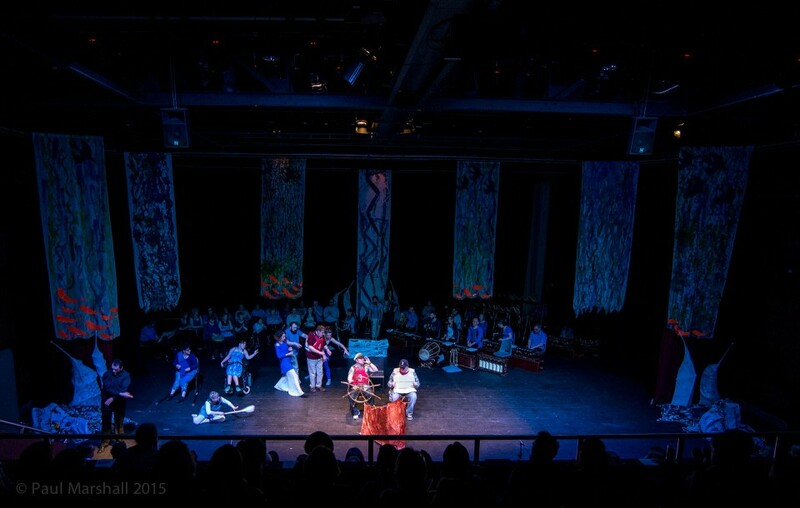 The set, which included large scale banners, was created by Open Arts’ three visual art groups and much of the content was inspired by the work of our creative writers. The whole project and end performance was an amazing, successful artistic collaboration with nearly 120 individuals across 5 art forms. 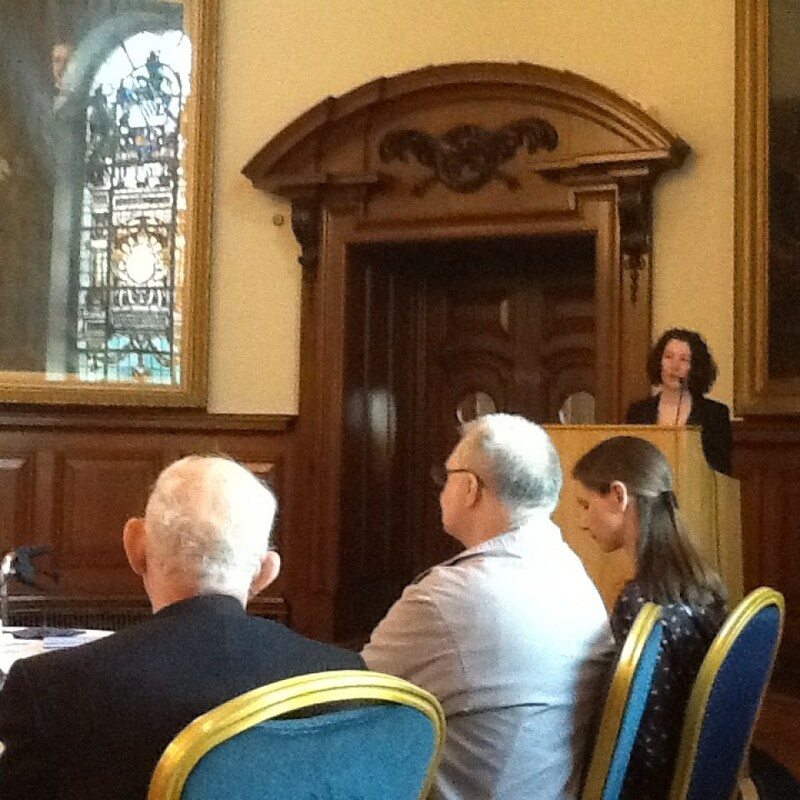 Sky to Sea was supported by Belfast City Council’s Arts and Heritage project grant. Open Arts wishes to thank and congratulate everyone involved! 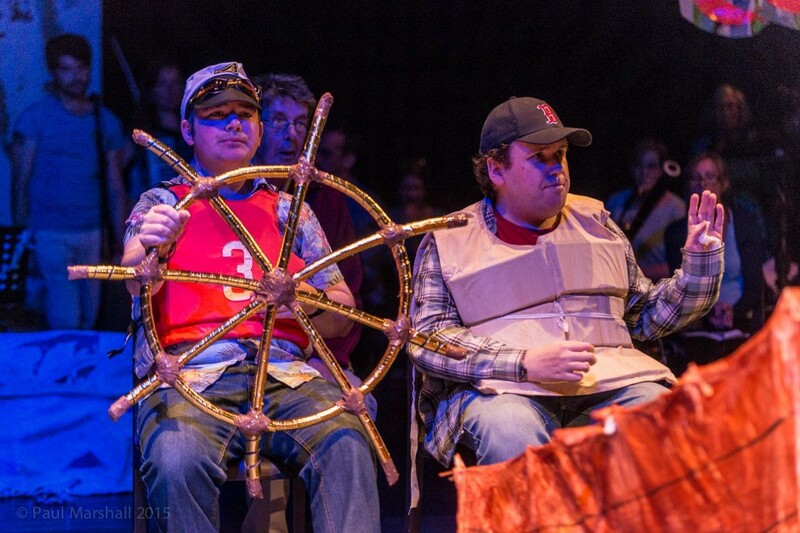 Sky to Sea is inspired by water; it’s journey, unstoppable force and transformative powers. 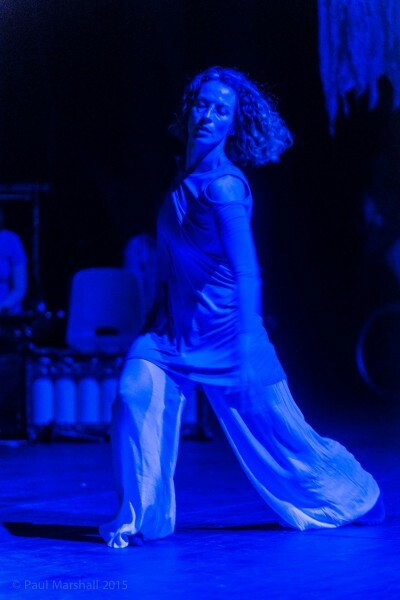 The performance has been built on individuals’ personal feelings and experiences of water, it is a multi-disciplinary performance, which will inspire and intrigue the audience. 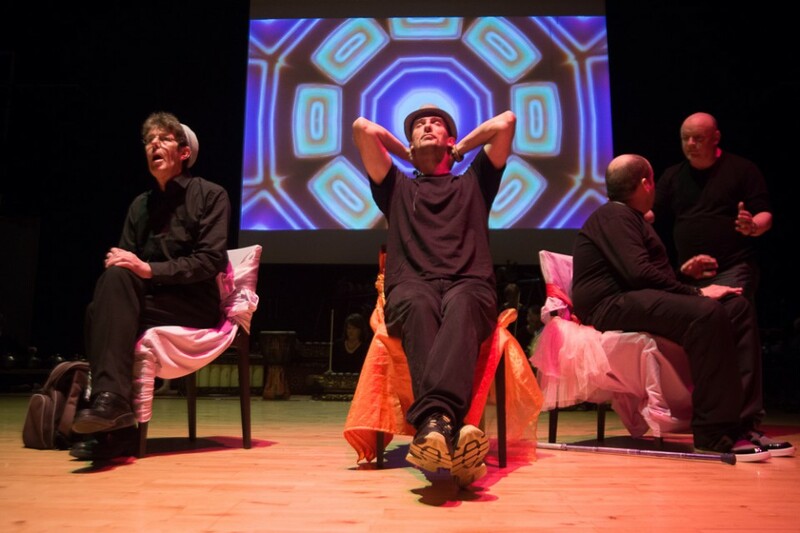 Sky to Sea is a collaboration between all Open Arts’ groups: Gamelan Players, Monday Players, Luminous Soul, Open Arts Community Choir, with content inspired by work from our creative writing group and the set designed and created by our 3 visual art groups. Doors will open at 18:15; show will start 18:45. 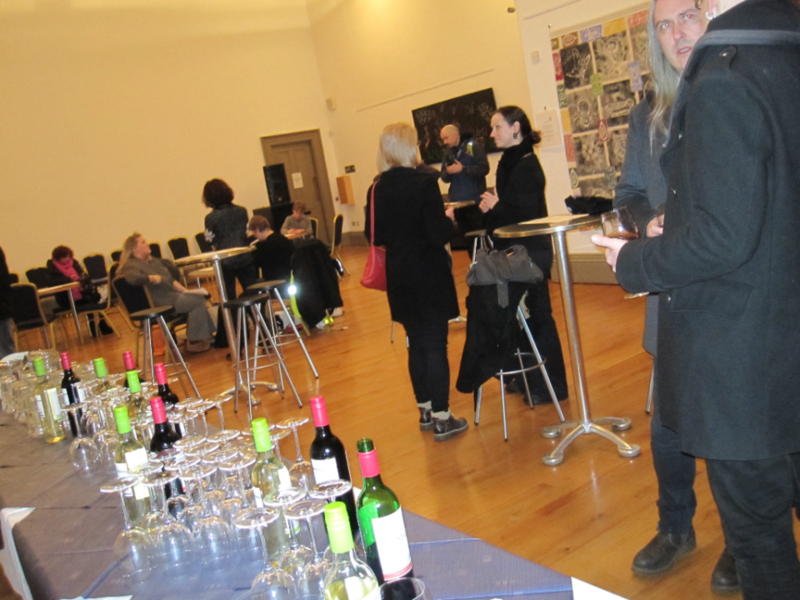 Sky to Sea is funded by Belfast City Council’s Arts & Heritage project grant scheme. 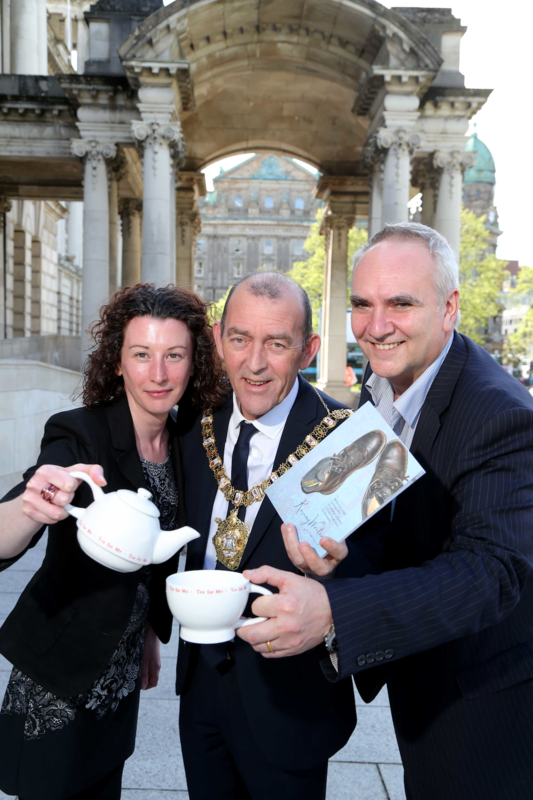 Councillor Arder Carson, Lord Mayor of Belfast this week welcomed representatives from Niamh and Open Arts into his parlour for an afternoon of tea and poetry inspired by the ornate grandeur of the City Hall to mark Mental Health Awareness Week. 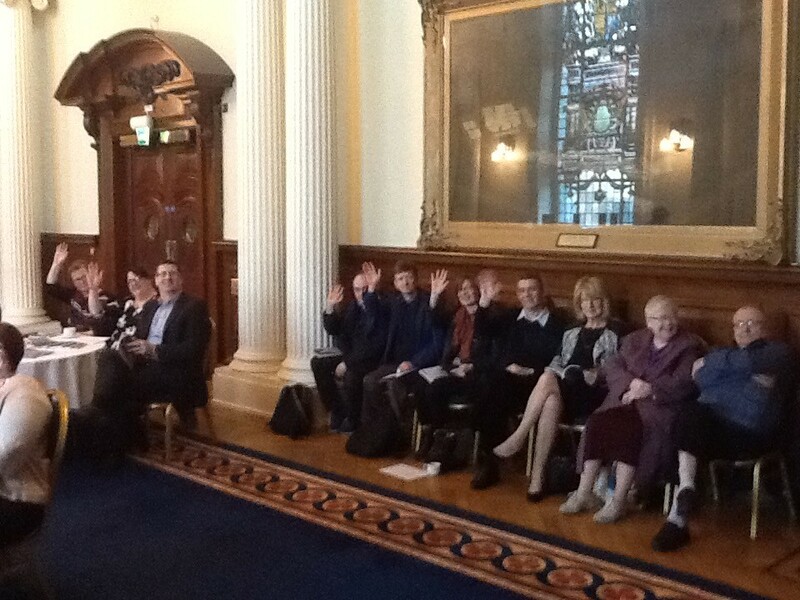 A group of talented amateur wordsmiths known as the Roving Writers Development Group who had taken to the streets of Belfast to seek inspiration for a new book of creative writings connected to iconic Belfast landmarks including; City Hall, Conway, Mill, St.George’s Market, Crumlin Road Goal, and the SS Nomadic, had the opportunity to regale the Lord Mayor with some of their finest writings over tea and scones. 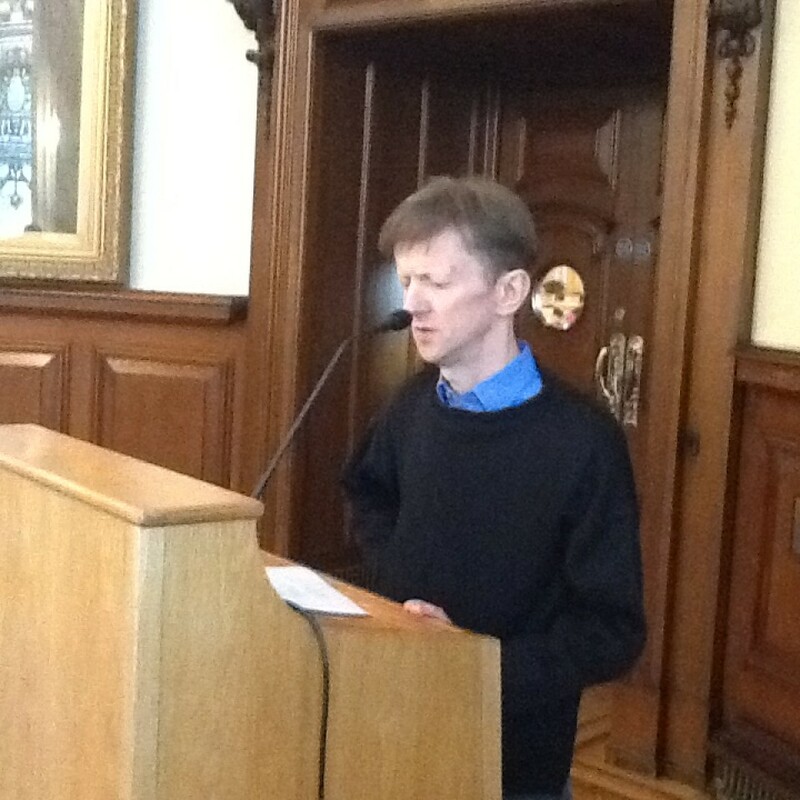 The project which was funded by Belfast City Council’s Arts and Heritage Project Grants scheme, enabled a group of aspiring writers with mental health conditions within a number of Beacon Wellbeing services in the Belfast area to visit these local heritage sites and put into words how they experienced the spaces. 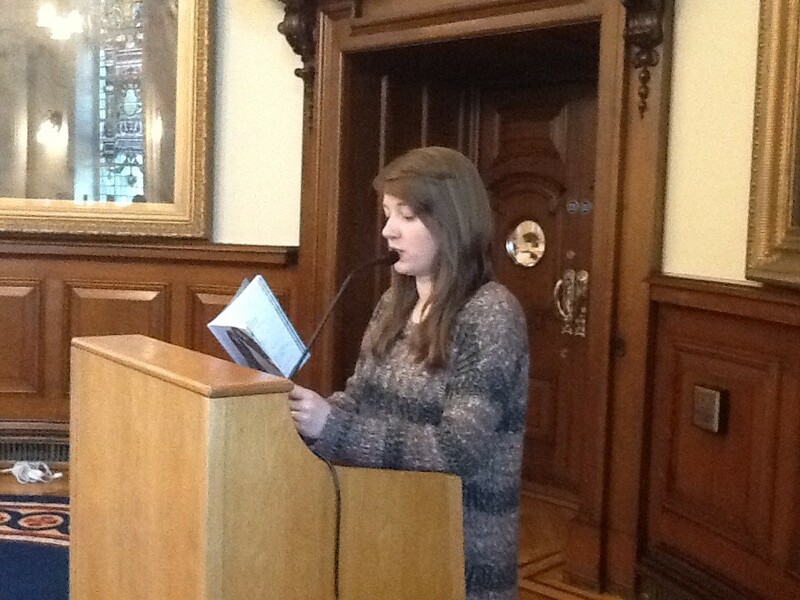 The project culminated in the publication of the poetry collection. Roving Writers. 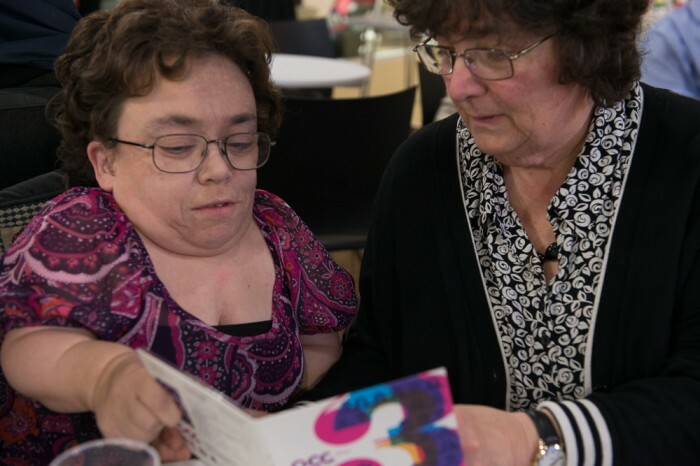 The publication features selected work by the core creative writing participants and members of community groups who were also involved in the project. 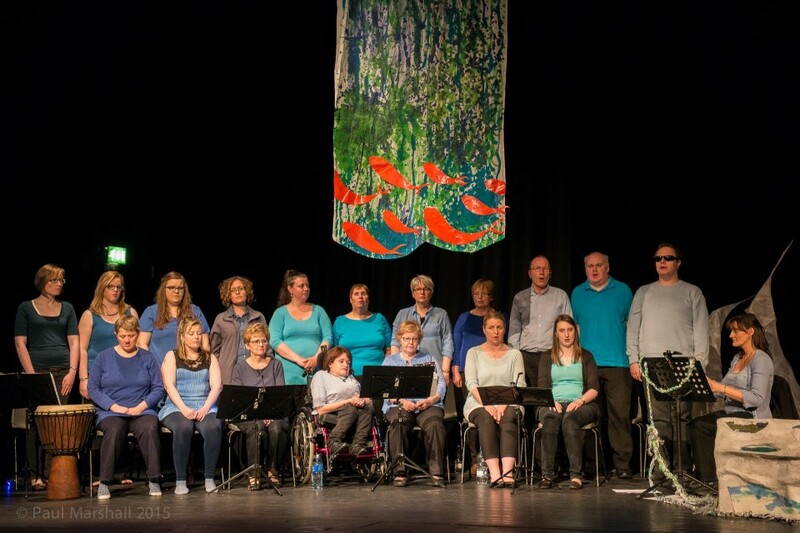 The Open Arts Commuity Choir have wowed festival crowds in Bangor yet again. They took home the first place prize for Mixed Voice Choir, in the Sacred Music Folk Song Class, second place in the Light Entertainment section and a special prize for the Best Northern Irish Choir, and Best Single Piece of the entire festival for their performance of Danny Boy. Our latest creative writing project, Roving Writers culminated in the publication of a beautifully illustrated book of poetry created by our Open Arts Creative Writers and members of community groups involved in the project. The groups visited Belfast’s most loved heritage sites for inspiration, including Belfast City Hall, Crumlin Road Gaol, Conway Mill, St. George’s Market and SS Nomadic. They then worked with Tutors Ruth Carr and Colin Dardis to and Open Arts support workers to create poems in a variety of styles. 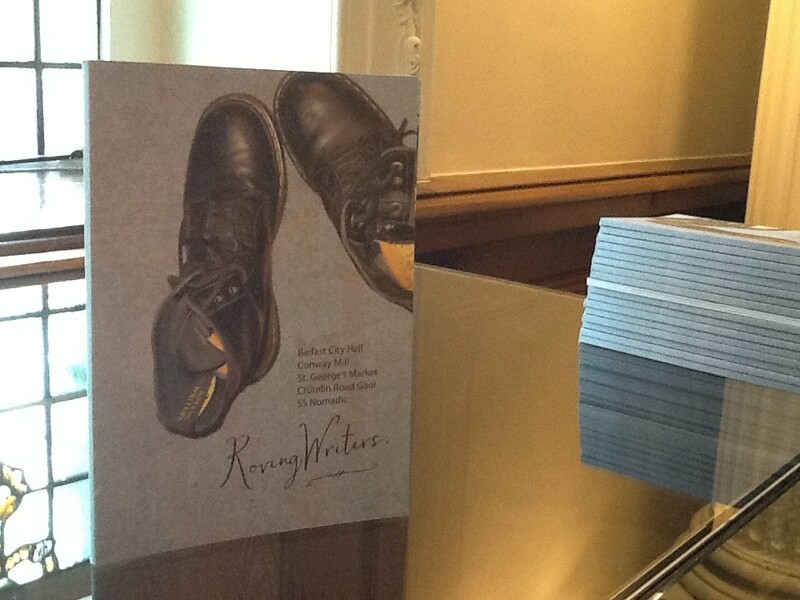 Free copies of the Roving Writers book will be available soon at all of the heritage sites involved in the project, or can be requested by contacting the project manager, Una McCann, on una@openartsni.org. Braille, Large-print and audiobook versions are also available on request. The World Dance Showcase event on the 21st of February will also feature Gary Rowntree & Katy Skelton performing Two, Oona Doherty performing The Shake Out, Bridget Madden Irish Dance, Julia Lyn Waters Improvisational Dance, Sara McDonald Copacabana Show, Mayte Segura Contemporary and Elderflowers Like A Fine Wine Screening. For information on free dance classes in community centres across Belfast, please click here. As part of Open Arts’ award from Arts Council NI’s International Programme for Organisations, we will have Raffi Mikaelian, Director of the Paros Chamber Choir (world class inclusive Choir from Armenia) visiting from 19th – 25th February to work with Open Arts Community Choir and to share work with Bev McGeown, Open Arts’ Musical Director. 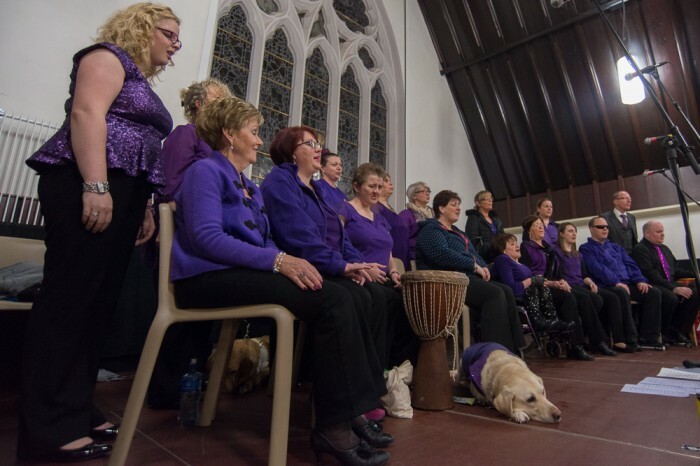 This is the second stage of the project, which began when Bev McGeown, along with two other Open Arts Community Choir representatives, travelled to the World Choir Games in Riga, 2014. They took part in master classes and experienced some of the most renowned Choirs from across the globe. The award-winning Paros Chamber Choir was founded in 1993 and performs a wide repertoire of music including songs by accomplished Armenian, Russian and American composers. 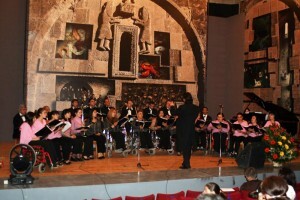 The Paros Chamber Choir’s international performances have included Lebanon, Georgia, Great Britain, Italy, France and most recently their 2011 performances in Austria and Slovakia. Since its inception, the Paros Chamber Choir has participated in several international competitions and has truly become a lighthouse or beacon (Paros translated in Armenian) for The Armenian Nation. Audiences find themselves inspired and overjoyed with the sounds of the Paros Chamber Choir. Despite the fact that most of the Choir’s members have a disability and sing from a seated position, working with Maestro Raffi Mikaelian, the group has developed into a world-class Chamber Choir. Our Gamelan has found a new home in the Spectrum Centre. 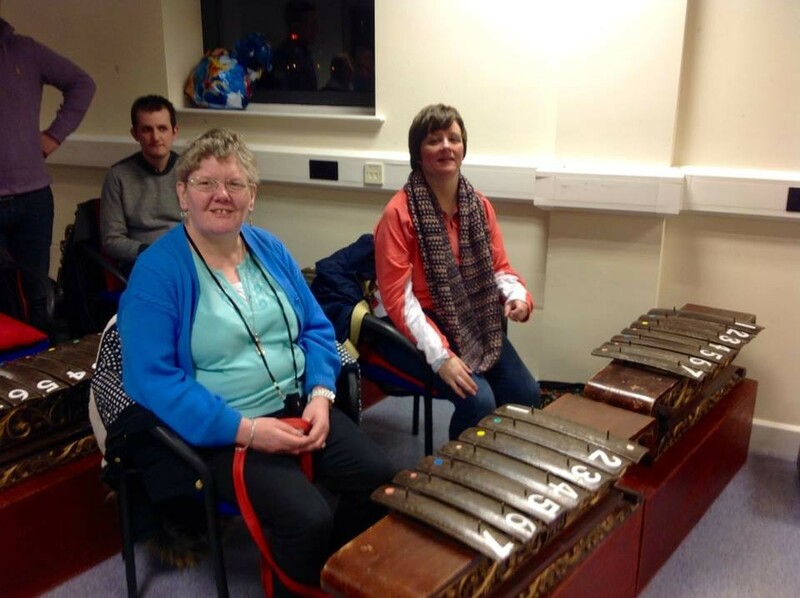 Musical Director Bev McGeown is delighted with the new space for workshops as it is the first time in her career at Open Arts that she has had a dedicated music room for all of the Open Arts instruments. 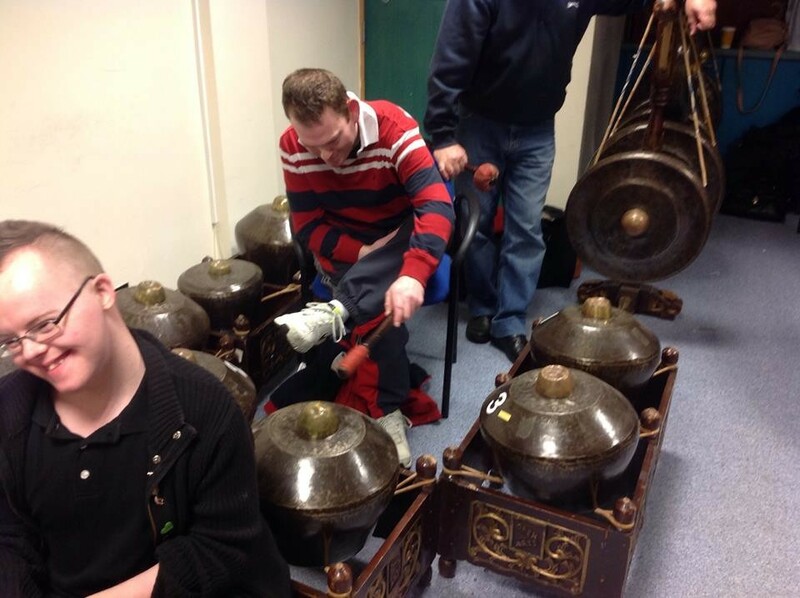 The inclusive Gamelan Players will continue to practice every Wednesday. 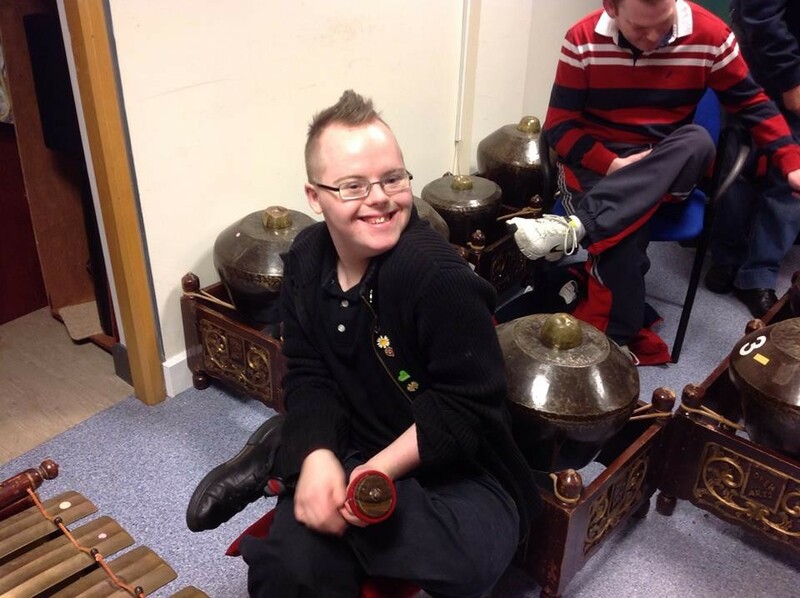 If you are interested in becoming a Gamelan player, please get in touch with Bev McGeown, at bev@openartsni.org. Membership is open to disabled and non disabled people. 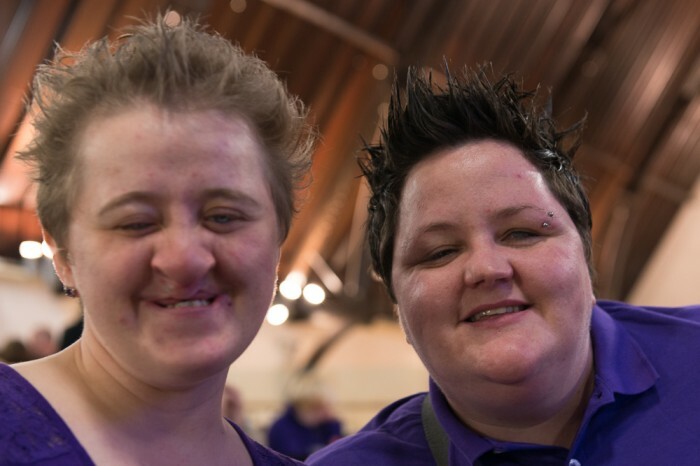 Caring Breaks ensures that every family carer of an adult with a learning disability in Northern Ireland has access to short breaks and every adult with a learning disability living at home with their family carer will be provided with support to enable them to participate in social and leisure activities of their choice. 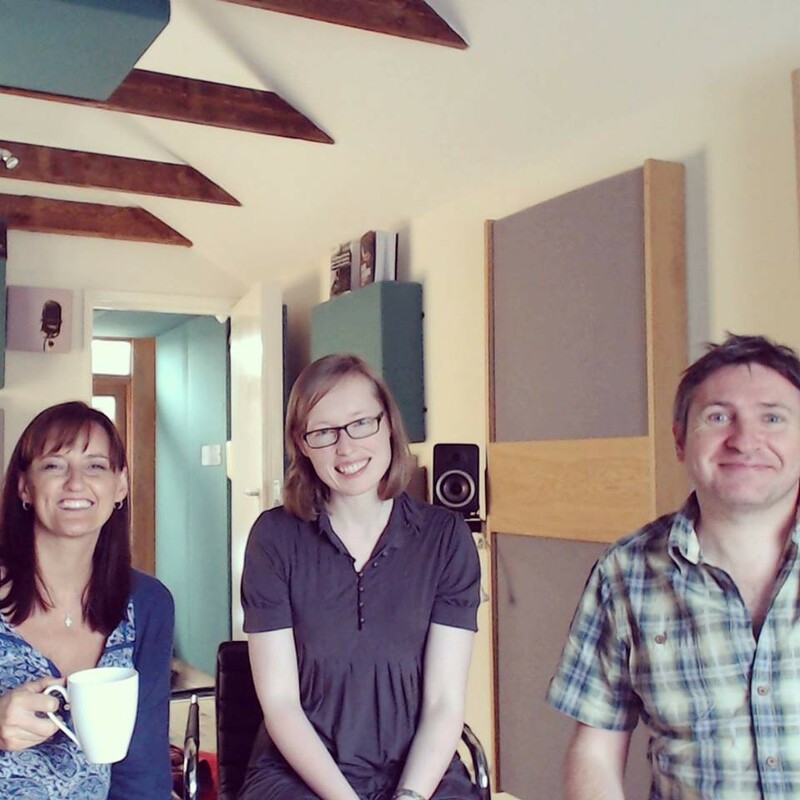 Here are some photos of their recent session in our new music room. 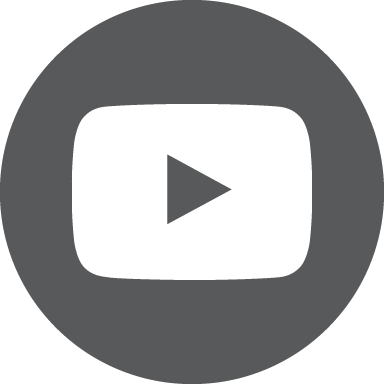 There is a video posted to the Caring Breaks Facebook page as well. 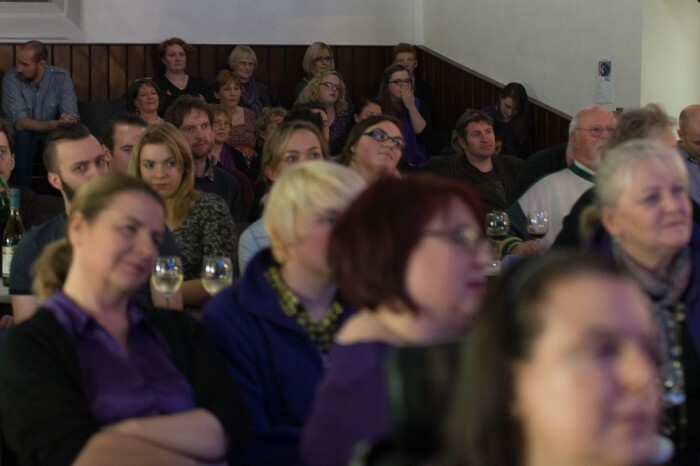 A campaign to save arts funding in Northern Ireland. 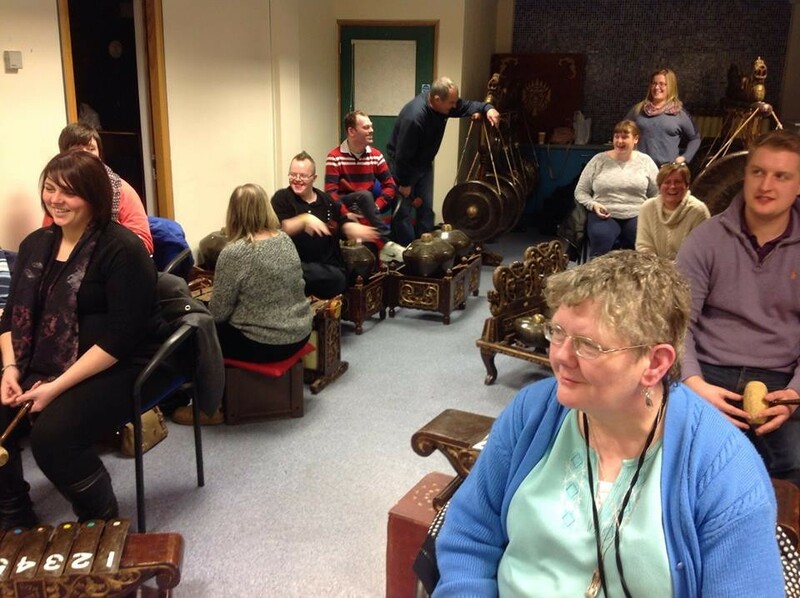 Open Arts are working in collaboration with the Junction Club to provide Gamelan and dance sessions to two different groups within the Junction club. These workshops are running for 12 weeks and are taking place at Spectrum Centre and Inverary Community Centre. 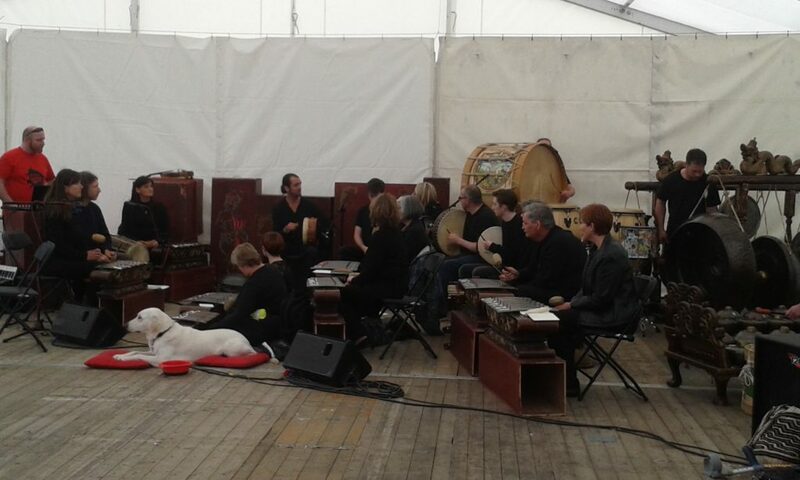 Bev McGeown and Damian Mills are facilitating the Gamelan. 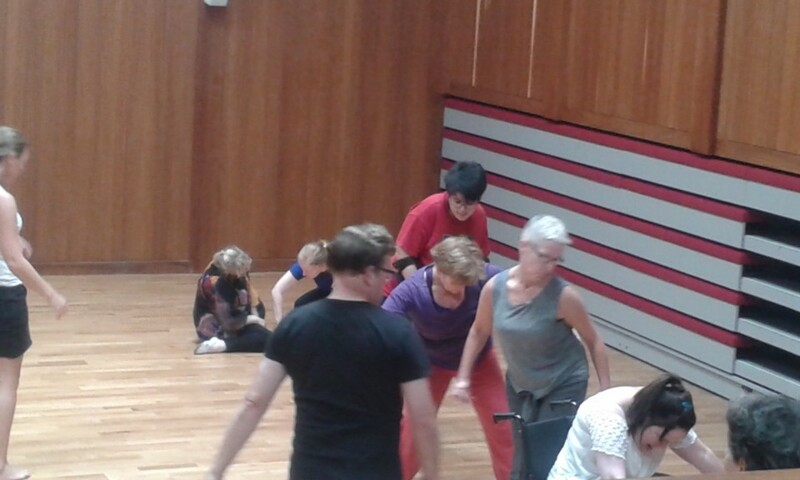 Helen Hall and Sheena Kelly are leading the dance sessions. Both participant groups will come together for a sharing of their development and skills at the end of the 12 weeks. This will happen at a public venue and other members of the public will be invited along. 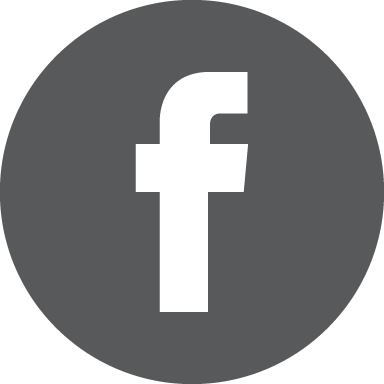 Please check back in our news section and on the Facebook page for updates. Funded by Belfast City Council, Arts and Heritage Fund. 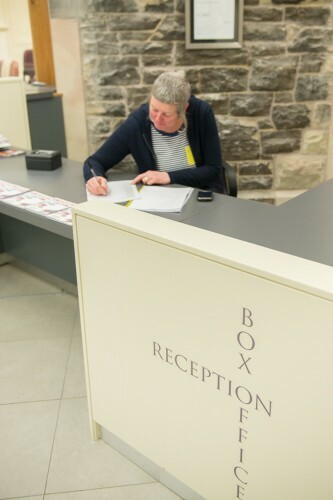 Roving Writers is the latest Open Arts Creative Writing project, that builds on the experience of our very popular and successful Time Transformed project of 2012-13. 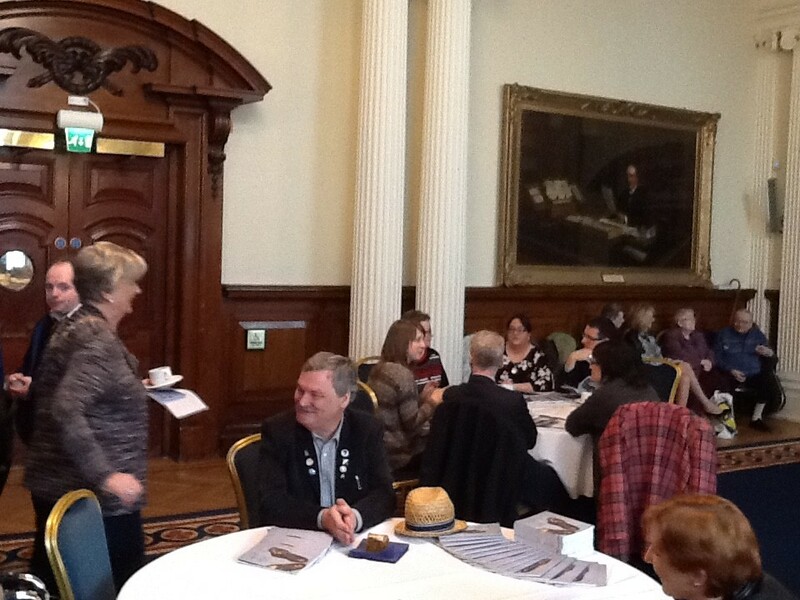 The Open Arts Creative Writing participants have been taking part in visits and tours at Belfast City Hall, St George’s Market, SS Nomadic, Crumlin Road Gaol and Conway Mill, since October 2014. Using these Belfast City heritage sites as inspiration, they have been working to contribute writing that will be expertly presented and published in a Roving Writers Book due to be launched on the 23rd of March this year. A group of developing writers, previously involved with our Time Transformed project, are working alongside Ruth Carr and visiting the key areas. Meanwhile Colin Dardis and Anna Kyle are working with community groups in these areas and giving taster sessions in creative writing. 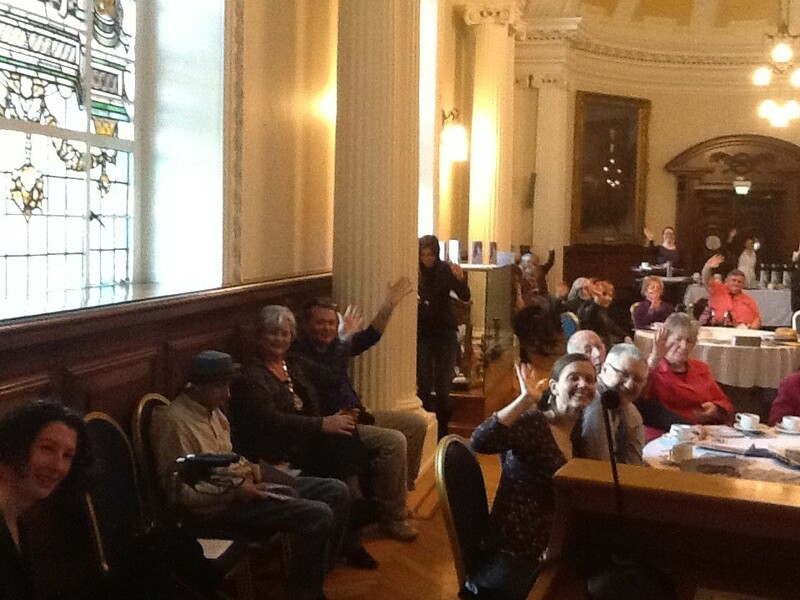 Our Roving Writers book will be launched at 11am on Monday 23rd March at the City Hall. Everyone who participated in the writing will be invited to attend and there will be numerous copies of the book for everyone involved. A total of 3000 copies of the book will be produced. 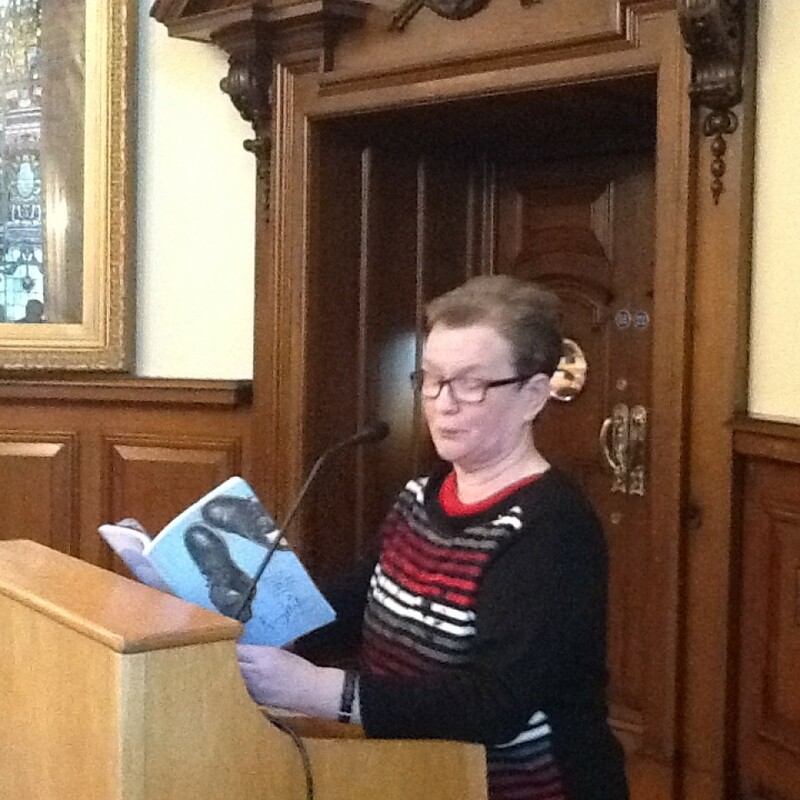 The book will then be available at tourist offices and spots around Belfast. 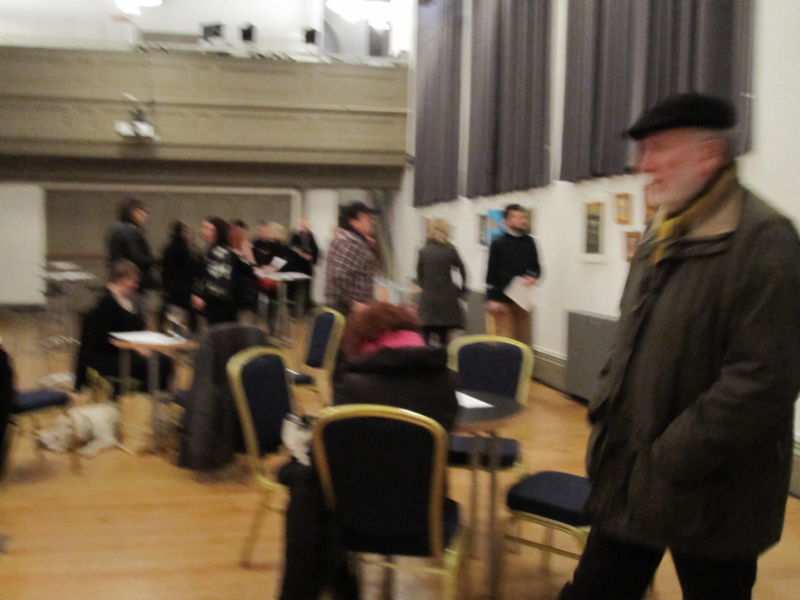 The Open Arts exhibition launch at the Ulster Hall drew a great crowd on Thursday the 15th of January. 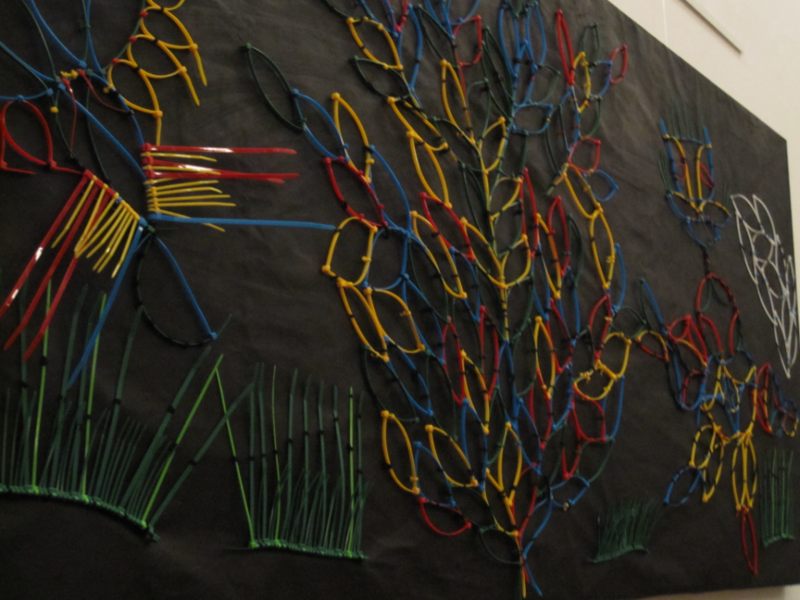 The exhibition is a collaborative effort by Open Arts’ three visual arts groups who work in a range of mediums. 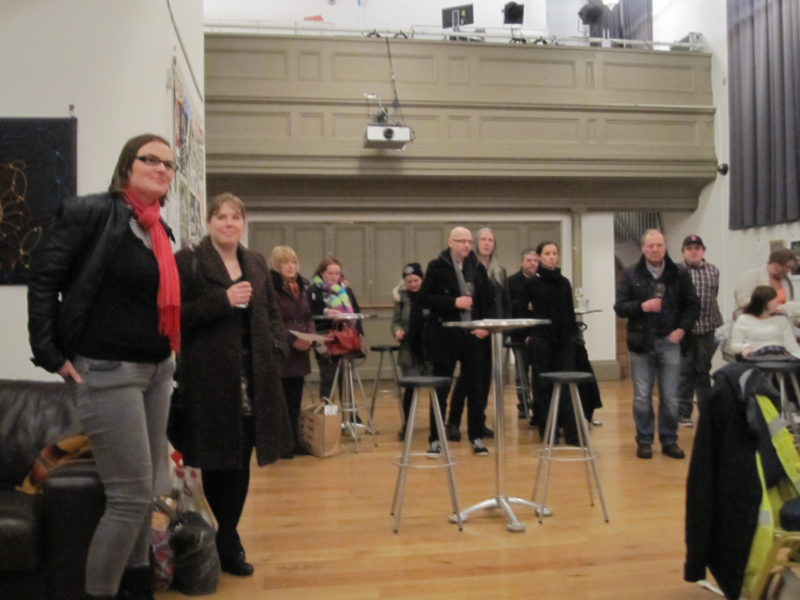 On Thursday 15th of January, we will hold a collaborative exhibition from Open Arts’ three visual arts groups. Each group works in various mediums including printmaking, textiles, pastels, paint, ink, papier-mâché and collage. 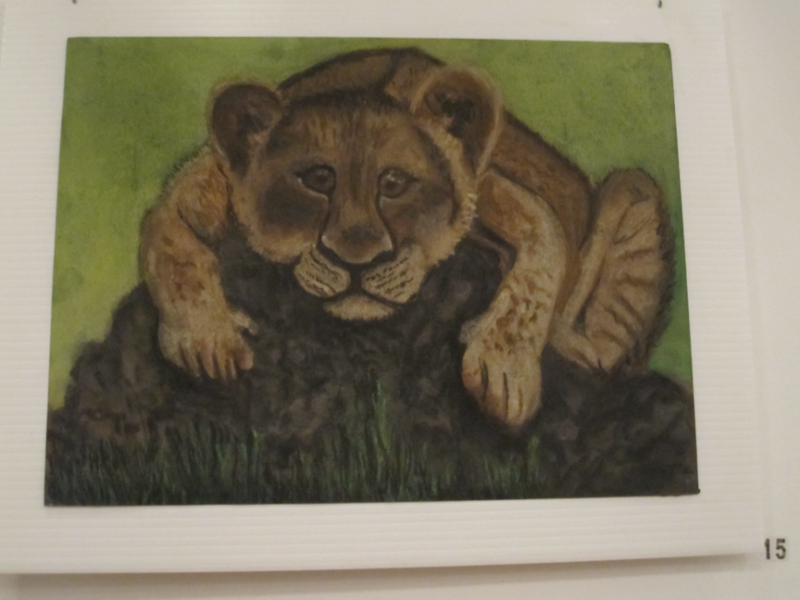 The exhibition will run from Tuesday 6th January until Friday 30th January. The draft budget for Northern Ireland 2015-16 is out now for public consultation. The document proposes a 10% cut to the budget for the Department of Culture Arts and Leisure. That translates as an 11.2% cut to direct public funding for the arts. This is the biggest cut yet for the arts and culture sectors. It follows on the back of six successive cuts, including two this year alone, and would set the Arts Council’s budget back a decade to below 2005/06 levels. Currently the NI government invests just 13p per head of population per week in direct funding for the arts. To put that into context, the annual arts budget would sustain the Health Service for less than one day. Yet this relatively tiny investment in the arts of 0.1% (1/1000th) of total government spending brings BIG returns for Northern Ireland. 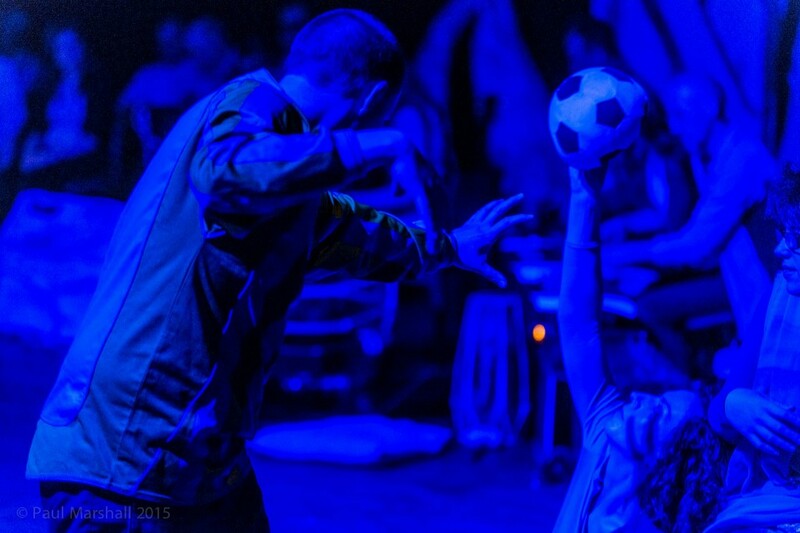 Beautiful photos from our album launch have arrived. 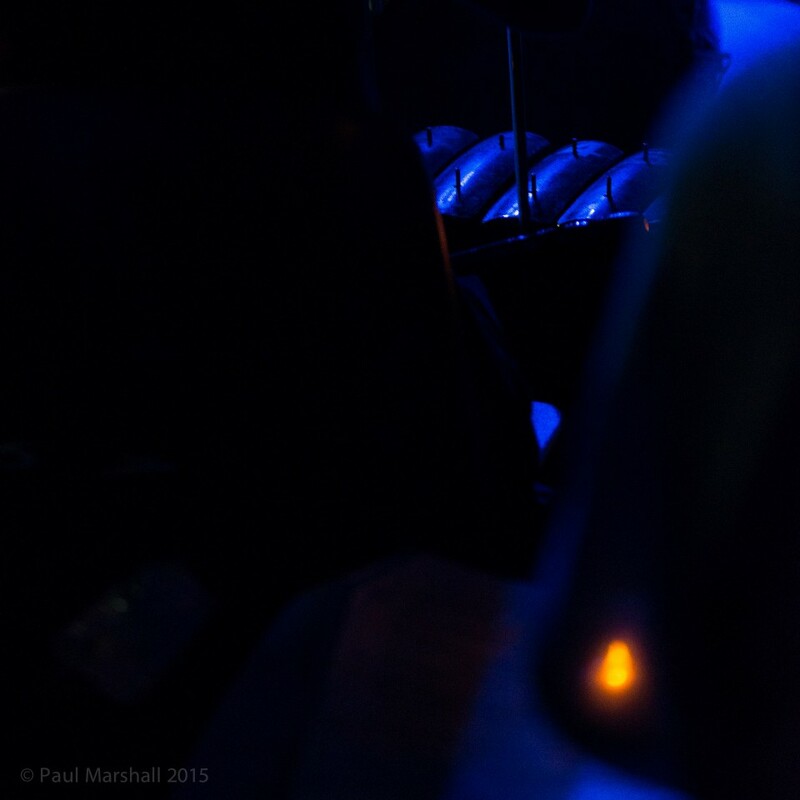 Thank you to Paul Marshall Photography. 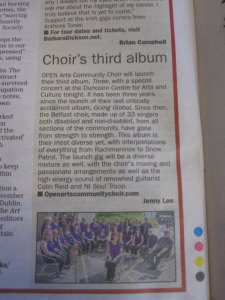 Open Arts have been getting quite a bit of press lately since the Open Arts Community Choir launched their third album, Three. Here are snippets from the Daily Mirror, The Irish News, and The Belfast Telegraph. Keep your eyes peeled for our NVTV feature and a few other upcoming newspaper feature stories. 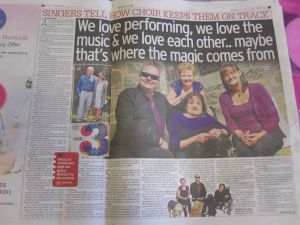 Saturday’s Daily Mirror Article by Jilly Beattie. 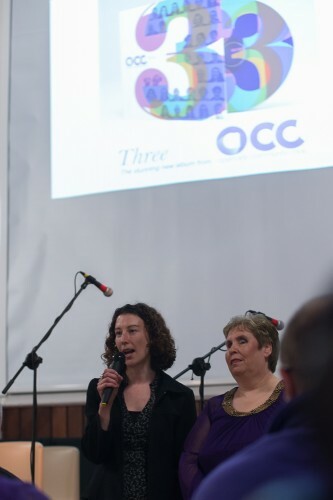 On Thursday night, the atmosphere was electric in the Duncairn Centre for Culture and Arts with the Open Arts Community Choir debuting a stunning new collection of songs from their long awaited new album, Three. 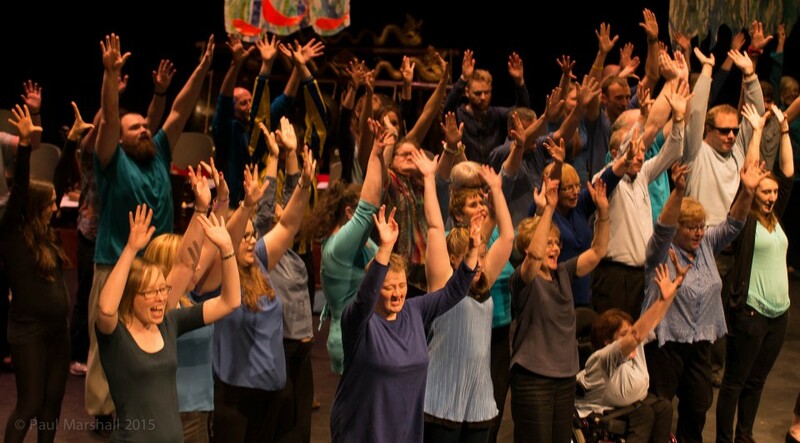 Open Arts Community Choir is an award winning, dynamic, inclusive choir that is an integral part of Open Arts, an arts and disability organisation. 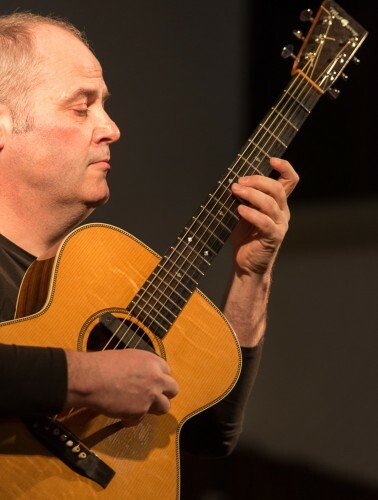 Guitar maestro Colin Reid started the evening with a mesmerising performance. NI Soul Troop brought funk to the evening with their set and also joined with the choir for the final two songs of the night, ‘Somebody Everybody’, an NI Soul Troop original, and a captivating rendition of ‘Something Inside so Strong’. 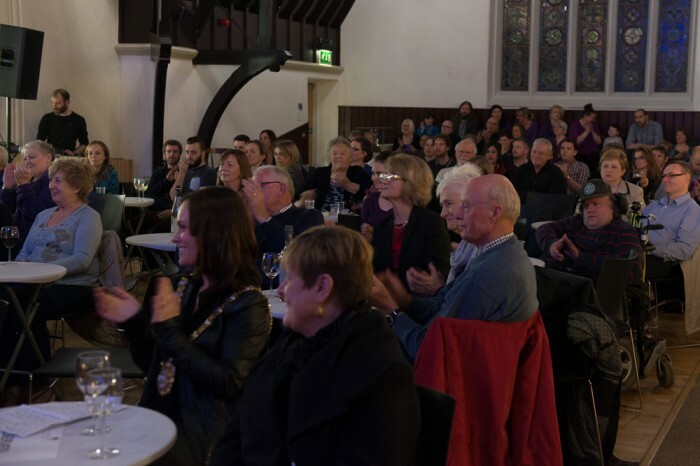 The beautiful Duncairn Centre was packed with devoted fans for the launch of Three, including Councillor Nichola Mallon, Lord Mayor of Belfast. 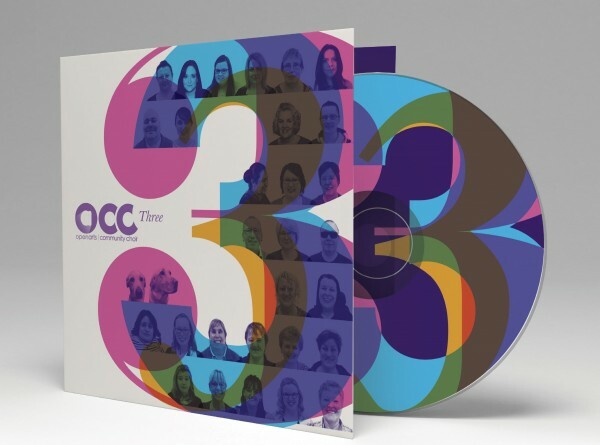 It has been 3 years since the launch of the Choir’s critically acclaimed album, Going Global. 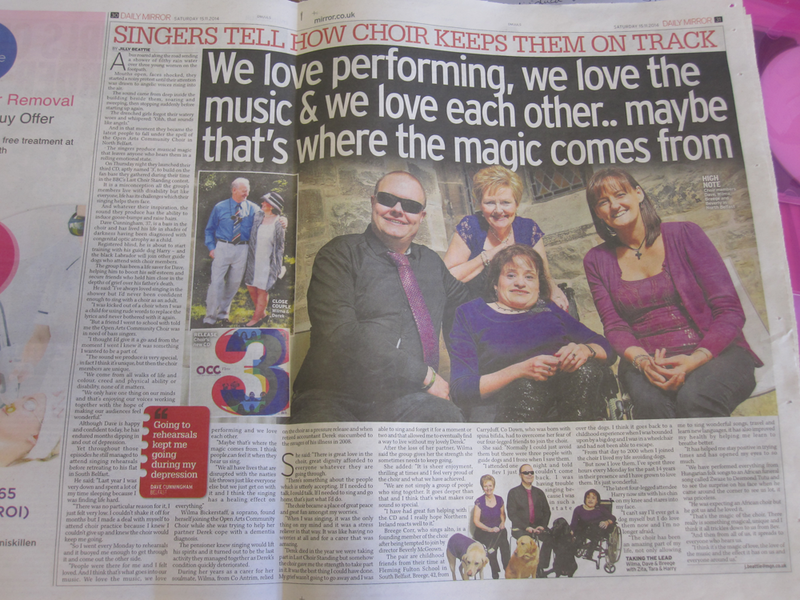 Since then, the choir has gone from strength to strength, winning fans and accolades across the UK and internationally. 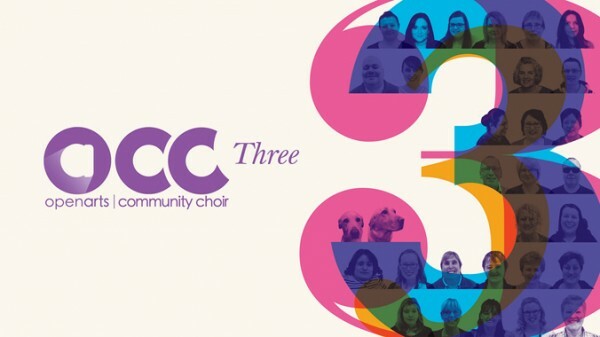 Three is available to buy, go to www.openartscommunitychoir.com for more information or search Open Arts Community Choir on Amazon UK and iTunes UK to download. 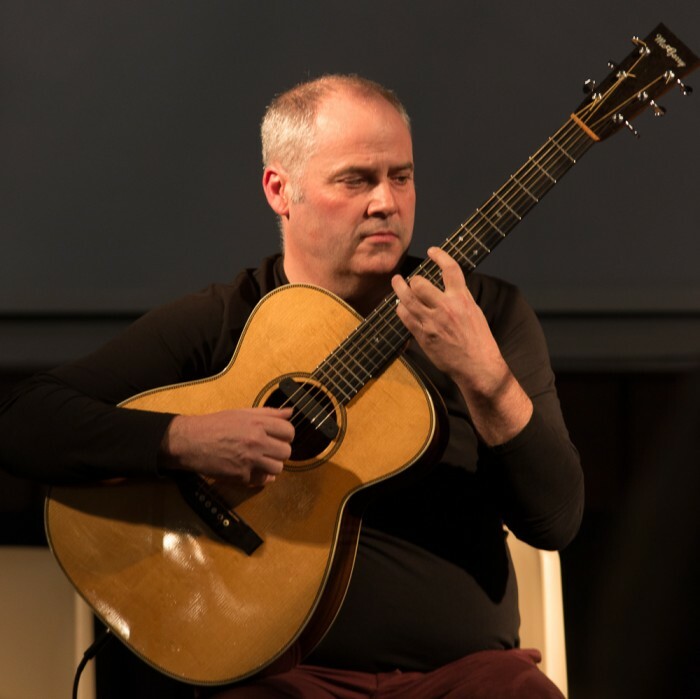 Colin Reid is a renowned finger style guitarist who draws on a wide range of influences – blues, jazz, country and classical – to create a powerful, sensitive and universally folk sound on his acoustic guitar. 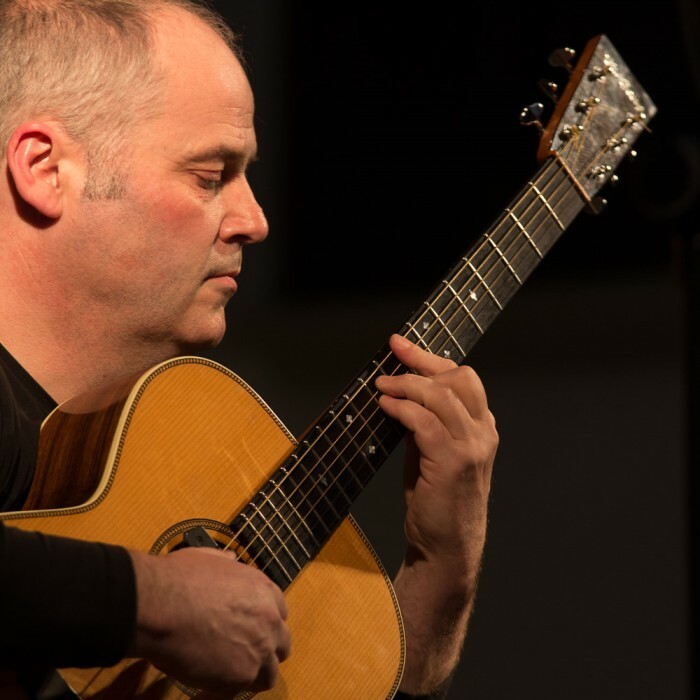 Colin has performed and recorded with a variety of famous bands and musicians including Eddi Reader, Brian Kennedy and Bert Jansch. NI Soul Troop was formed in 2007 by Donal Scullion. 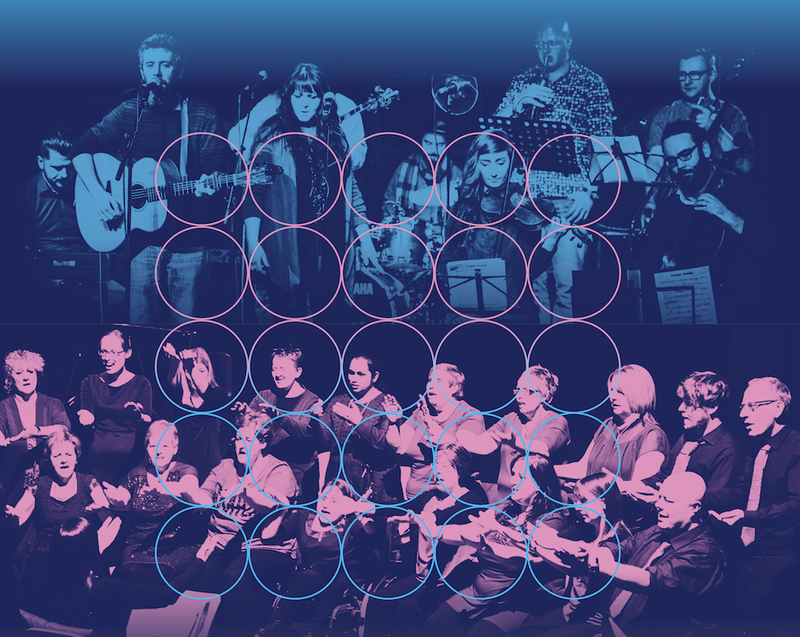 The shape-shifting line-up has seen around 30 of some of the North’s finest musicians moving through the ranks of the Troop. With the current 10-piece line-up the band has been captivating audiences all over Northern Ireland for the last few years and has been one of the freshest and unique live acts on the scene. 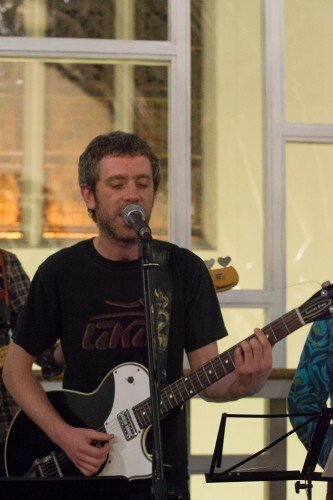 The band infuses elements of soul, funk, ska, jazz, blues and rock and roll, with clever lyrics and arrangements. This is a BYOB event. The Duncairn Centre appreciates your moderation. 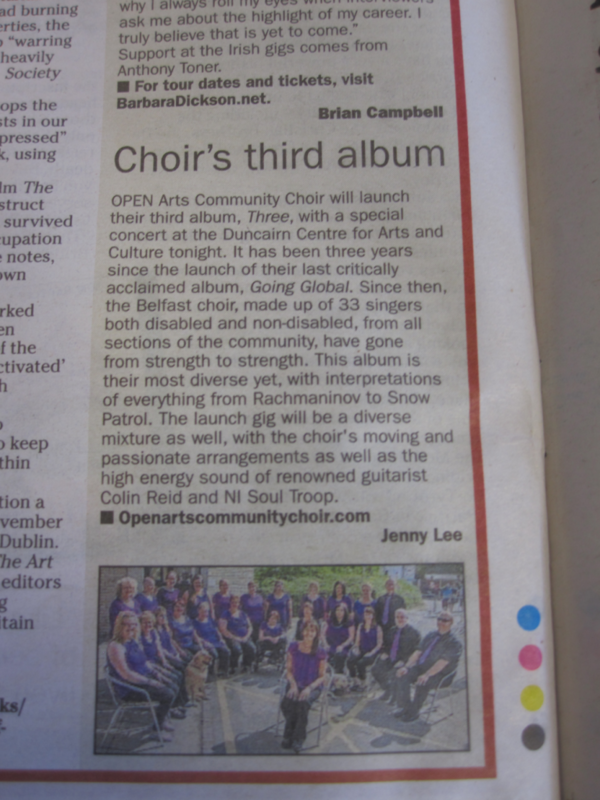 Open Arts have been getting quite a bit of press lately since the Open Arts Community Choir launched their third album, Three. 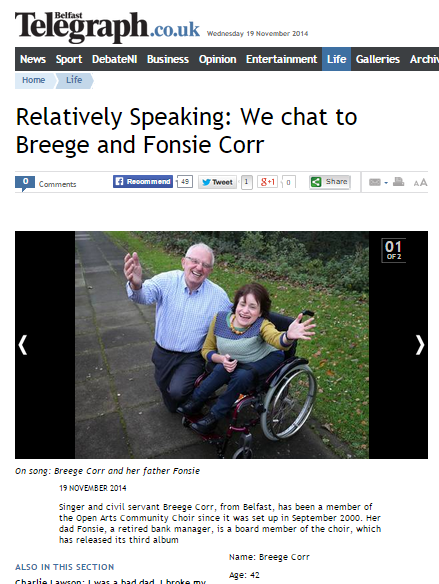 Here are snippets from the Daily Mirror, The Irish News, and The Belfast Telegraph. Keep your eyes peeled for our NVTV feature and a few other upcoming newspaper feature stories. 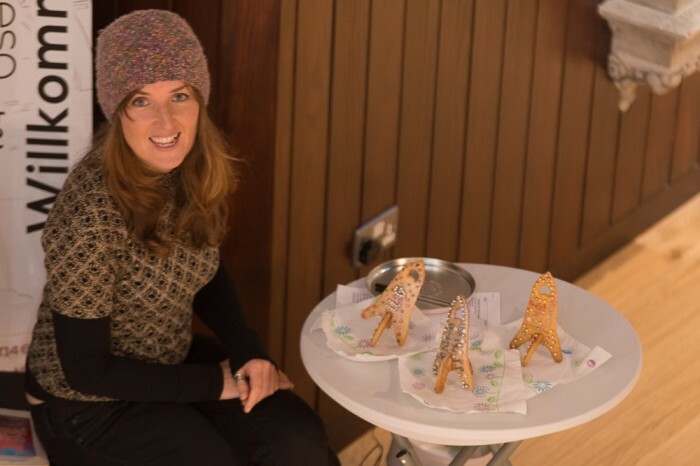 Also this Saturday (8th November) we have a guided tour by exhibiting artist Majella Clancy for wheelchair users and mobility impaired visitors. The tour will commence at 5pm but participants are advised to meet in the reception area of the Ulster Museum at 4.45pm. All blue badge parking will be reserved for this event. To book a place visit www.nmni.com/um or +44(0)28 90440000. 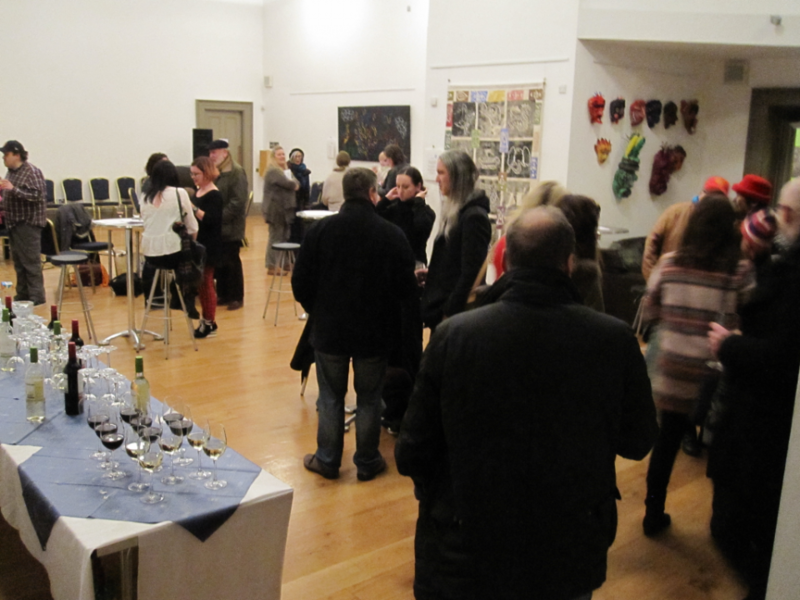 The Academy’s 133rd Annual Exhibition features over 300 works by some of Ireland’s best known and up-and-coming artists – a mix of painting, sculpture, ceramics, glass, photography and film. Exhibiting artists include: Cristina Bunello, Simon Burch, Colin Davidson RUA, Brendan Jamison ARUA, Oliver Jeffers, Sharon Kelly RUA, Elizabeth Magill ARUA, Hughie O’Donoghue, Paul Seawright RUA, Dermot Seymour ARUA, Neil Shawcross RUA and Amelia Stein. All Open Arts classes will resume again in September on the week of the 15th. All classes are currently full but please get in touch if you would like to put your name on the waiting list or for more information. 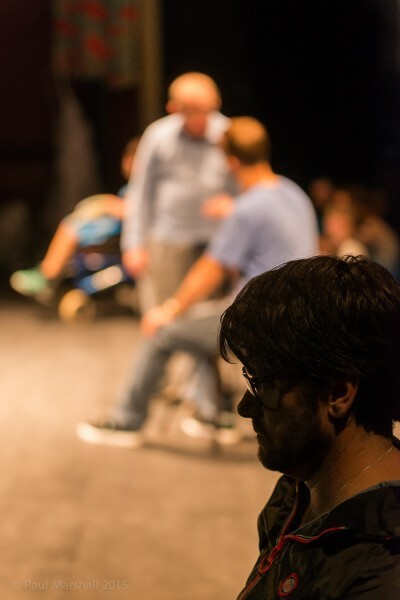 Our Monday Players drama group will have an intensive development week with Open Arts drama facilitators from the 1st to the 5th of September based at the Crescent Arts Centre. 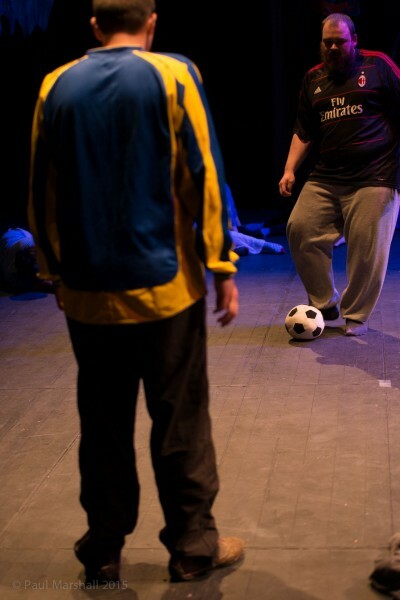 Over the course of the five days the group will work to develop their skills and confidence for future performances. They will also set a plan for the future development of the group. 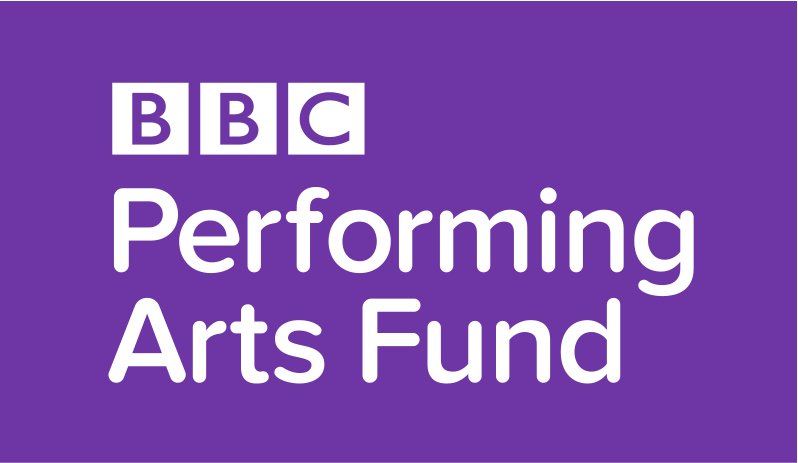 This intensive development week is funded through the BBC Performing Arts, Community Theatre grant. Our Luminous Soul dancers are set for an intensive week of development with professional choreographer Marc Brew. The workshops will be held from the 18th to the 22nd of August at the Crescent Arts Centre. 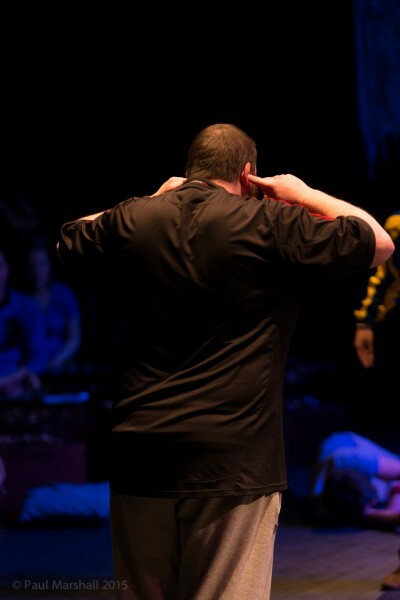 Marc Brew will work with the entire group and also mentor a Luminous Soul dancer in choreography to develop a new piece. 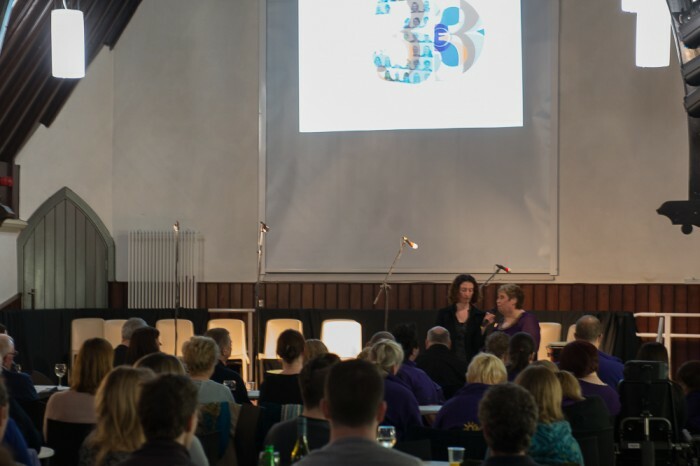 This development week is funded through money raised from The Funding Network, ‘Dragon’s Den’ event that Open Arts pitched at in November 2013, distributed by CFNI. 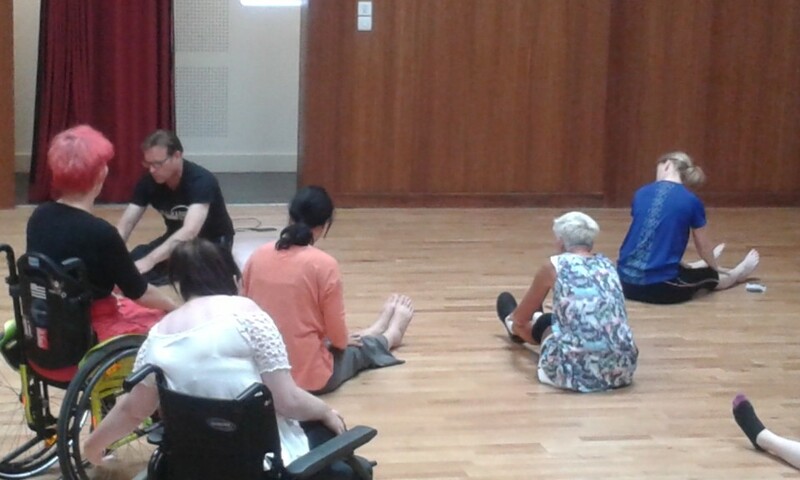 Open Arts, in partnership with with Angel Eyes NI, are facilitating gamelan and dance summer schemes in three locations across Northern Ireland for children who are blind or visually impaired. 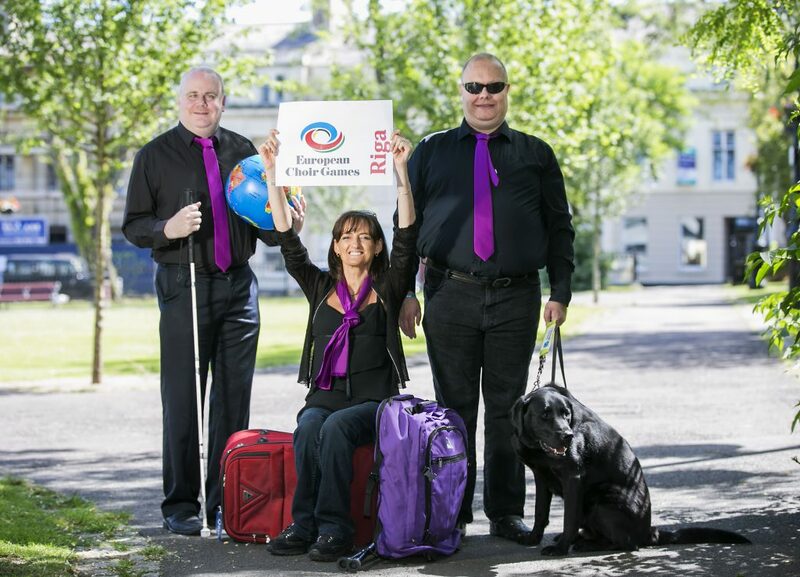 Angel Eyes is a charity which was set up by parents of blind children to support blind children and their families. 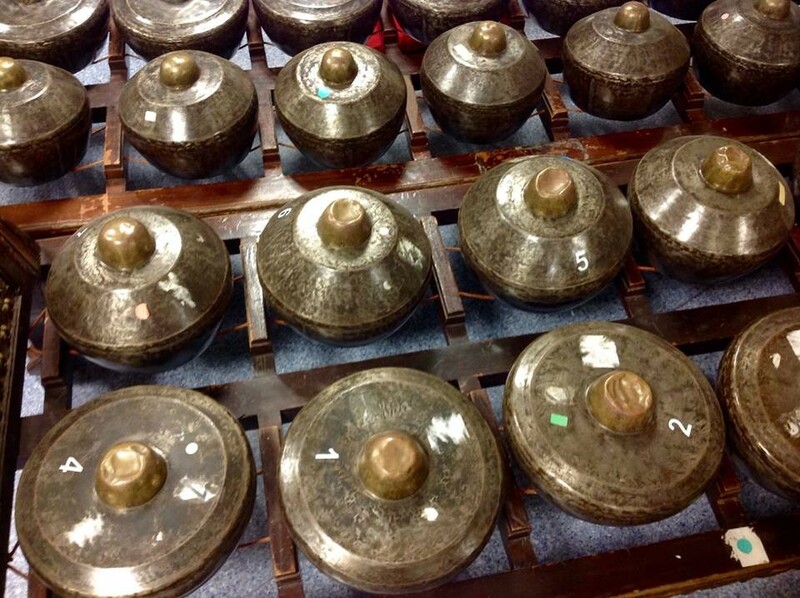 The tactile nature of the Gamelan, as well as the evocative sounds produced will provide these children with a rich musical experience. 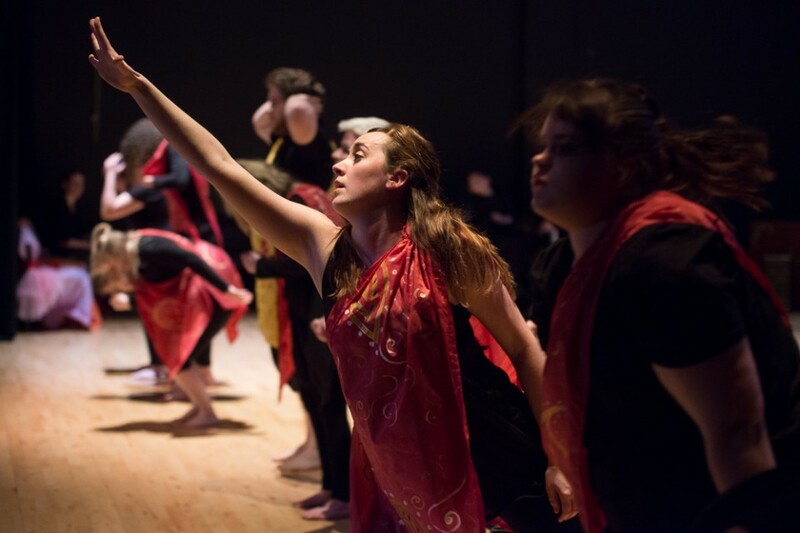 Also included in the Summer schemes will be physical movement and dance workshops with reacting to sounds, exploring expression through the body and enjoying the opportunity to discover new possibilities in a safe place. 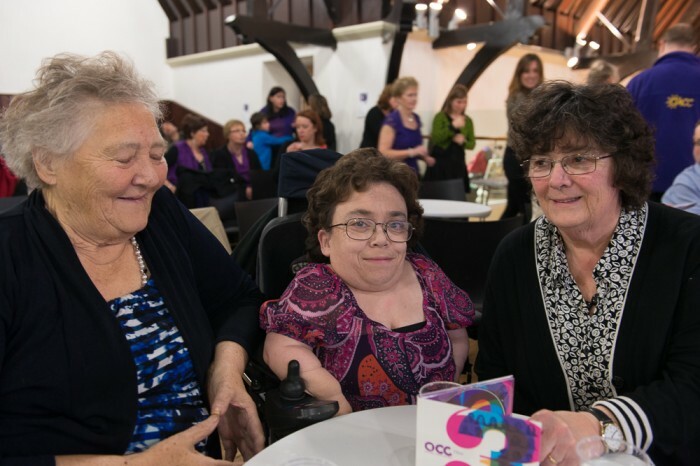 Three delegates from the Open Arts Community Choir (OACC) are going to the World Choir Games in Riga in July this year. 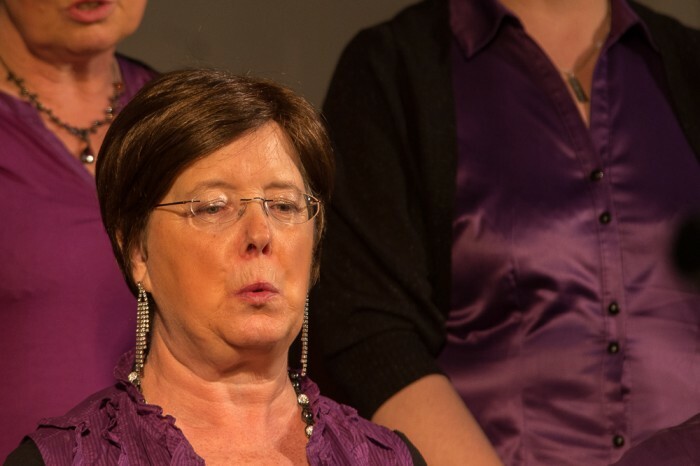 During their stay from the 16th to the 19th of July, Open Arts Musical Director Bev McGeown and two other choir members will attend a number of choral workshops and seminars, led by renowned composers, arrangers and conductors. In addition to networking with international choirs of high quality, they will also meet up with the Paros Chamber Choir, a similarly inclusive choir for singers with disabilities based in Armenia, with a view to future collaboration and professional development opportunities. The World Choir Games is inspired by the ancient Olympic ideal and brings together people of all nations, cultures and ideologies. The World Choir Games takes place every two years in different partner cities around the world. As in sports, the singers compete on behalf of their nations for gold, silver and bronze medals in roughly 30 different categories – the ultimate goal is the coveted title of ‘Champions of the World Choir Games’. No matter what category they compete in – from children’s, women’s or men’s choirs, through folklore and jazz to Gospel – an international jury judges all fairly and impartially according to a finely-tuned evaluation system. This World Choir Games trip will raise the skills, profile and international connections of Open Arts and the choir. The OACC delegates will learn a lot from adjudicators’ remarks on performances at the Games. They will be exposed to new singing techniques, genres and choral traditions. The trip is very generously funded by the Arts Council of Northern Ireland through the Artists International Development Fund Scheme. 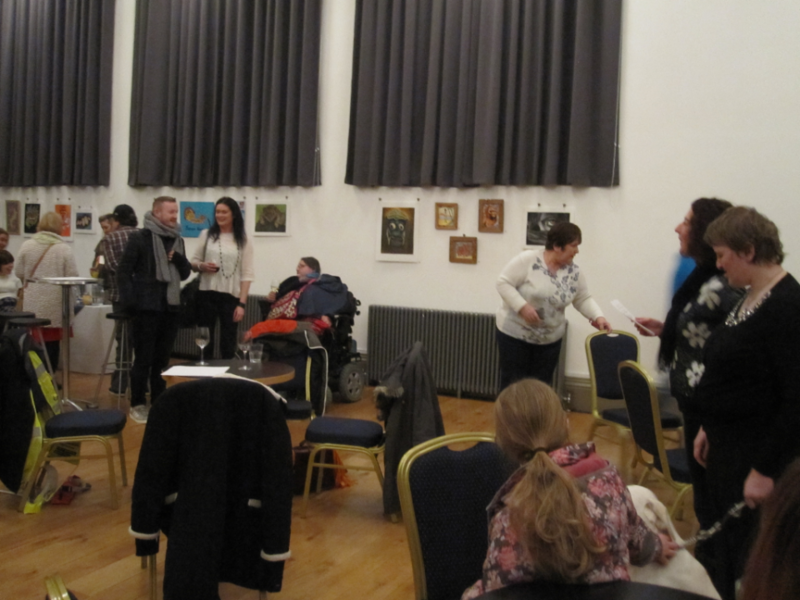 Acorn Arts, Open Arts’ blind & partially-sighted art group,launched a print exhibition on the Belfast Barge on Thursday the 19th of June at 7pm. The ‘Ship to Shore’ exhibition includes an array of prints inspired by Belfast’s maritime history and changing port area. 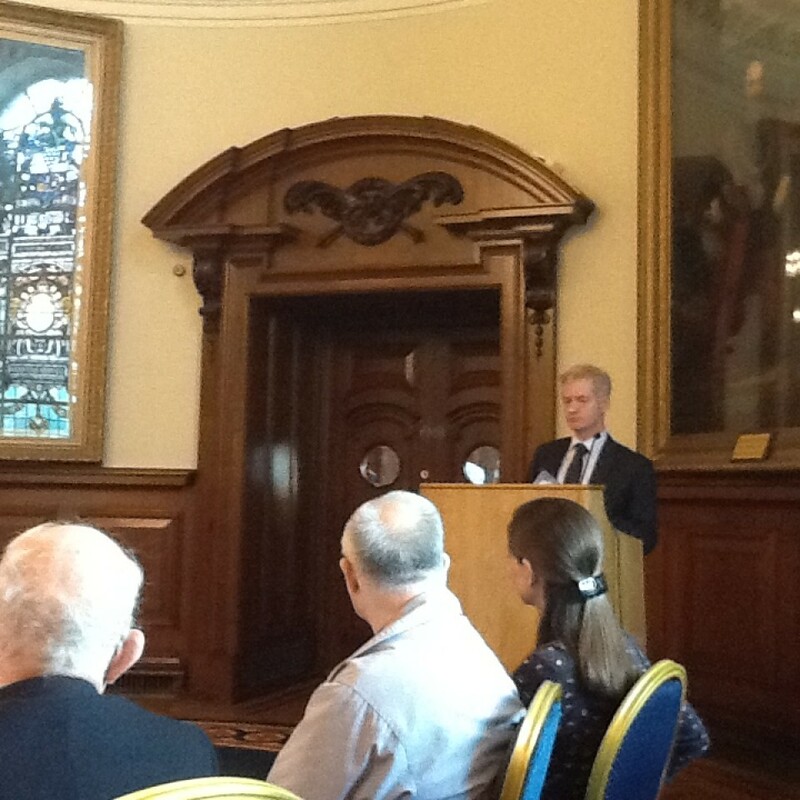 It is Funded by Belfast City Council’s Arts and Heritage Project Grant and Belfast Health Trust. 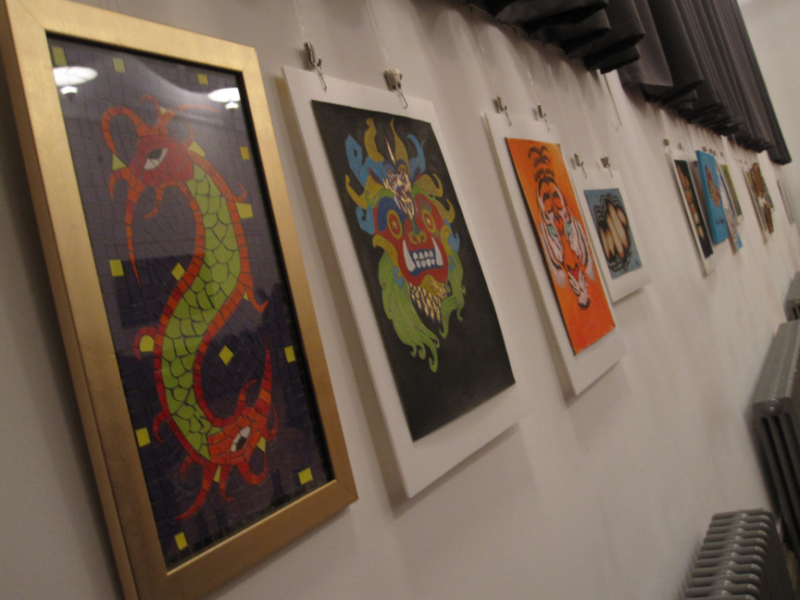 The exhibition will run for one month. The venue for the exhibition is a former cargo barge, permanently moored adjacent to Lanyon Place, which is located to the rear of Belfast’s Waterfront Hall. It houses a museum, a multi-use performance space and a café and has become a cultural hub on the river Lagan. Acorn Arts, Open Arts’ blind & partially-sighted art group, are due to launch a print exhibition on the Belfast Barge on Thursday the 19th of June at 7pm. Our Jalan-Jalan event was a huge success. 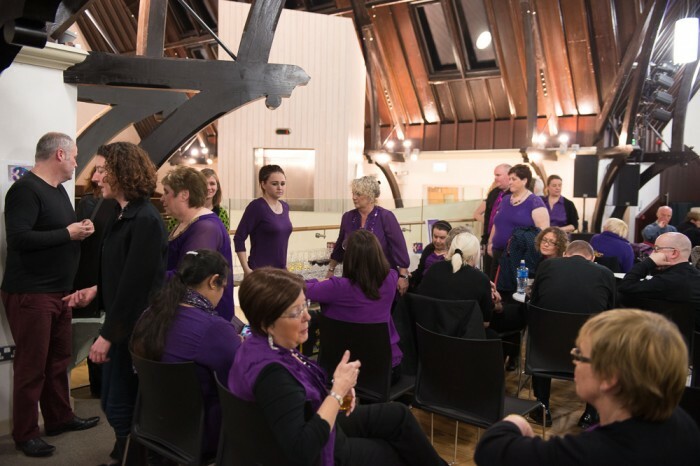 Our Choir, Gamelan, Luminous Soul, Monday Players and Visual Artists wowed a full audience at the Spectrum Centre on the Shankill Road with the Jalan-Jalan performance and exhibition launch afterwards. Congratulations to every artist involved. 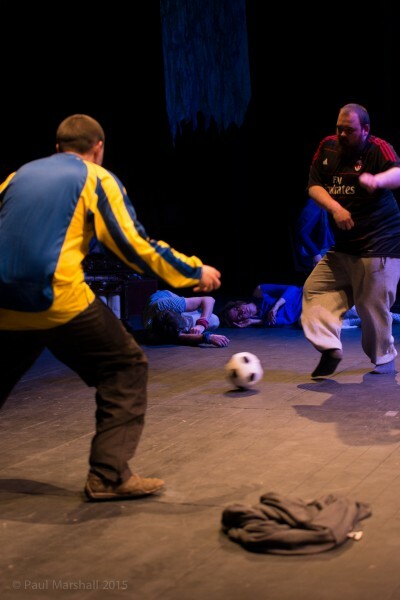 JALAN-JALAN – Book your tickets here! Jalan-Jalan is Open Arts’ showcase performance inspired by the Indonesian version of the Ramayana which explores human values, the struggle between light and dark, good and evil. It is an emotional journey from intrigue, threat to resolution and a return to safety and peace. 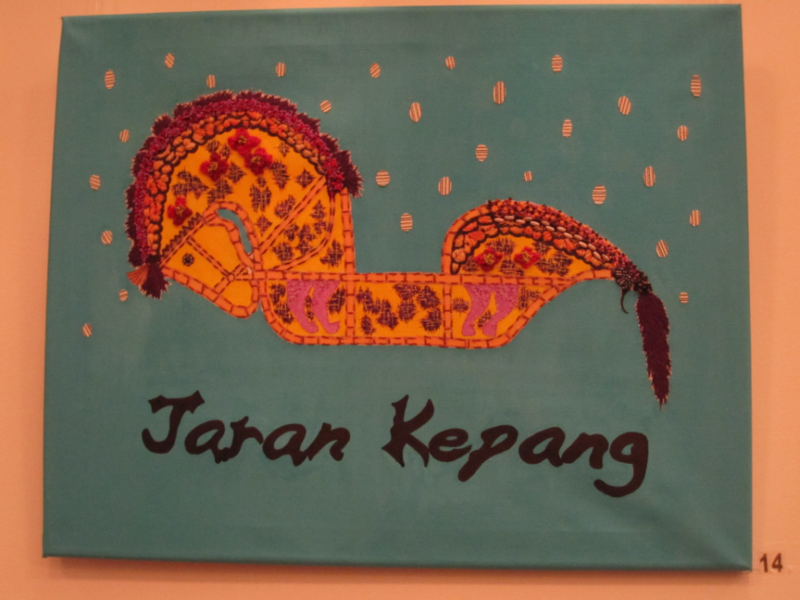 Jalan-Jalan is a collaboration between all Open Arts’ groups: Gamelan players, Monday Players drama, Luminous Soul dancers with content inspired by work from our creative writing group and parts of the set designed and painted by our visual art groups. 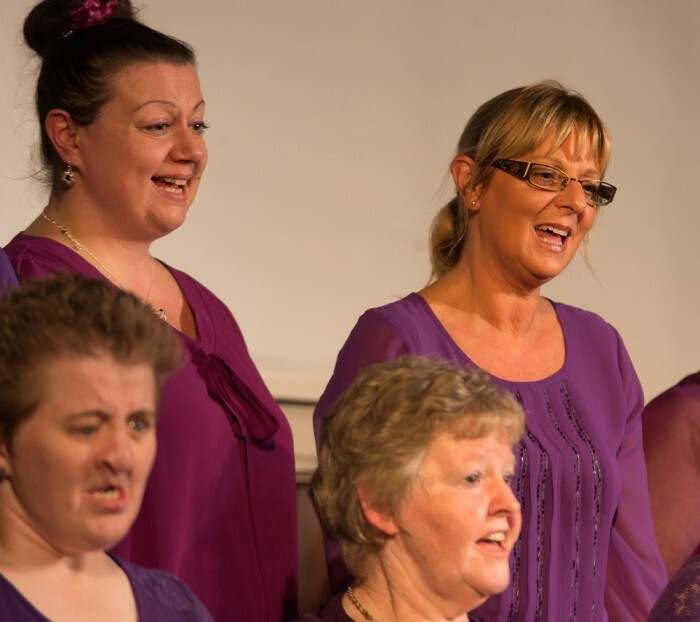 There will be an exhibition of work from our visual arts groups and the evening will also feature a new set of songs from Open Arts Community Choir. 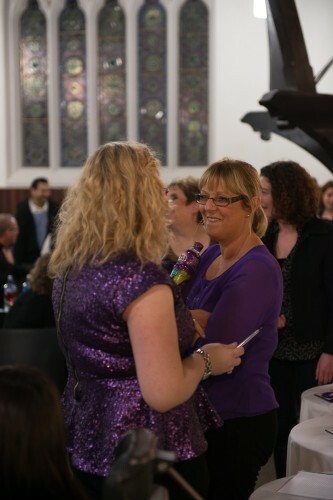 The venue for Jalan-Jalan is the Spectrum Centre on the Shankill Road on the 14th of June at 6pm. From 1pm on Friday 13th June ticket bookings can no longer be taken by telephone phone so please reserve your tickets below. There will also be tickets available on the door from 6pm on the evening of the show. Parking: there is no specific car park at the venue but there is on street parking in the area, particularly on Tennent Street along the side of the Spectrum Centre. 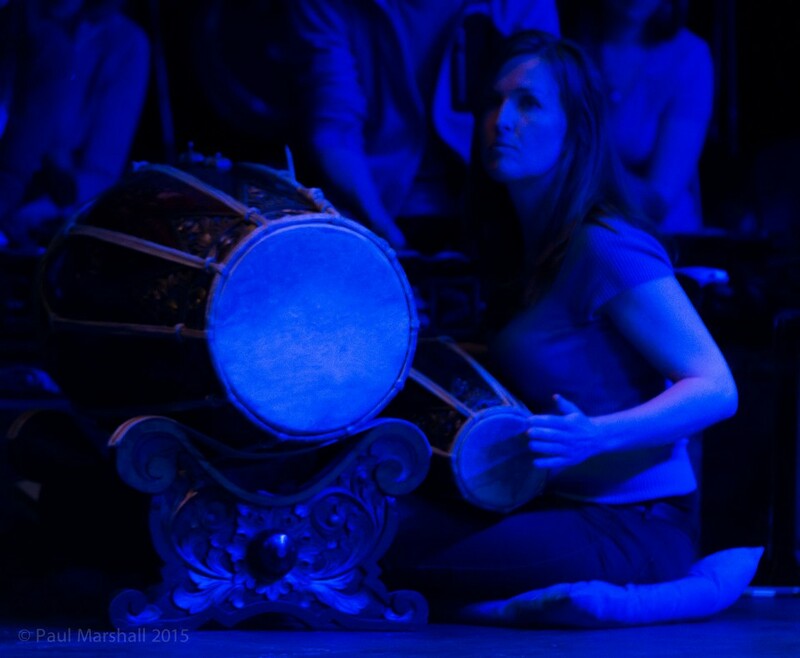 7pm: Jalan-Jalan: Gamelan, Luminous Soul dance and Monday Players drama group. 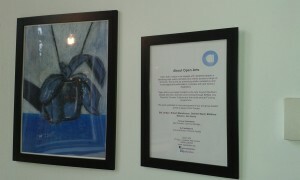 7.30 – 8.30: Exhibition Launch for Open Arts Visual Arts groups in the Spectrum Centre Cafe, with refreshments. Belfast Central Library have started a visually impaired reading group. 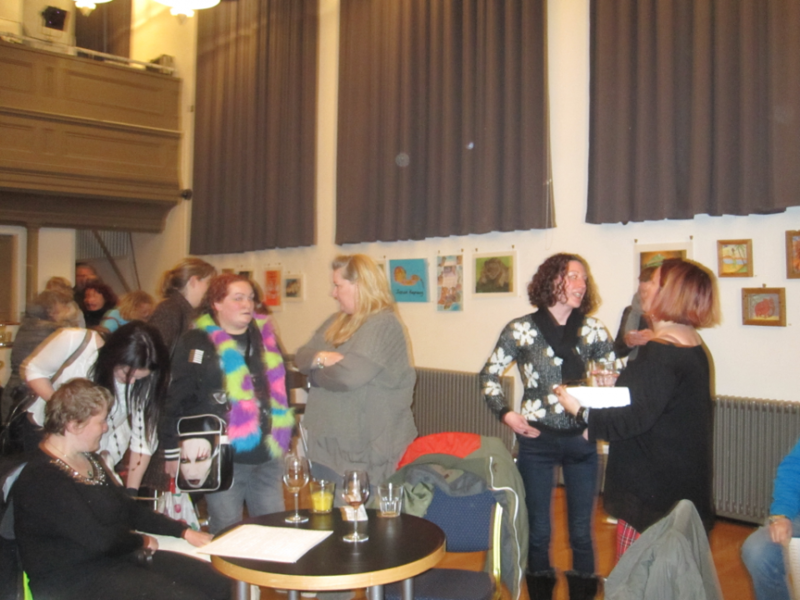 The group meets the 2nd Wed of every month. The next meeting is on Wed 28th May at 10.30am. Everyone is welcome. Please contact Belfast Central Library at belfastcentral.library@librariesni.org.uk for more information. 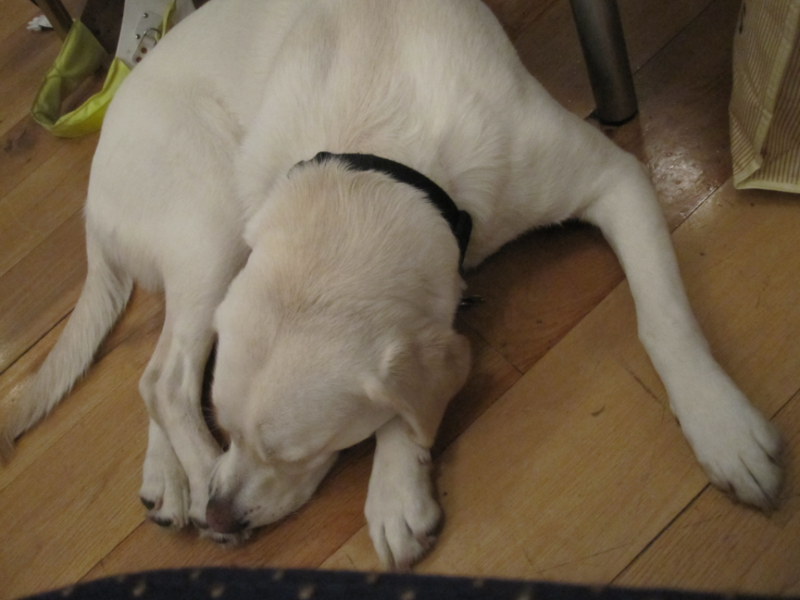 Open Arts wishes to congratulate Andrea Hope on completing the 8 mile Belfast City Marathon walk with her guide dog Zeta Vale Hope on Monday, 5th of May. 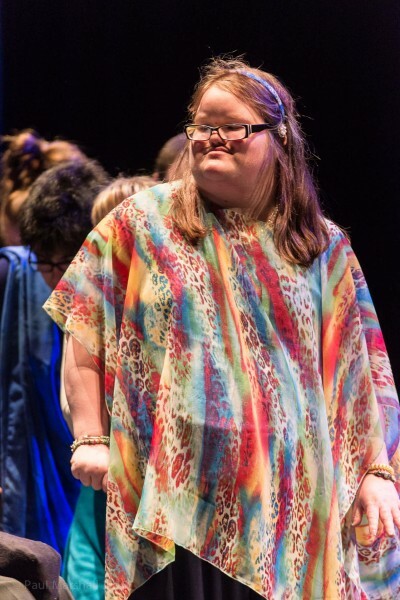 Andrea, a member of our Open Arts Community Choir, Luminous Soul Dance, Open Arts Gamelan and newly appointed Open Arts Board member, took on the challenge to raise money for Open Arts to show her appreciation for our organization. You can still show your support for Andrea’s achievement and for Open Arts by texting: OART21 (with no spaces) followed by your donation choice, remembering to put the £ (pound sign) before your figure e.g. £1, £2, etc to 70070. So to donate £5: text ‘OART21 £5′ to 70070. Well done Andrea (and Zeta)! 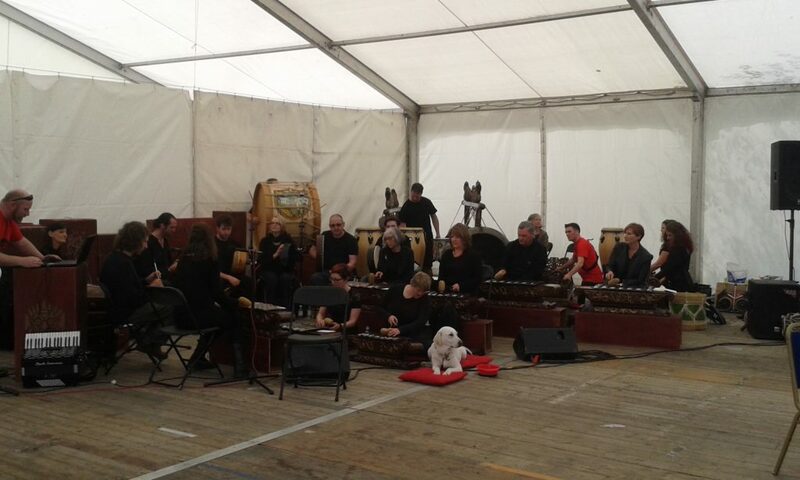 Our Gamelan has found a summer home in the Spectrum Centre in Belfast. 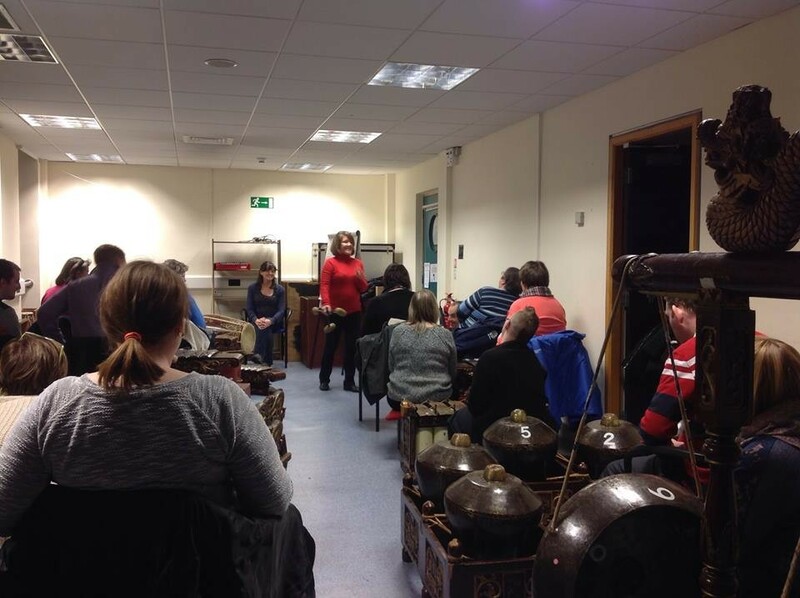 The Gamelan will begin its public residency on the 2nd of June, working in partnership with the Spectrum Centre to provide workshops and classes for community groups in the Shankill and North Belfast area. 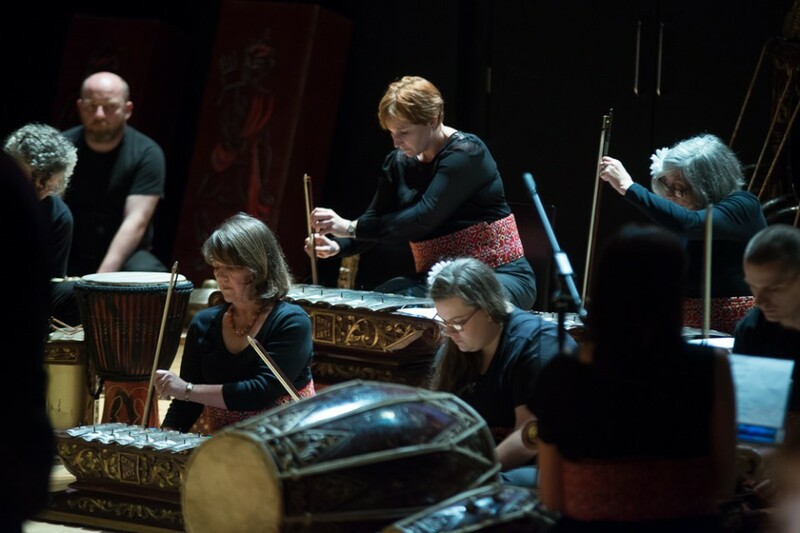 The workshops will build up to our big event this year, The Gamelan Gala, an integrated performance involving the Open Arts Gamelan, our Luminous Soul dancers and Open Arts Monday Players drama group on the 14th of June. The multi-disciplinary performance is inspired by the Indonesian version of the Ramayana, in that it explores human values, the spiritual struggle between light and dark, good and evil. It will be an emotional journey from intrigue, threat to resolution and a return to safety and peace. 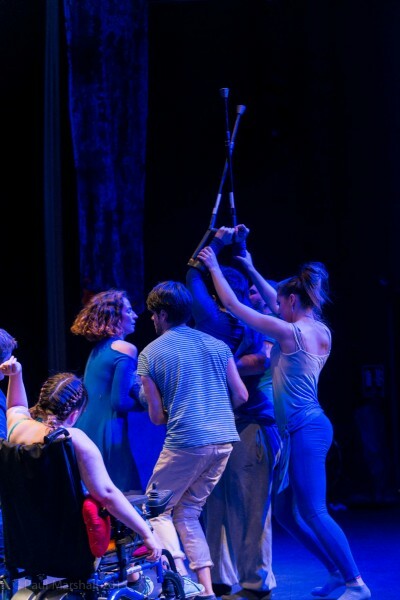 The Monday Players will perform physical theatre tableaus along with the Open Arts Luminous Soul dancers and the Gamelan will provide the music for the performances. 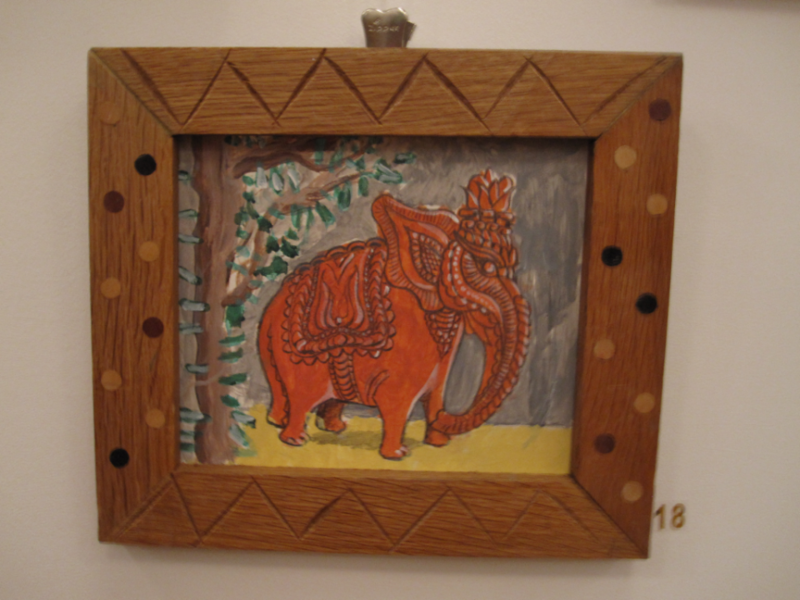 Our Visual Art groups are currently researching Indonesian art and stenciling the Gamelan boxes with beautiful designs that will be used as stage props for the Gamelan Gala. They are also creating Mandalas and art inspired by traditional Indonesian art and designs. Our Creative Writing groups are currently researching Indonesian stories as inspiration for their own writing. They are producing pieces for drama and songs. Printed poems and stories may be displayed in the Spectrum Centre and there may be a live reading or recorded spoken word played. 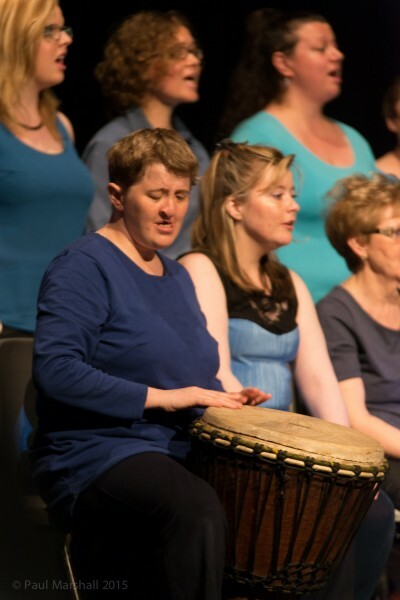 Open Arts’ amazing Gamelan player, Community Choir singer and Luminous Soul dancer, Andrea Hope , is taking on the Belfast Marathon 8 mile walk with her guide dog Zeta Vale Hope to raise money for our organization. 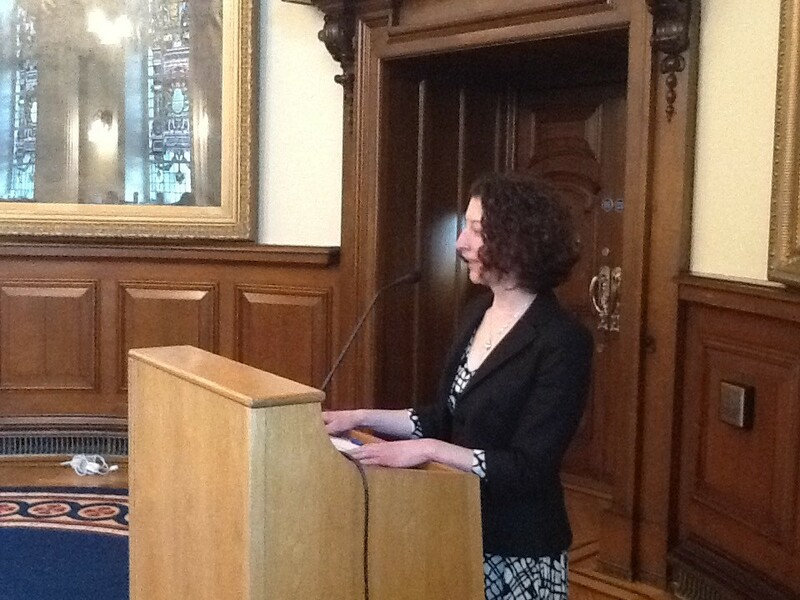 “I know that so long as I’m involved with Open Arts so many doors will continue to open. I’ve already had some amazing experiences with Open Arts, and I’ve achieved so much as well, and it’s all because of the wonderful guys who work for Open Arts. This is a fantastic way to say thanks and to give something back. We’re all one big happy family at Open Arts. 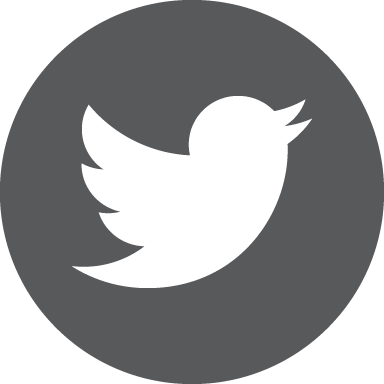 Text OART21 (with no spaces) followed by your donation choice, remembering to put the £ (pound sign) before your figure e.g. £1, £2, etc to 70070. Click the link below to see the Luminous Soul Dancers in action. 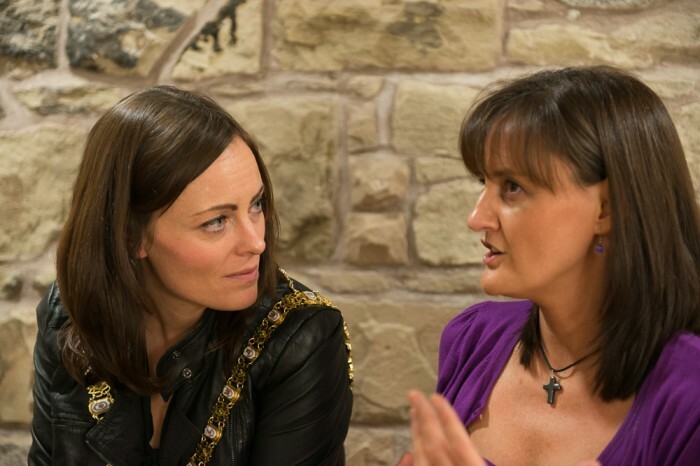 Open Arts CEO Eileen Branagh and Luminous Soul dancer Katy Megahy talk about their successful pitch as part of The Funding Network event in November which secured development funding for Luminous Soul. 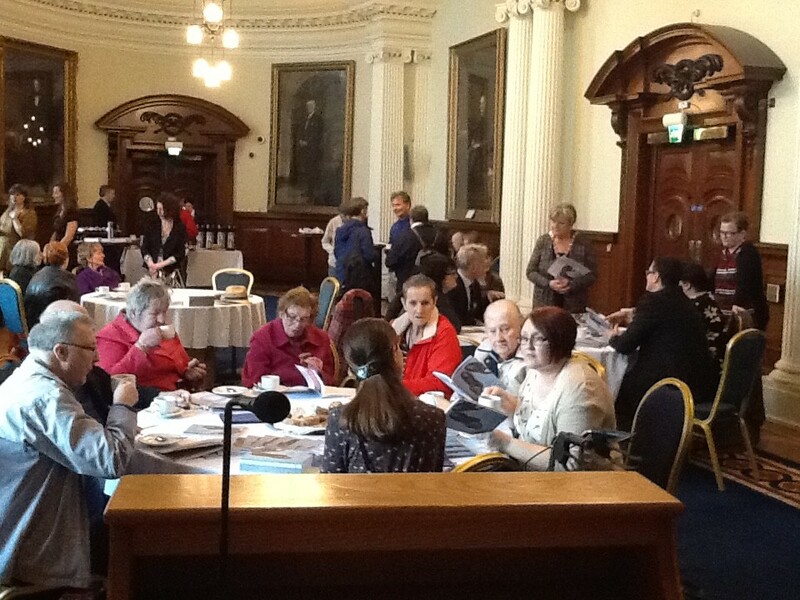 The Funding Network event was organized with local partners: Community Foundation NI, Giving NI, and Belfast City Council. 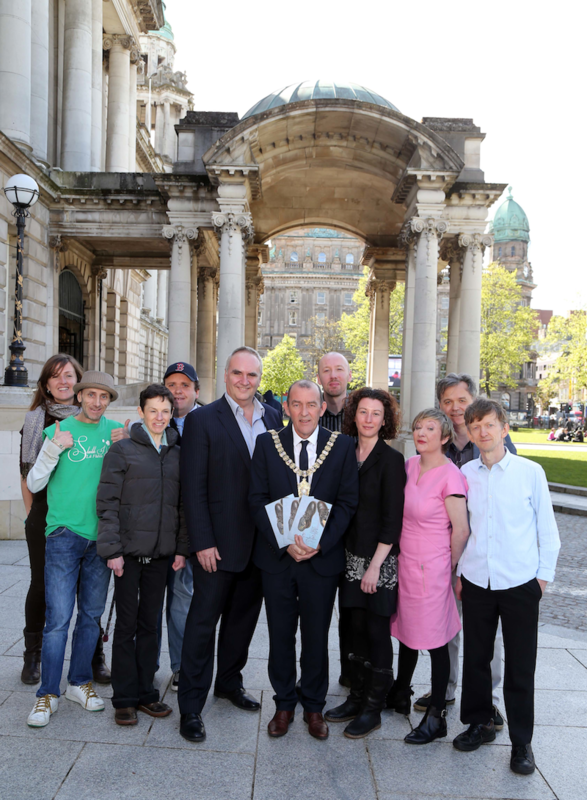 Open Arts’ sponsor for the event was The Lord Mayor of Belfast, Councillor Máirtín Ó Muilleoir. 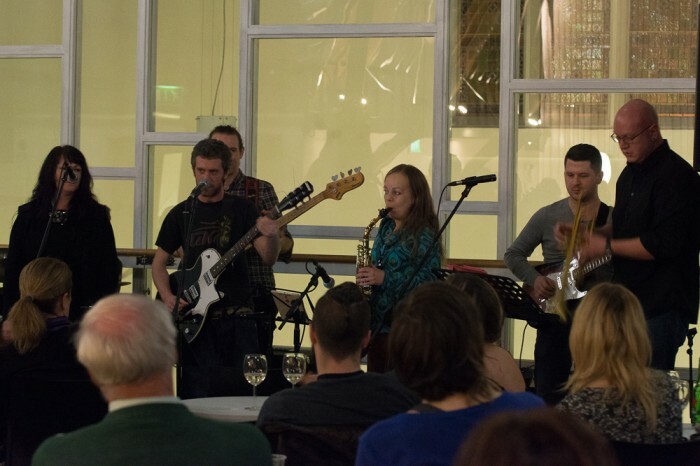 Join the loudest, most fun jam session in Belfast. 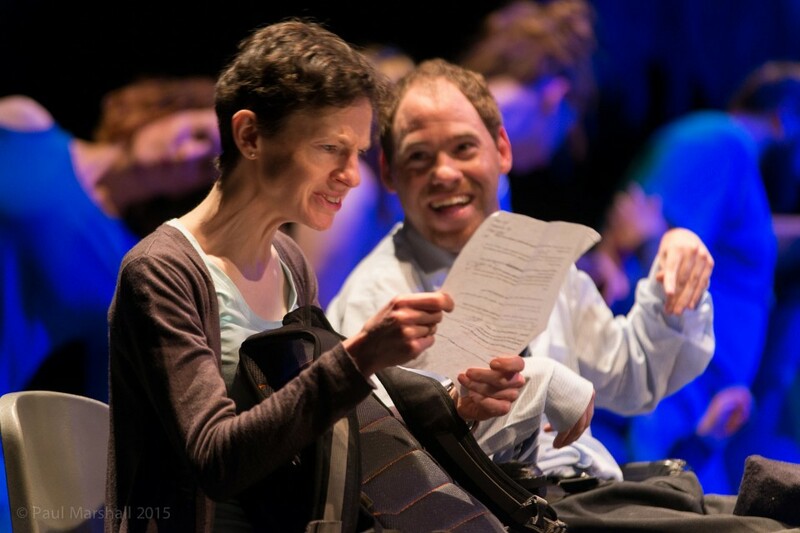 JAMDIN is an interactive and inclusive music-making session held one Saturday morning per month in the Crescent Arts Centre, led by two experienced Open Arts community musicians. 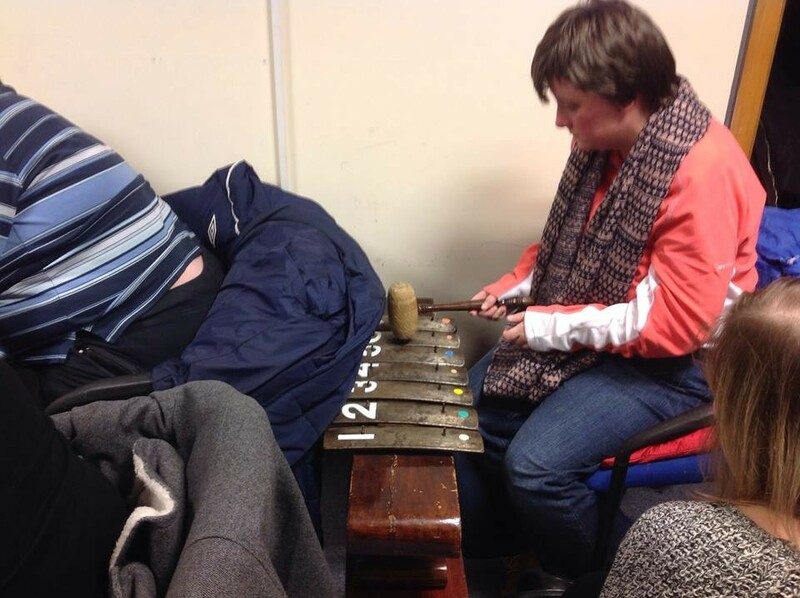 It is for everyone, people with and without disabilities, who love jamming with musical instruments and drumbeats. You can bring your own instrument or use one of ours. You don’t need to know anything about music. You only need to be prepared to have fun and make some noise! -Drumming with Boomwhackers, drumsticks, and other percussion instruments. -Jamming with whatever instruments people bring along. When? 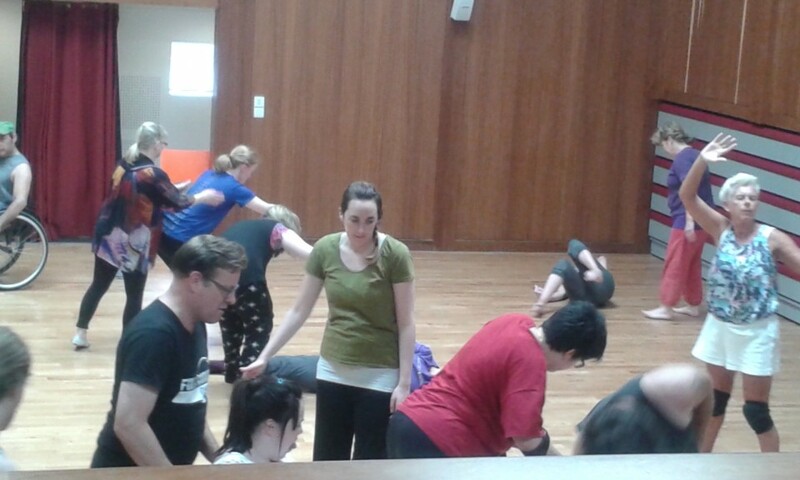 JAMDIN is held one Saturday per month from 10.30am-12pm, beginning February 2014. How much does it cost? £0! Nothing! JAMDIN is free! 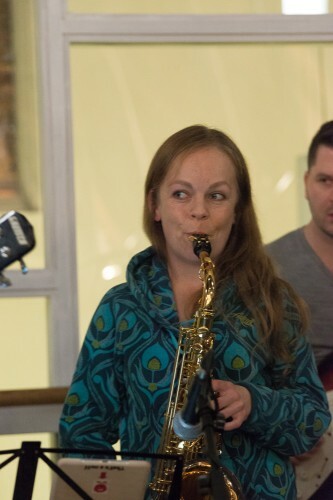 If you would like to jam with Open Arts, get in touch with Bev Whyte atbev@openartsni.org Or phone 02890 240765 to register your interest. On Saturday the 22nd of February, Open Art’s Luminous Soul will perform among some of the best local contemporary dance groups at CityDance14: Contemporary Dance Showcase. 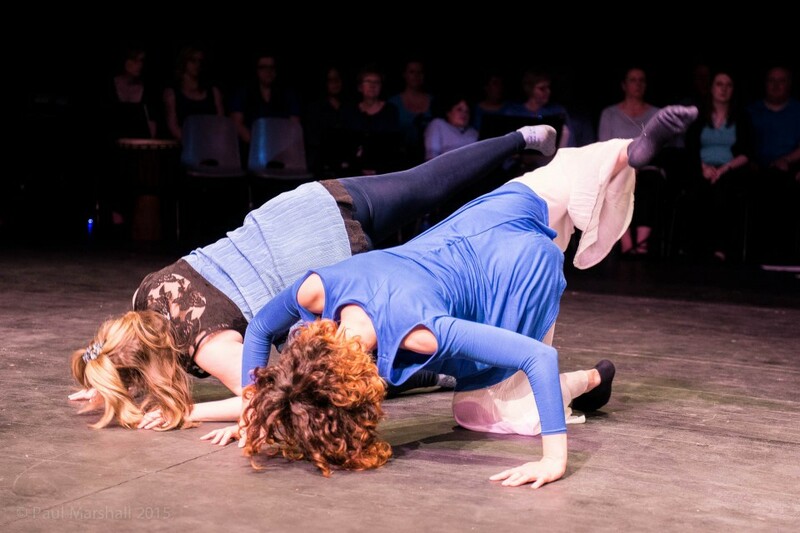 The night will be a real treat for dance fans, with 9 different dance groups performing their innovative and creative contemporary routines at the showcase in the Crescent Arts Centre. The Luminous Soul piece, In the Shadows, was inspired by the Light & Shadow sculptures of Japanese artist Kumi Yamashita and the poem Luminous Soul by John McGuckin. The dancers will explore their own shadows and how things are never quite what they first seem. 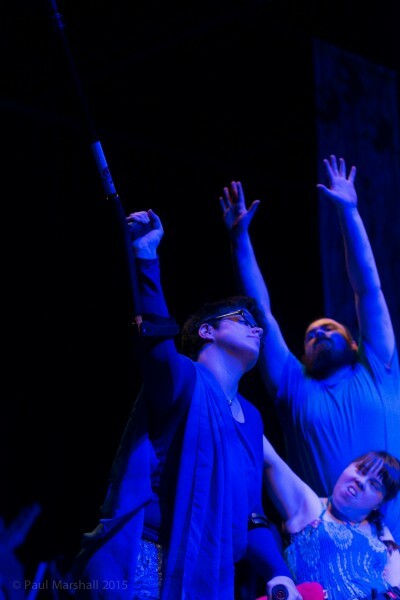 It is directed by Sheena Kelly and choreographed by the dancers themselves, to the music of Paper Tigers by Helios. 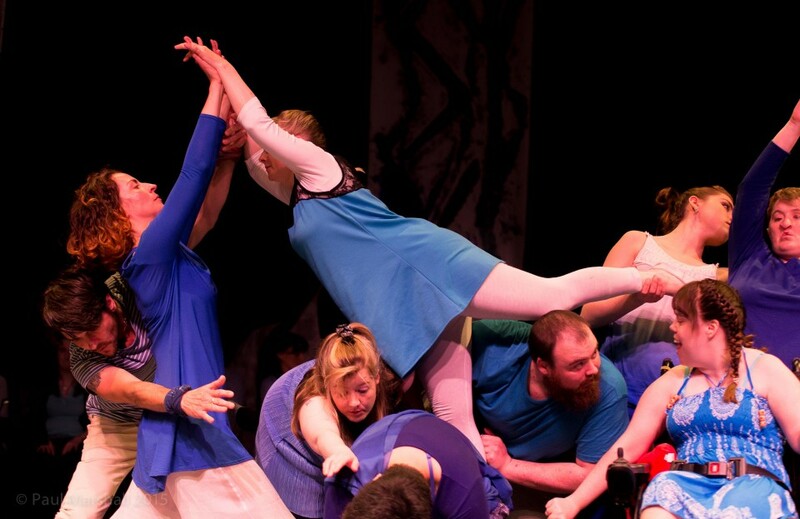 Luminous Soul are contemporary dancers who have a disability. Over the last 5 years they have moved from strength to strength working with some of the UK and Northern Ireland’s finest choreographers. Their performances have been highly praised and they have been featured at 2013 World Police and Fire Games, 2012 Paralympic Flame Festival, and the Milk Cup NI Welcoming ceremony. 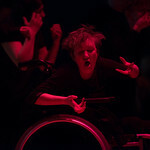 Open Arts’ Luminous Soul is a unique, contemporary dance project that provides high-quality dance training and development, enabling disabled people to become professional dancers. 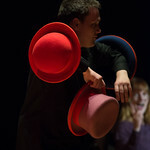 http://crescentarts.ticketsolve.com/shows/873509739/events Visitwww.CityDanceBelfast.com for more information. 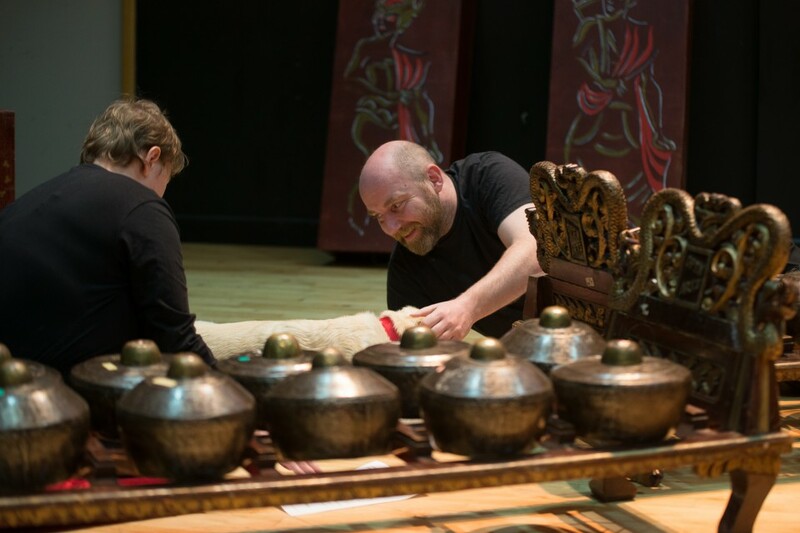 The Open Arts Javanese Gamelan is now available for residencies in Belfast! 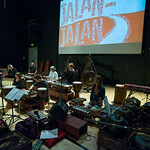 Since the Open Arts Gamelan arrived in Belfast from Java in 1995, it has travelled the length and breadth of Ireland, and for the last 3 years has resided in the Music Department at Stranmillis University College, running Gamelan music sessions with community groups of all ages and abilities. However, from January 2014, it will be released to travel again…! Not sure what a Gamelan is?? A Gamelan is an amazing orchestra of percussion instruments from Indonesia, comprising gongs, metallophones and drums of various shapes and sizes, and can be played by up to 20 people at any one time. As well as being stunningly beautiful, the Gamelan has an other-worldly, vibrant & sonorous sound, and can be played by anyone, regardless of age, disability or previous musical experience.It is therefore the perfect tool for bringing school or community groups together, and for corporate team-building days. 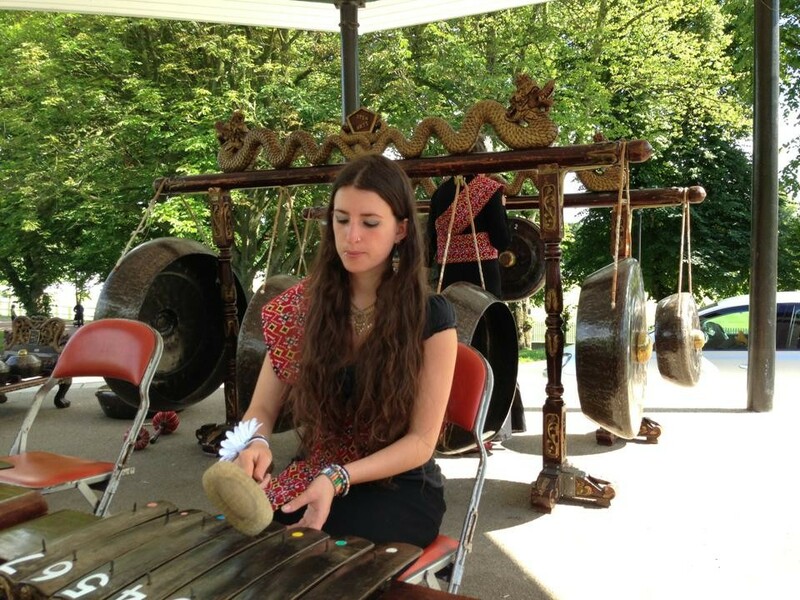 Please follow the link below to get a flavour of some of our recent Gamelan projects and performances. 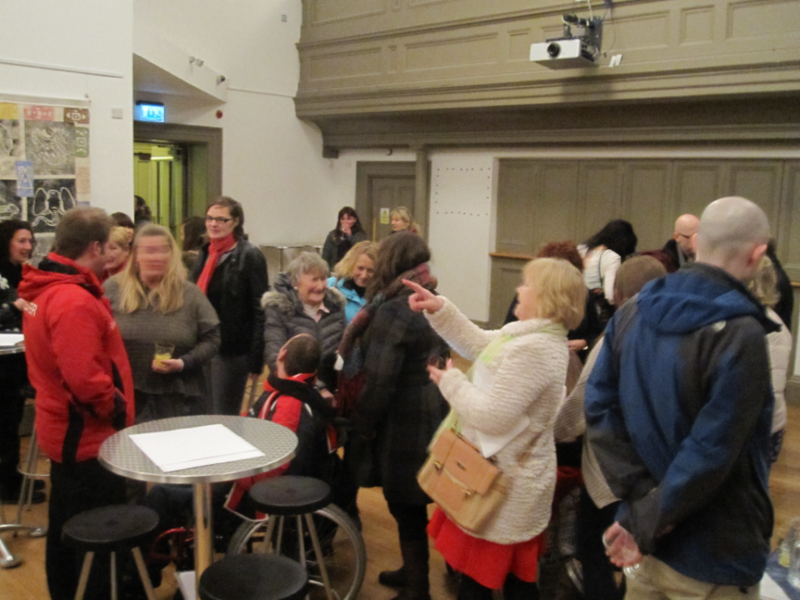 Usually on your 21st birthday you are given the proverbial ‘key to the door.’ But Open Arts has turned this tradition on its head by opening its doors to the public with an interactive showcase exhibition that highlights its extensive work in enabling disabled people’s participation in the arts over the past 21 years. 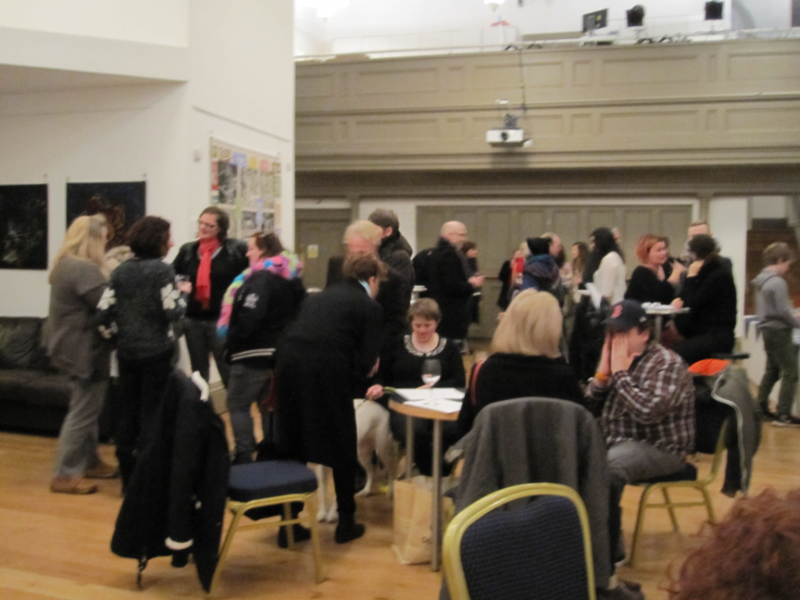 The exhibition launch and birthday party was held on Monday 28th of October in the Crescent Arts Centre. 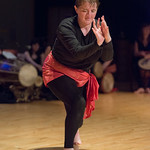 It included performances by Open Arts Luminous Soul dancers, Gamelan musicians, members of the Open Arts Community Choir and readings by the Open Arts creative writers. The Open Arts staff shared out a 21st birthday cake with all of the invited guests. 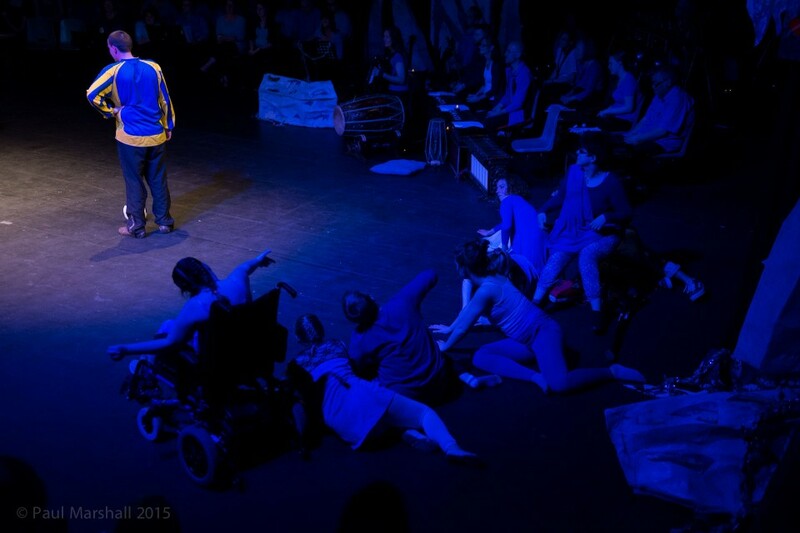 Open Arts has worked steadily away in the background since 1992 providing a huge array of opportunities for disabled people in the arts. 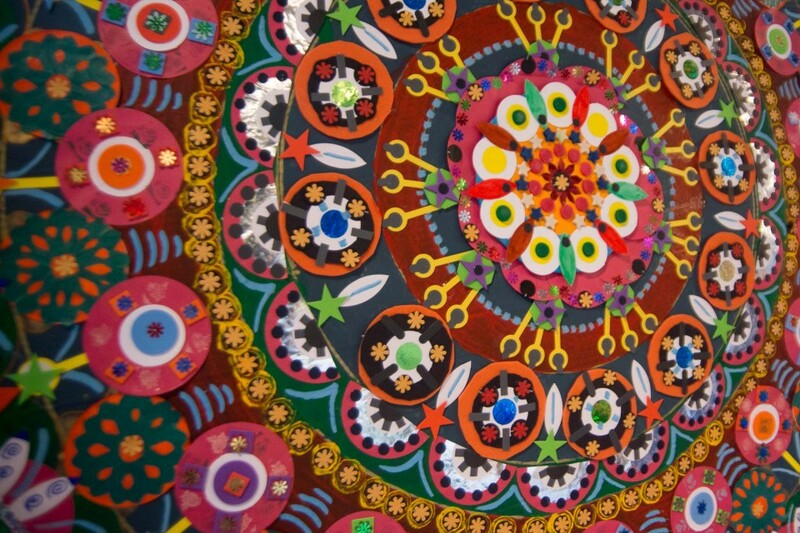 This exhibition is a chance for Open Arts to flaunt its scope and impact. But these high profile special performances are only the tip of the iceberg. 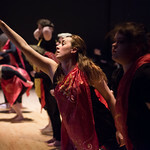 Open Arts runs an extensive programme of classes in creative writing, dance, choir, gamelan, visual arts and drama for hundreds of disabled people every year in Belfast and all over Northern Ireland. On top of this, they organise major events and performances. 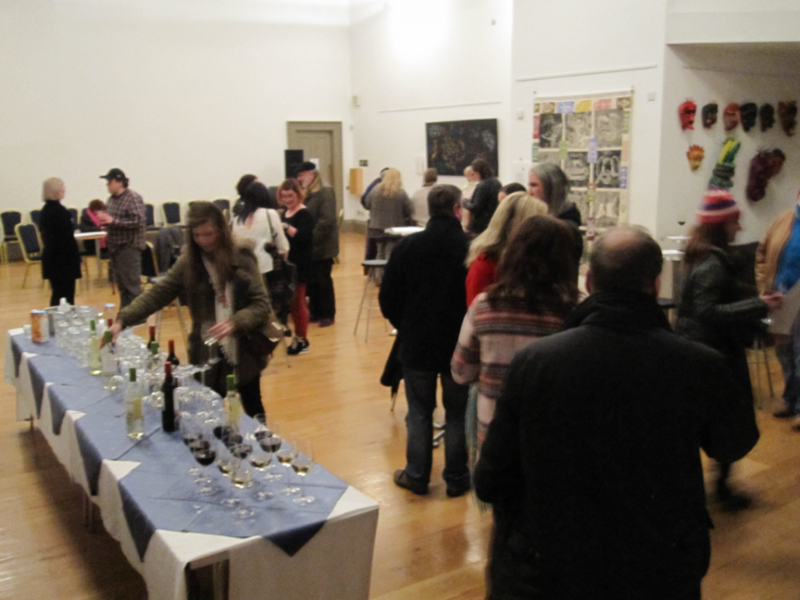 The showcase exhibition ran until Saturday 2nd November. It also included daily hour long workshops activities for exhibition visitors to get fully immersed in the work that Open Arts does. In true Open Arts fashion, these were open to anyone who wanted to join in. 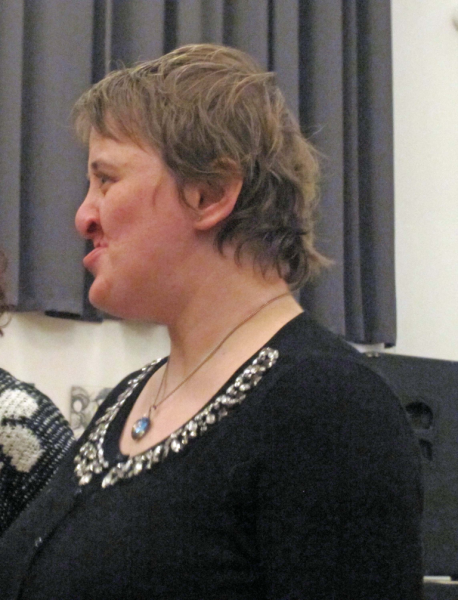 An exhibition highlighting 21 years of commitment to valuing creativity, furthering artistic excellence and promoting the rights and employment of disabled people within the arts. Our Gamelan was selected by Culture Night Organizer, Adam Turkington, to perform at the Culture Night Belfast Launch Ceremony in August. On Culture Night itself, the Gamelan played in the Art College for several hours. 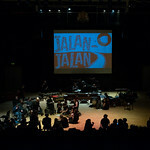 Click the link to watch a video of the Open Arts Gamelan Players performing at the launch event. 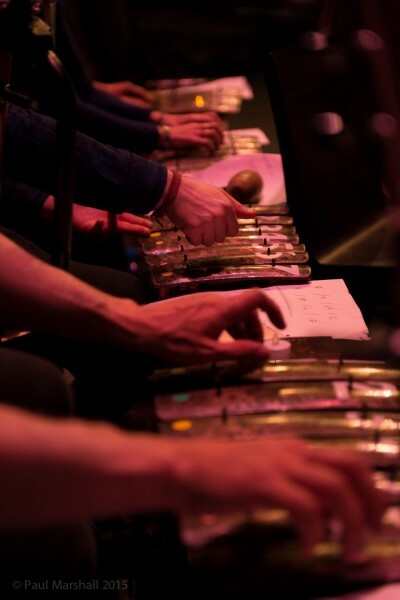 Open Arts is currently recruiting new Gamelan players, with rehearsals starting on Wednesday 25 September at 4.30pm. Please email Bev Whyte, Musical Director, bevopenarts@aol.com for more info, or to register your interest. 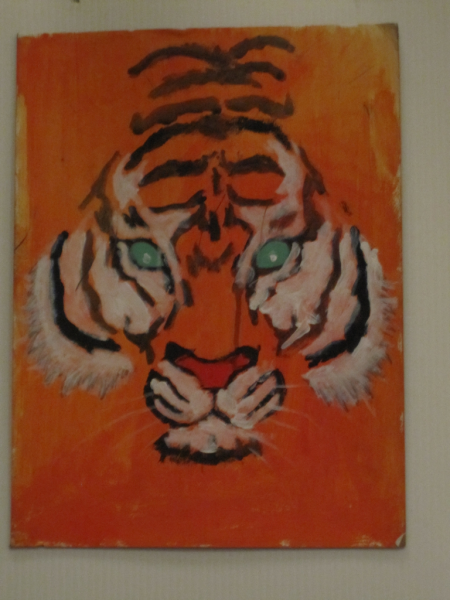 the Open Arts Morton Monday Visual Arts Group worked with artist Ash Reynolds and other centre user groups to create a beautiful mural for permanent display in the centre. with Craig Blakely and Marylouise Mccord Lou Lou. Belfast Lord Mayor Mairtin O’Muilleoir surprised Kate Ingram, CEO of Open Arts from its foundation in 1992 until April of this year, with a Belfast Ambassador Award during a tea reception yesterday, Monday the 5th of August, in the Lord Mayor’s Parlour. The award is a new initiative, presented to ex-pats and locals who are outstanding advocates for the people and city of Belfast. 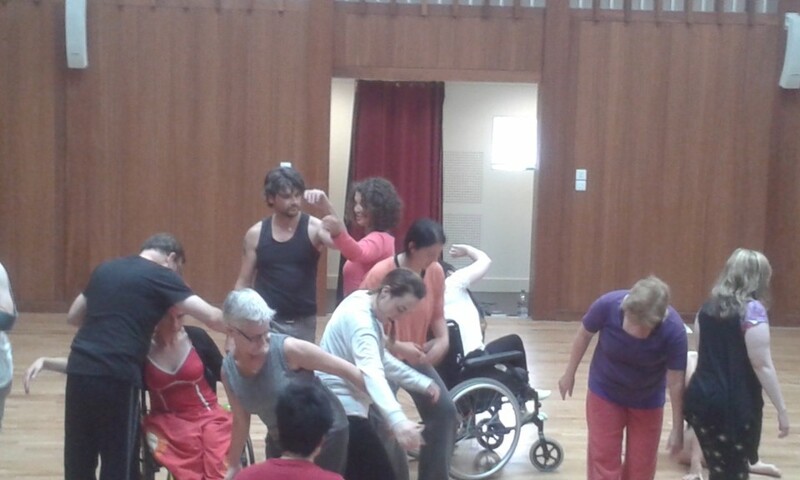 Our Luminous Soul Dancers are in rehearsal for the Opening Ceremony of the World Police and Fire Games in the Kings Hall this Thursday, 1st of August.The Open Arts Community Choir will perform at the closing ceremony on the 10th of August, which is not open to the general public. The World Police and Fire Games is a biennial event for serving and retired police, fire, prison and border security officers. WPFG is the third largest international multi-sport event in the world and will be the largest ever sporting event to take place in Northern Ireland. In 2013 there will be 56 sports held at 41 venues across Northern Ireland. Over 7,000 competitors from over 60 countries are expected to take part. The Opening Ceremony tickets have all now been allocated but if you would like to watch it will be streamed live from 6.30pm on Thursday night on www.bbc.co.uk/ni. 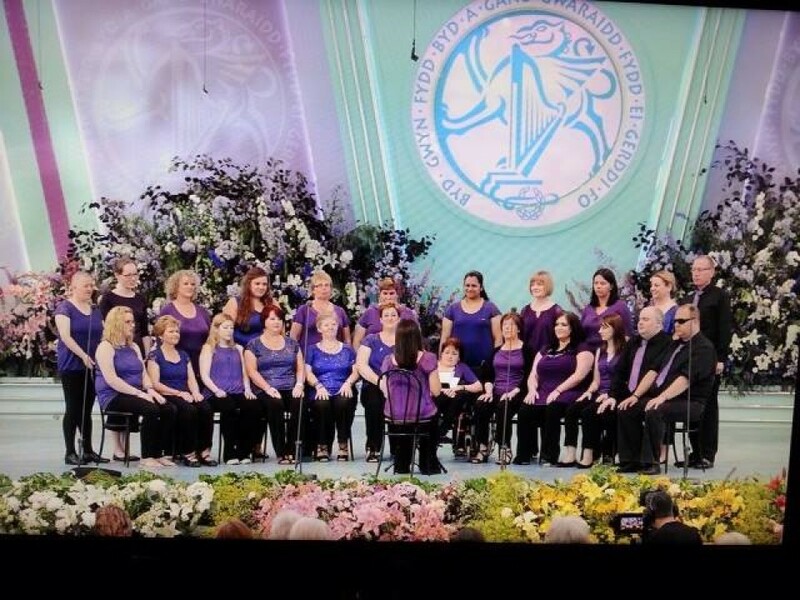 Open Arts Community Choir competed in the International Musical Eisteddfod in Wales. 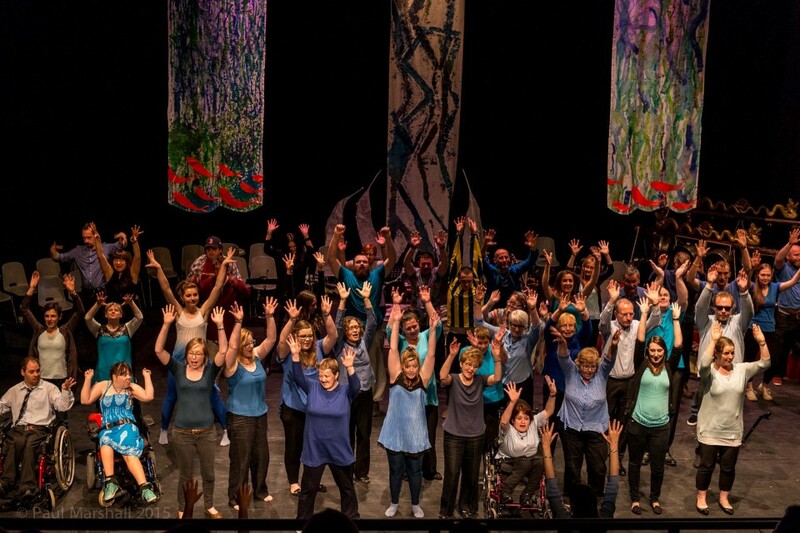 Open Arts took every member of its 30-strong Open Arts Community Choir to Wales this July to compete in one of the world’s most renowned choral competitions, the International Musical Eisteddfod. The choir visited the Eisteddfod Cultural Festival several years ago as a community performance group. This year they were invited back this year as competitors in the Eisteddfod Choral Competition. 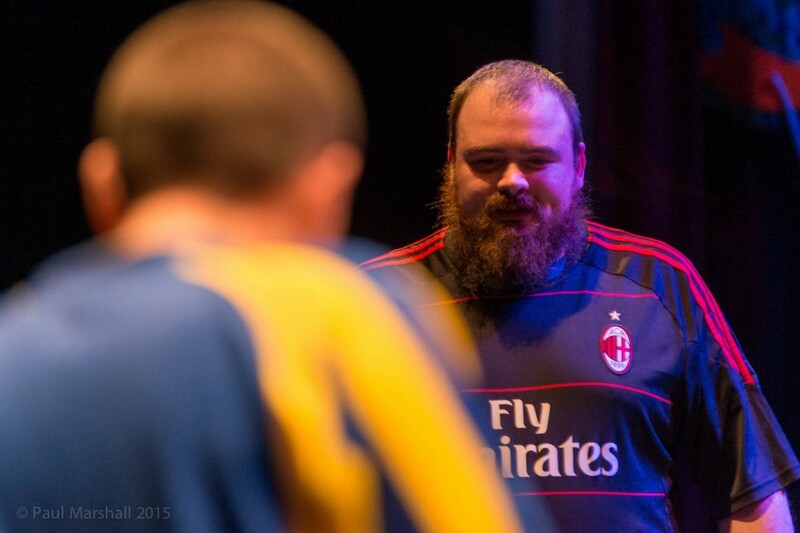 To compete, a group must meet a very high standard and pass a rigorous selection process. The 30 choir members travelled by coach and ferry to Wales for 5 days, along with some family members and support workers. 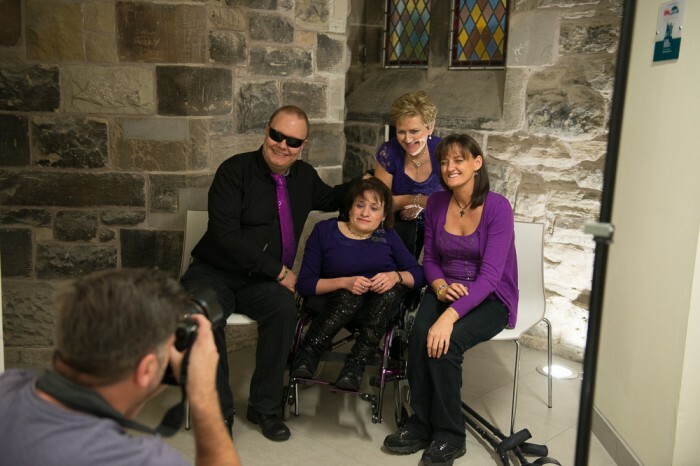 The non-disabled and disabled members work together as a team to overcome any accessibility problems. The choir competed on Thursday the 11th of July in the Folk Song Choir category and again in the Chamber Choirs competition on Friday the 12th of July. They also give a public performance on Saturday the 13th of July on the S4C stage at 12.45 pm. 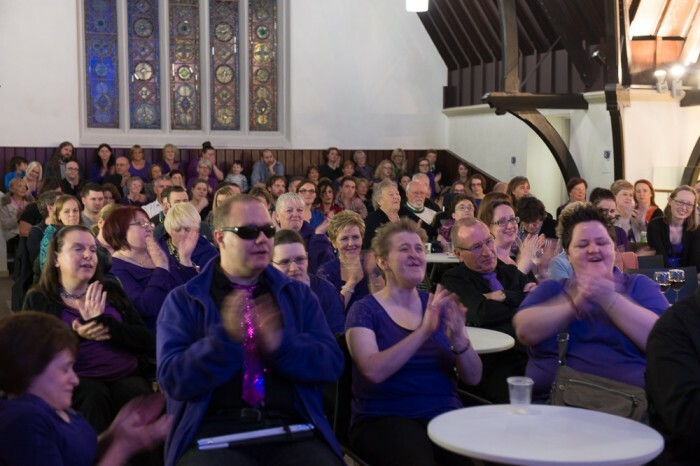 The competition was televised on S4C (Sky) on the three performance days, and garnered national and international attention for the choir. 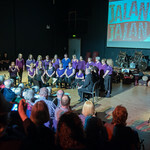 If you would like more information on the choir please visit the choir website:www.openartscommunitychoir.com. 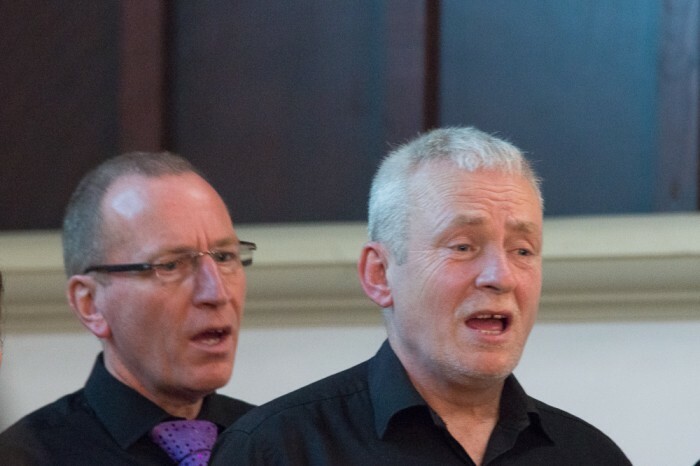 Open Arts community Choir moved the adjudicators to tears with their rendition of the ballad, Danny Boy, at the Llangollen International Musical Festival in North Wales in July. All photos were taken by Paul Marshall. Click here for Paul Marshall’s website. 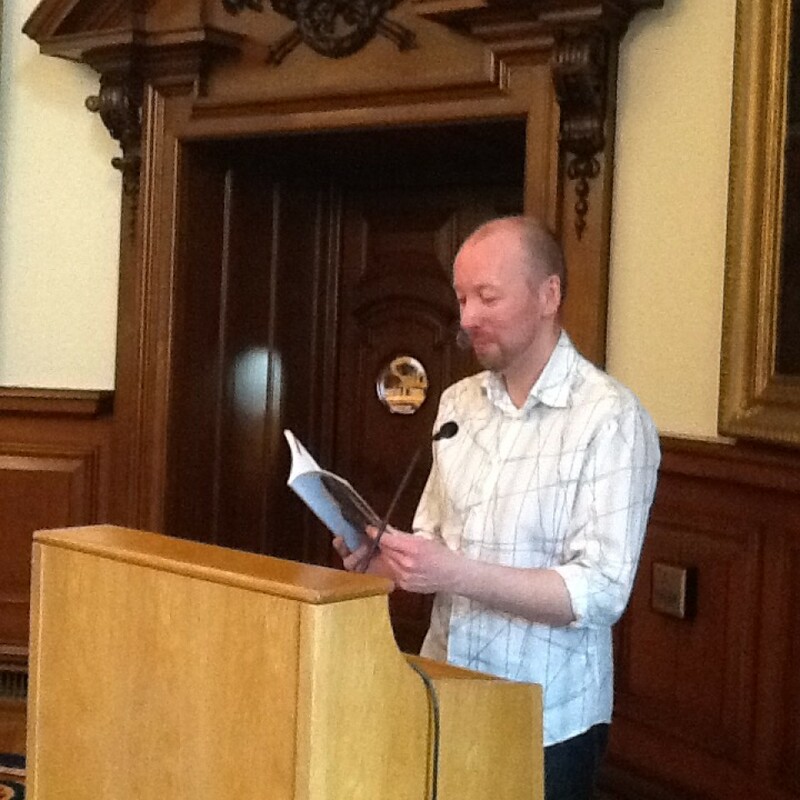 In the tradition of one of the most famous poems in the English language – John Keats’ Ode on a Grecian Urn – the participants of Open Arts Creative Writing groups have written Time Transformed, a collection of poems inspired by reflection on historical objects. 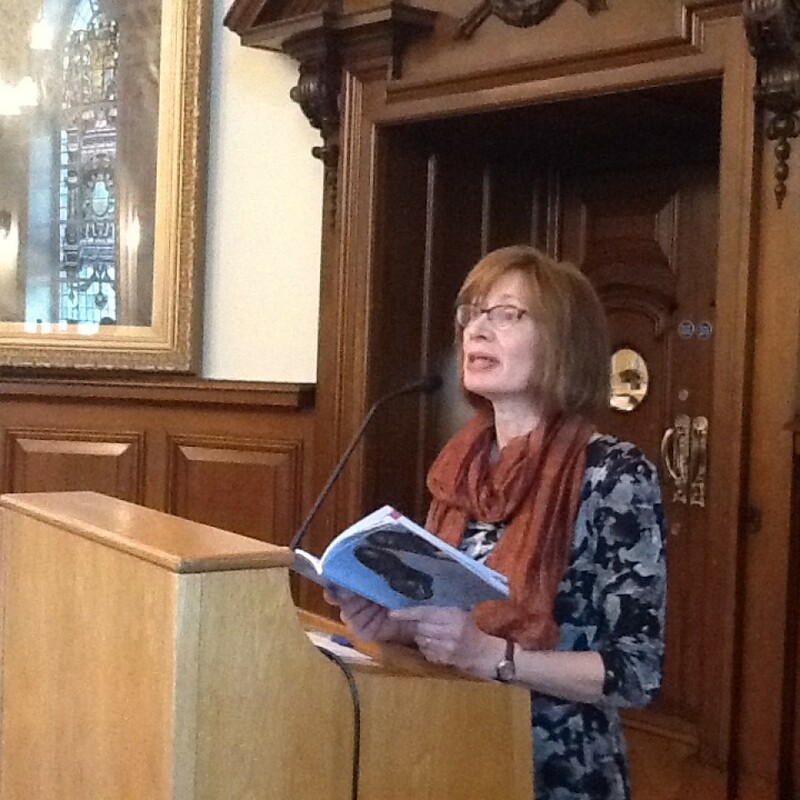 The collection was launched at a special event on the 26th of June in the Ulster Museum, with local celebrity Nuala McKeever, who introduced and read selected poems from the booklet. 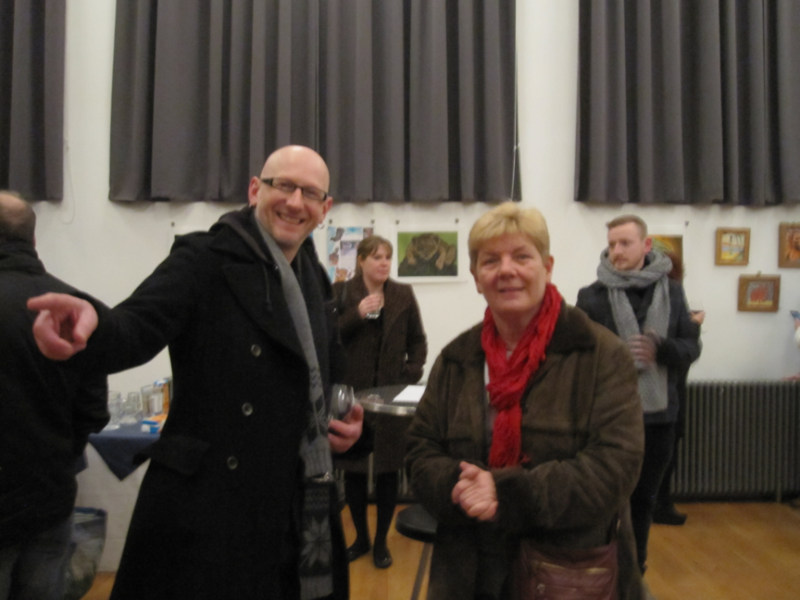 The Open Arts Visual Arts group’s Capture Colour exhibition opened at the Linen Hall Library last Thursday. 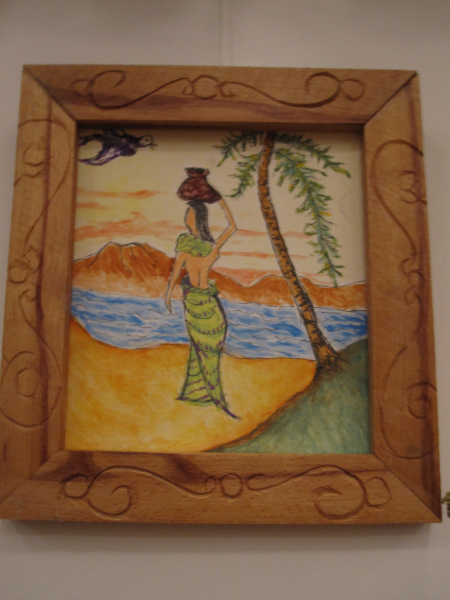 The artworks can be viewed in the library over the summer. 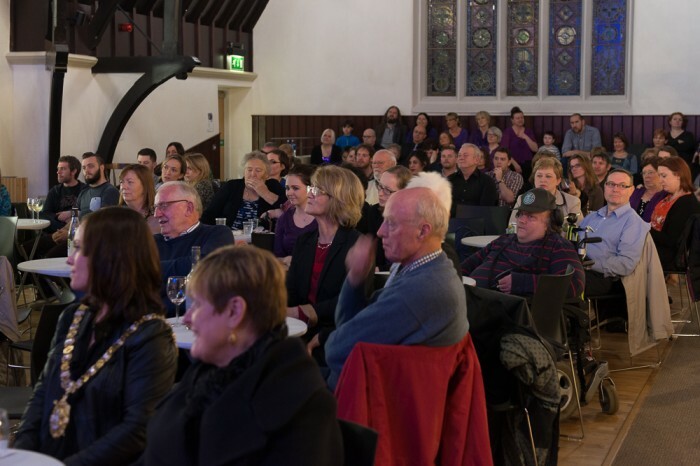 Our large-scale multi-disciplinary project, Several Stories High was a great success last Friday night, taking the very large audience on an emotional journey. 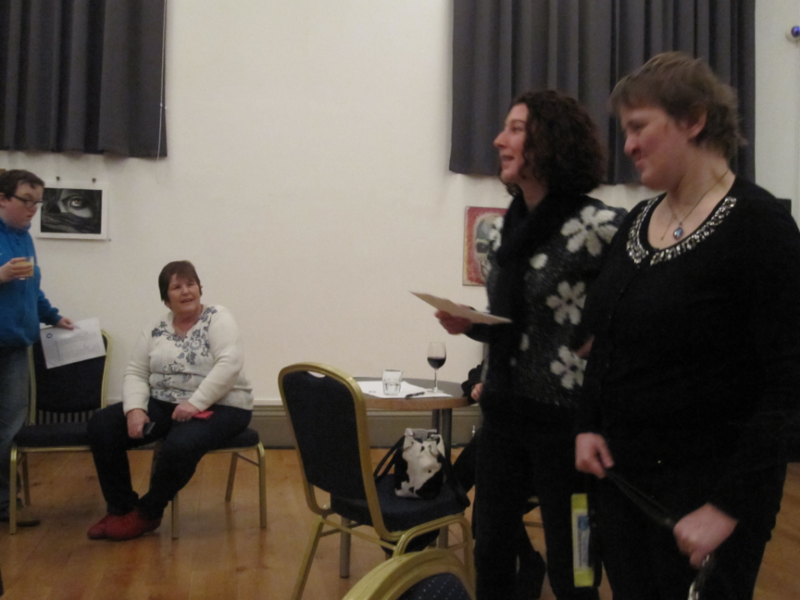 Our Open Arts drama group members retold funny, nostalgic and poignant stories about the streets of Belfast. All photos were taken by photographer Paul Marshall. 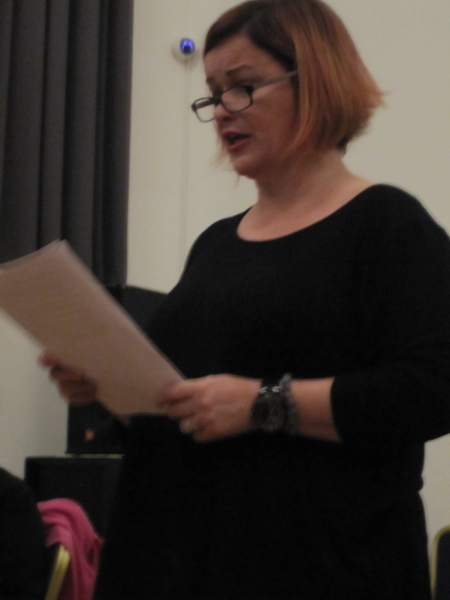 In the tradition of one of the most famous poems in the English language – John Keats’ Ode on a Grecian Urn – the participants of Open Arts Creative Writing groups have written Time Transformed, a collection of poems inspired by reflection on historical artefacts. 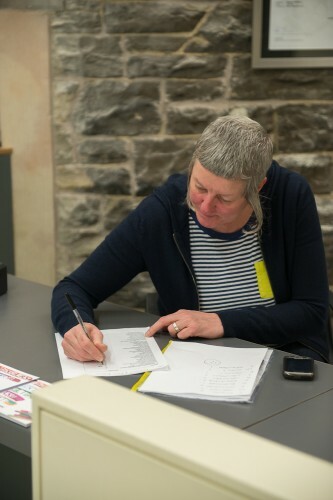 The participants in the Time Transformed project wrote the poems in a series of creative writing workshops with tutor Ruth Carr following visits to the Ulster Museum. 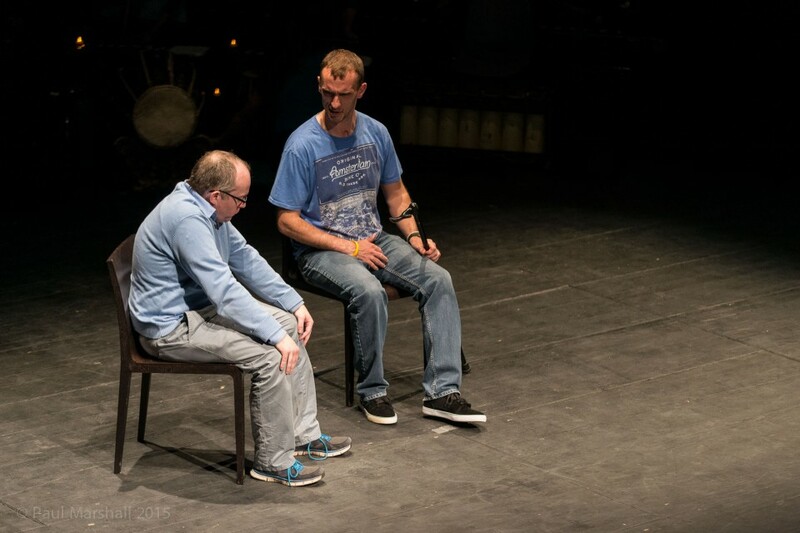 Open Arts led the Time Transformed project in a successful collaboration with the National Museums of Northern Ireland (NMNI) and Northern Ireland Association for Mental Health (NIAMH). During the museum visits the museum staff introduced the Open Arts group to a variety of exhibits, explaining their history, their importance and how the museum acquired them. For many of the participants, the project gave them their first ever opportunity to visit the museum. 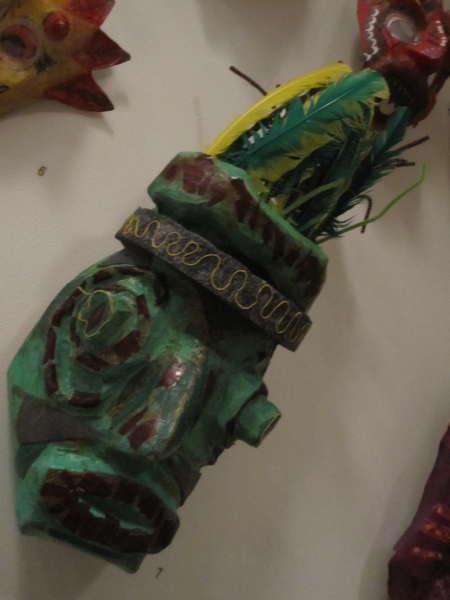 The works produced are a fascinating insight into the minds of participants and also into the historical artefacts they are based on. 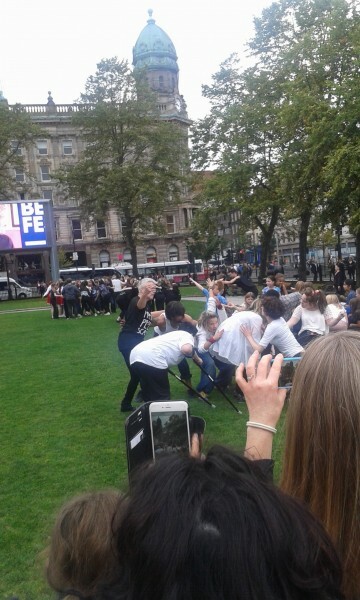 These memories could only come from Belfast. 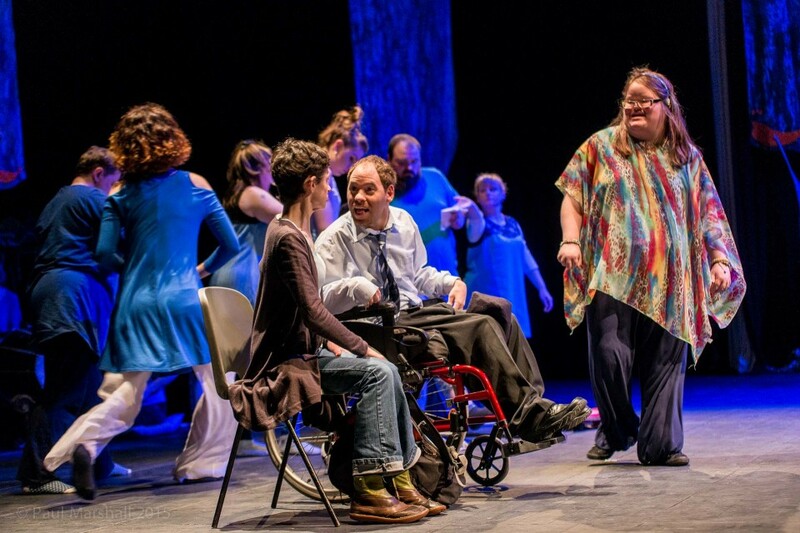 The city’s stories and the unique way in which they’re told are the inspiration for Open Arts’ world premiere performance ofSeveral Stories High. 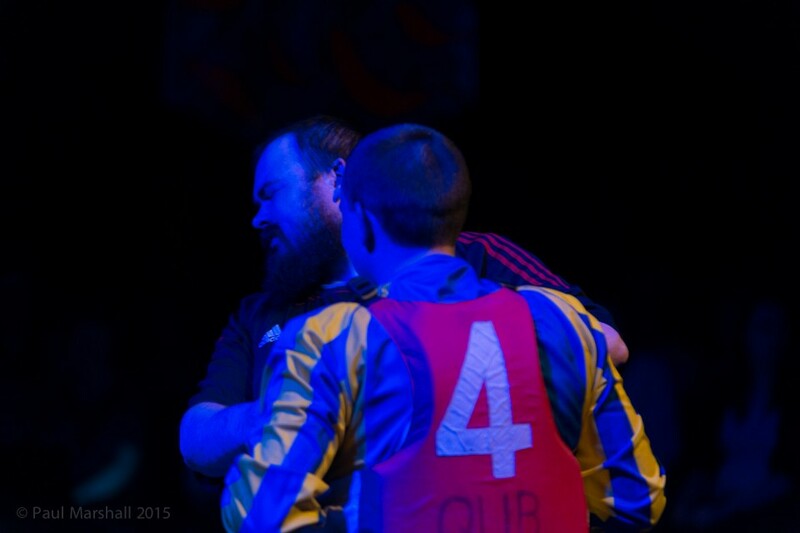 This major multi-disciplinary performance will be held in Stranmillis College Drama Theatre on Friday 21st of June. 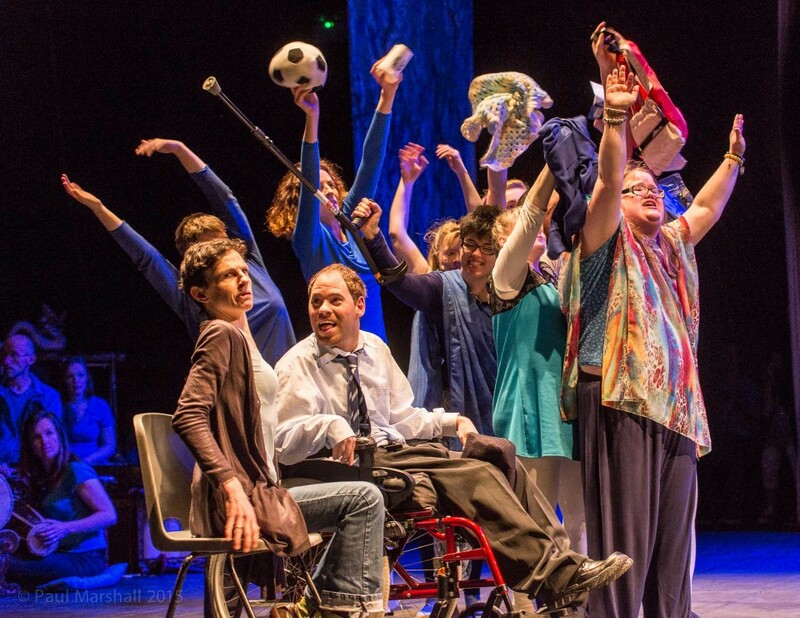 It will include disabled and non-disabled participants, in keeping with Open Arts’ ethos of promoting the inclusion of disabled people in the arts. 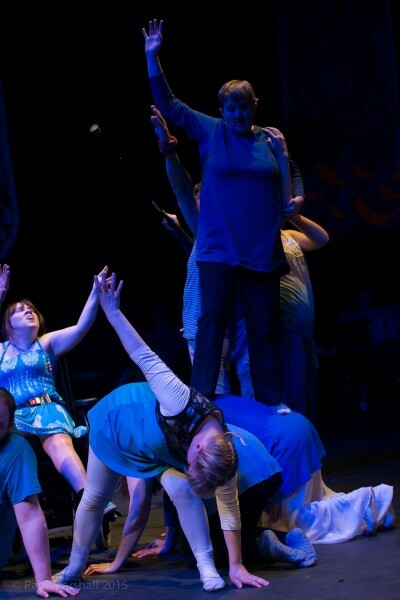 RIPE AND READY is a free drama, music and dance opportunity for 15 lucky people who are over 50. 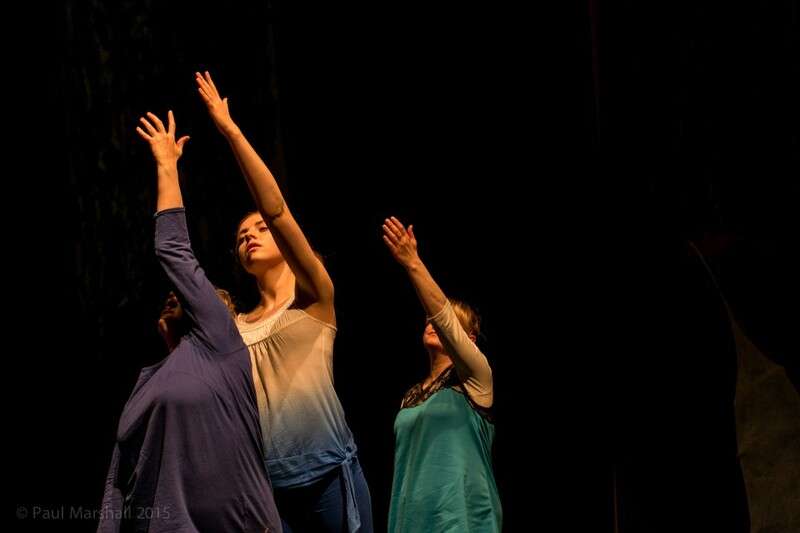 Intensive workshops over a two-week period in March will immerse you in the three art forms. The OACC has been selected to compete in the International Eisteddfod in Wales this July, and urgently need more Basses! Auditions will be held in January / February 2013 from 6.30pm-9.30pm in Divis Community Centre, Ardmoulin Place, Belfast. 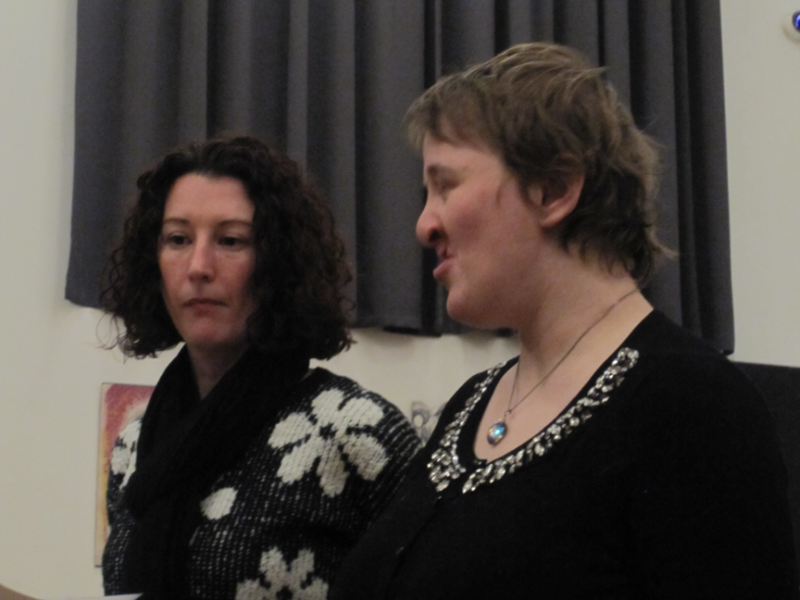 Auditions are very informal, in front of two of the choir’s Musical Directors. 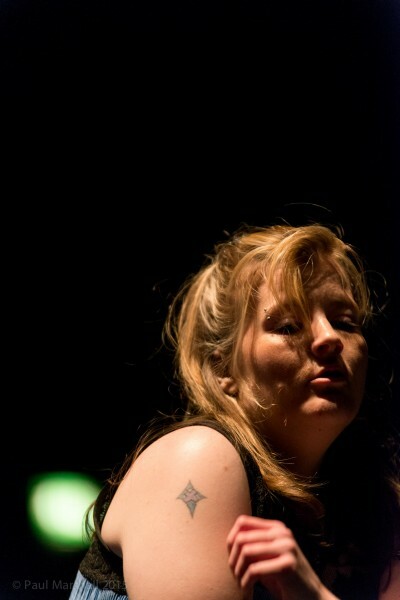 Singers should prepare a verse and chorus of a song of their own choice, after which they will be asked to sing some simple pitch-related exercises. * Please let Open Arts know if you have any particular needs prior to the audition, e.g lyrics in Braille or large print. 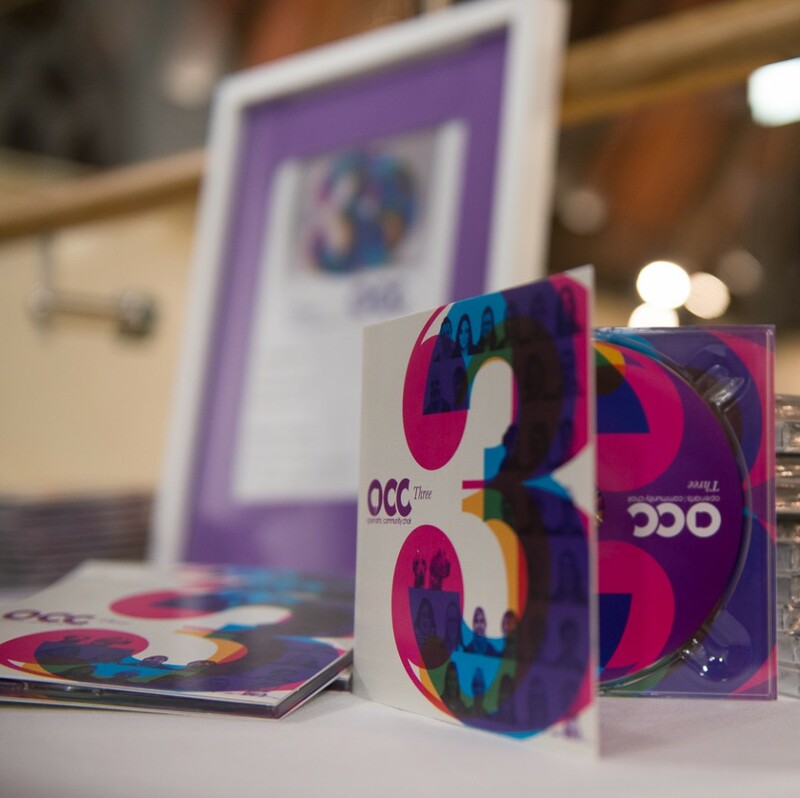 The OACC is an award winning, dynamic, inclusive choir based in Belfast. 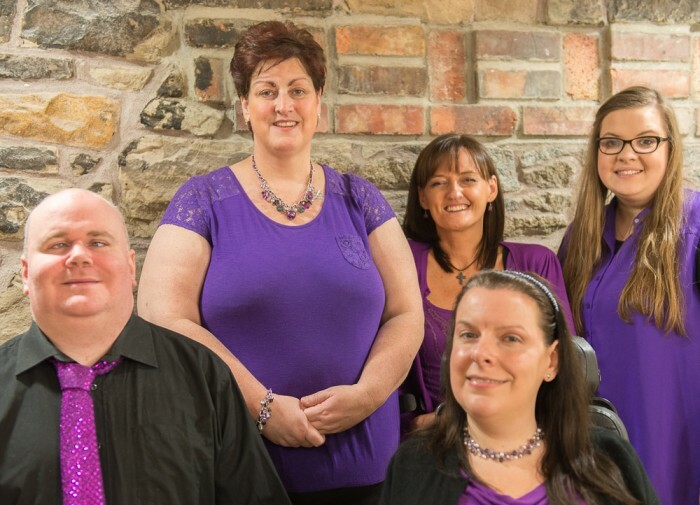 They demonstrate how people from different cultural backgrounds, with and without disabilities, come together through the medium of song to be positive ambassadors for Northern Ireland. 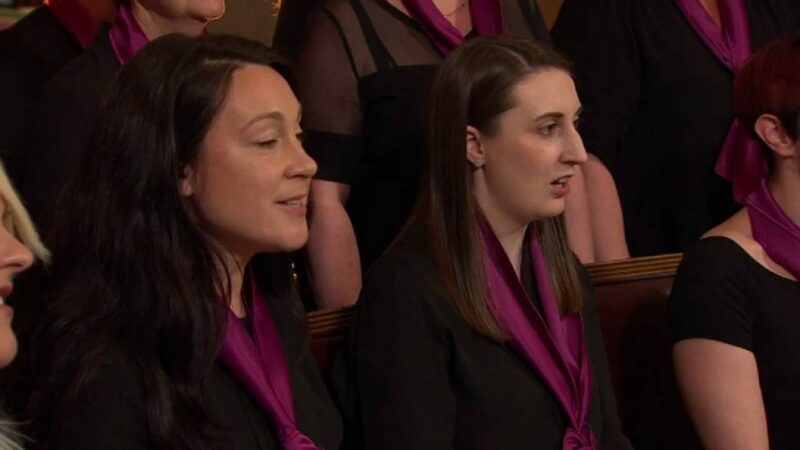 Having reached the final stages of the BBC’s “Last Choir Standing” in 2008 and RTÉ’s “An Cór” in 2010, they are dedicated to providing high quality, multi-genre performances throughout the UK and Ireland, and have just returned from the Milwaukee Irish Fest! Please email bevopenarts@aol.com to register your interest, or phone Beverley Whyte, Musical Director, on 07867 808485. 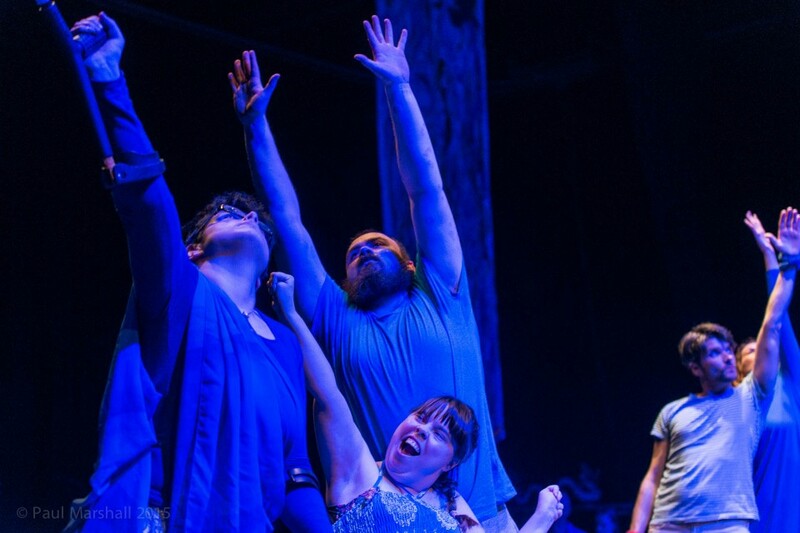 Open Arts, Northern Ireland’s participative arts organisation for disabled people, seeks a dynamic Chief Executive Officer with artistic background, to support Open Arts Board in enabling people with disabilities to take a full part in creative arts activities. 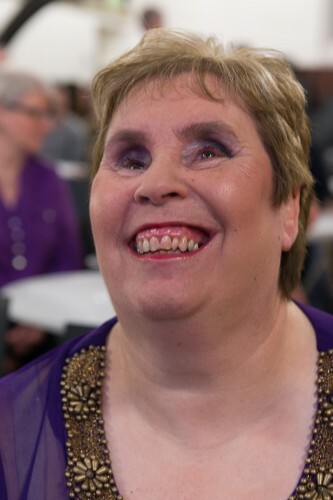 The successful candidate will have managerial experience, including fund-raising and budgeting, and a wide-ranging knowledge of the arts and of disability. 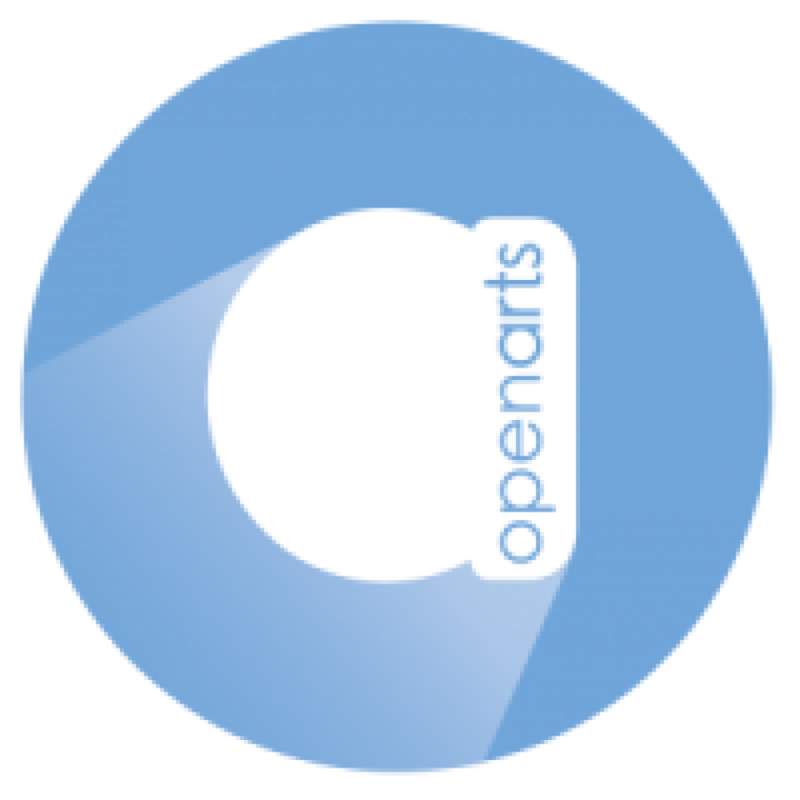 Further details and an application form are available electronically from openarts@aol.com or by post, Open Arts, Crescent Arts Centre, 2-4 University Rd. Belfast BT7 1NH and must be returned by 4p.m. on Friday 25th January. Interviews will take place on Tuesday 12th February. Applications are welcome from all sections of the community regardless of gender, disability, ethnicity, sexual orientation or religious affiliation. 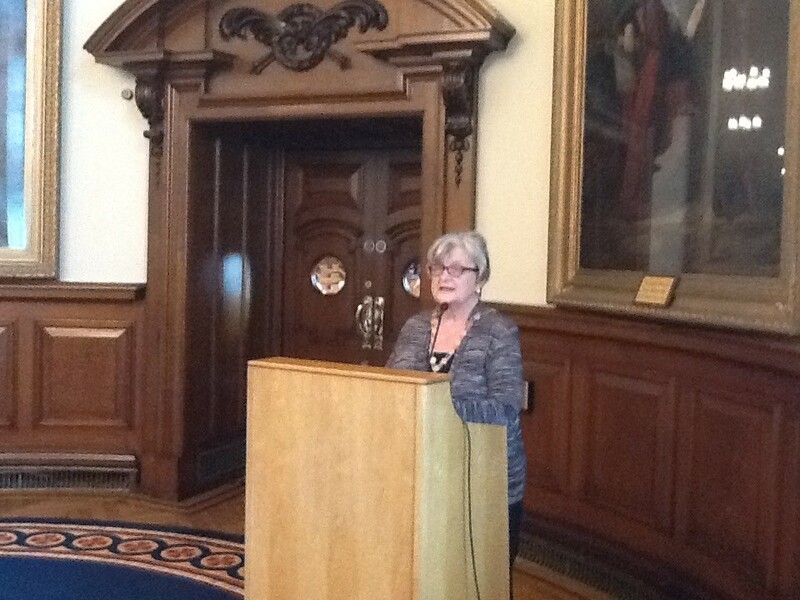 Open Arts is about to start a new project funded by Belfast City Council under the Creative Legacies Programme. This is a city-wide project which will involve people in reminiscing about the street they once lived in and the street they live in now. 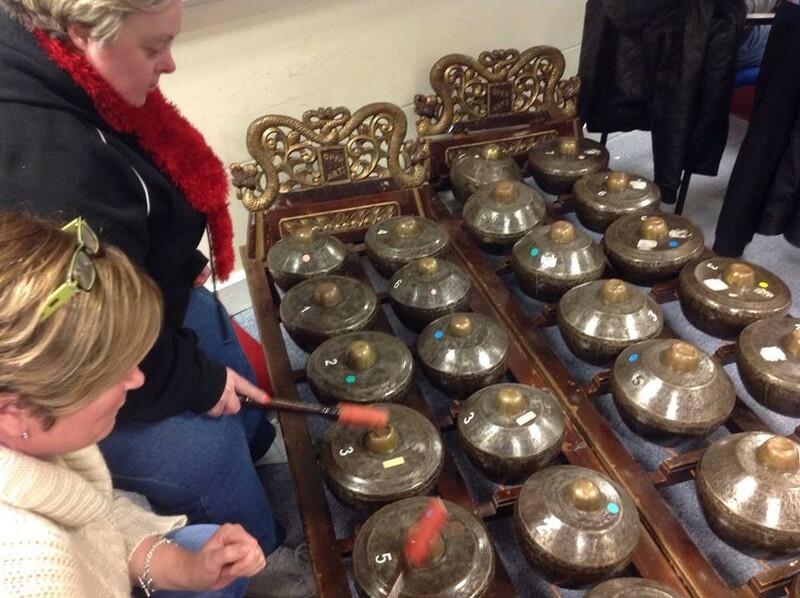 These memories will be used by a composer to create a piece of music specific to Belfast, incorporating Open Arts’ Community Choir and Open Arts’ very own gamelan. The recorded reminiscences will not be lost; they will be added to the appopritate streets on the sound map of Belfast which has been established by Sarc (Sonic Arts Research Centre.) 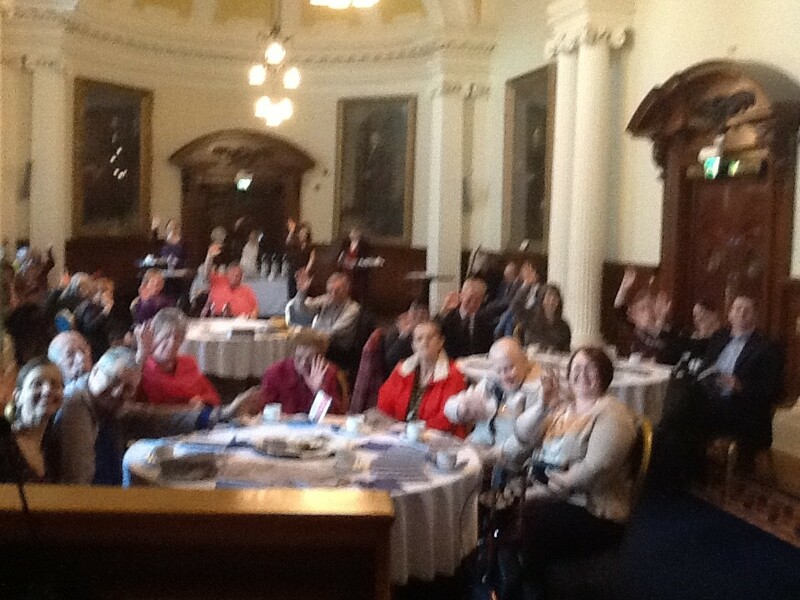 if you are a member of a group who would like to record your memories why not ring Una on 02890240765. This exciting creative writing project is funded by Belfast City Council’s Development and Outreach Porgramme. 2 groups, from Beacon, our partner organisation, are using the Ulster Museum as inspiration for their writing. Museum staff present the participants with artefacts and talk them through their history and provenance. Then the writers set to and produce written work on associated themes. Peter the Polar Bear is a favourite. 2 new groups will start writing next term and the project will end with a celebration, exhibition and printed booklet in June 2013. 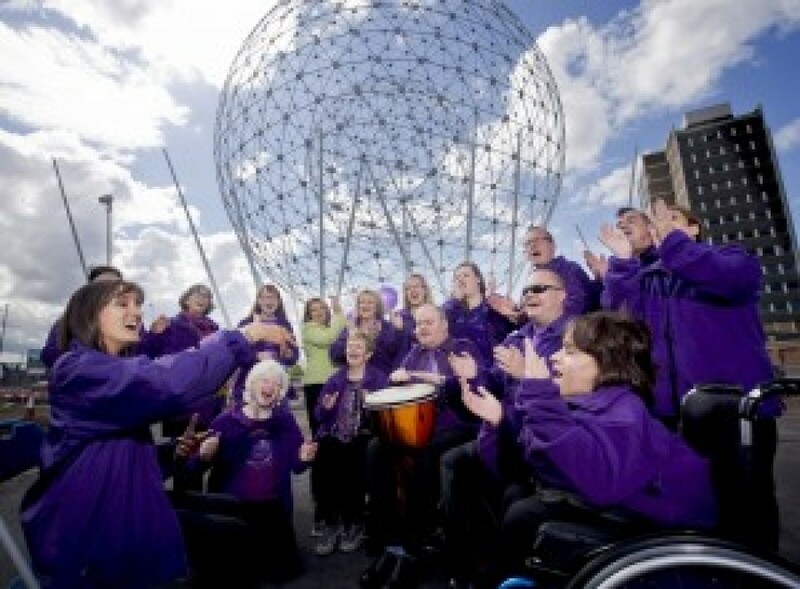 On 3 December 2011, the Ulster Museum and Open Arts will celebrate the International Day of Persons with Disabilities through a showcase of new artwork, creative writing, and performance! 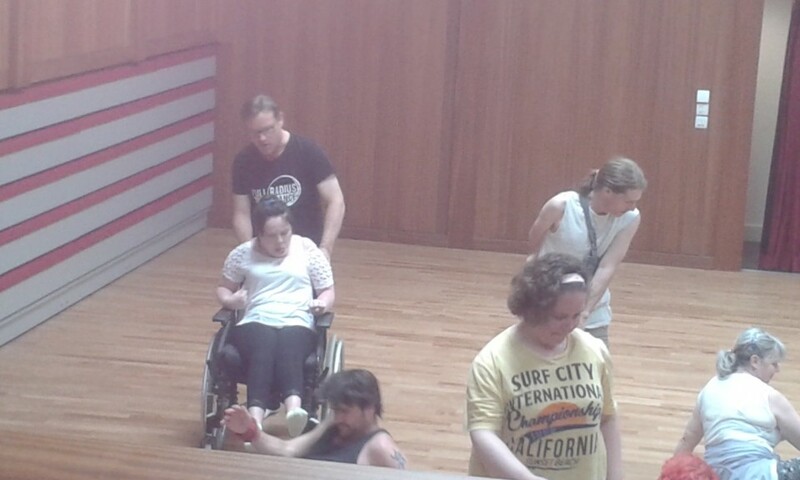 Over the past few months, different groups of people with disabilities have been busy creating new work to share with Belfast. 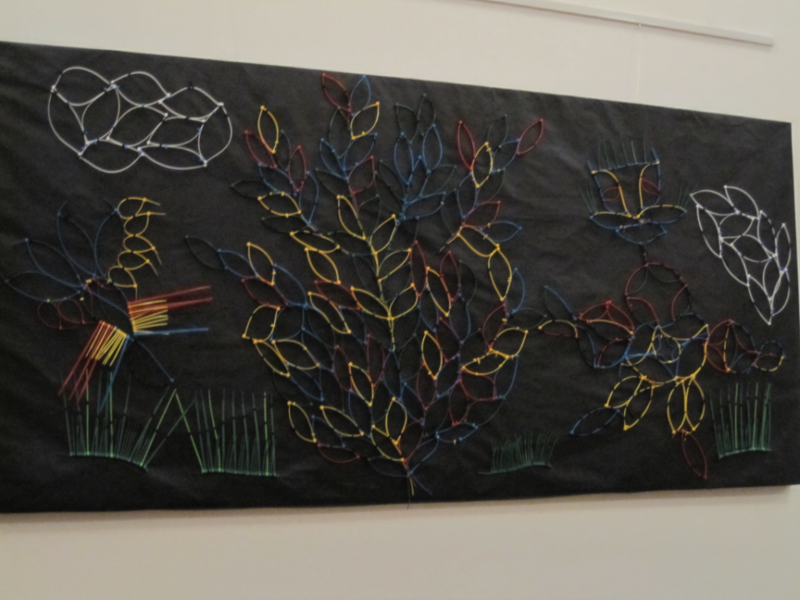 The Threads Project inspired each member of 2 visual arts groups to explore and reflect in order to identify events and experiences which had a lasting effect, changed their direction or shaped their daily lives. 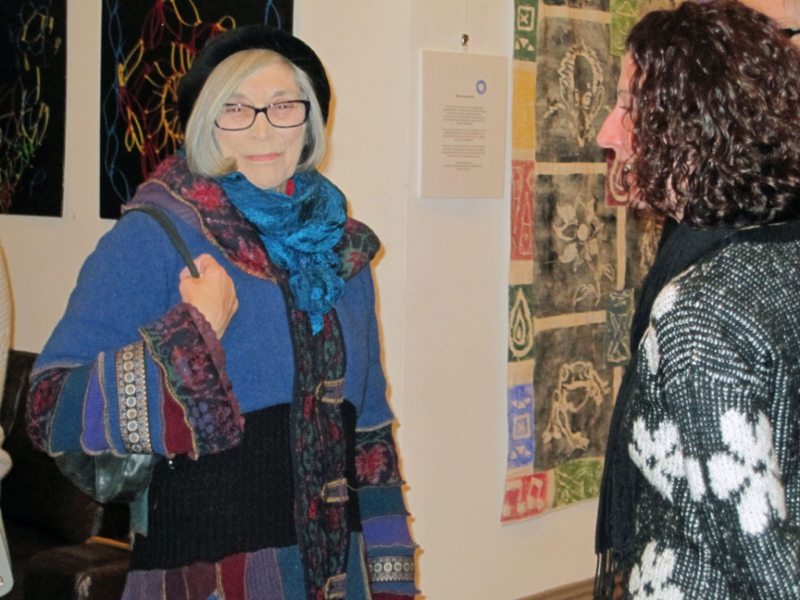 The Creative Writing Group similarly searched out threads, which are woven into the fabric of their life stories. 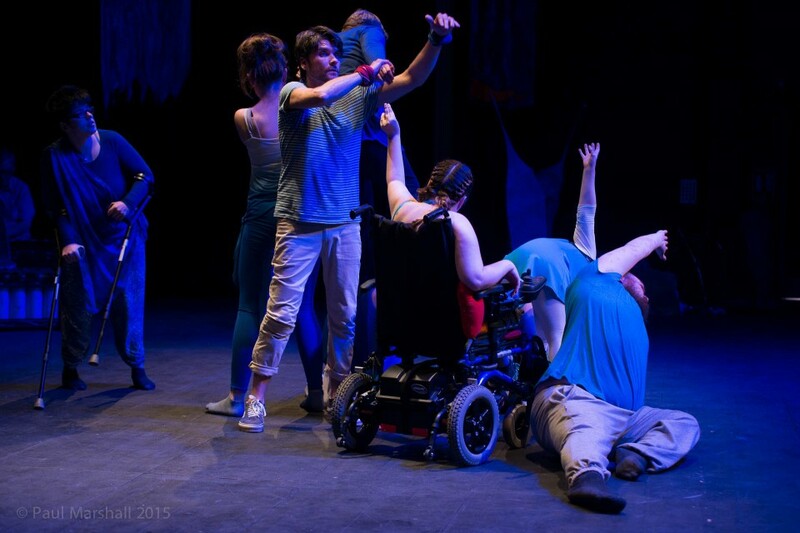 The devised performance, This-Abled, will take you on a journey as it challenges stereotypes and asks the audience to consider again how “together we can make a better world for all,” the international theme for 2011. 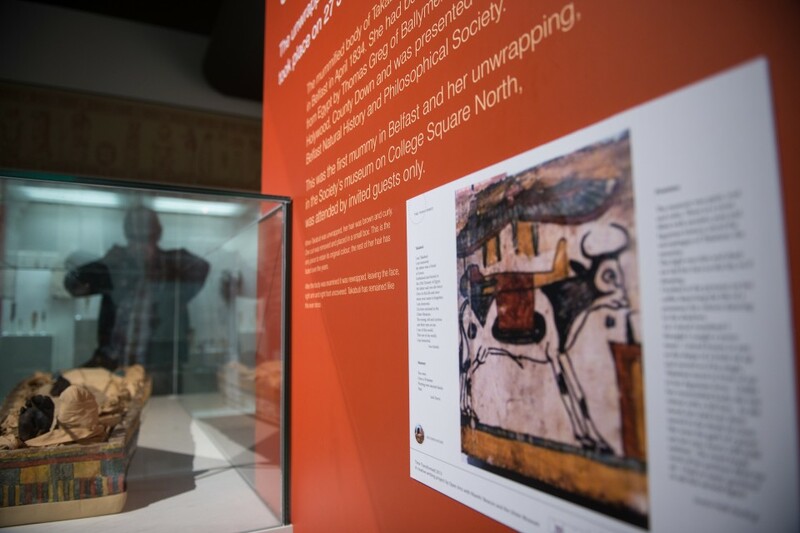 The writing and visual work will be on display in the museum as well. This-Abled is wheelchair accessible and suitable for the whole family. Show times are 2:15, 3:15, and 4:15. 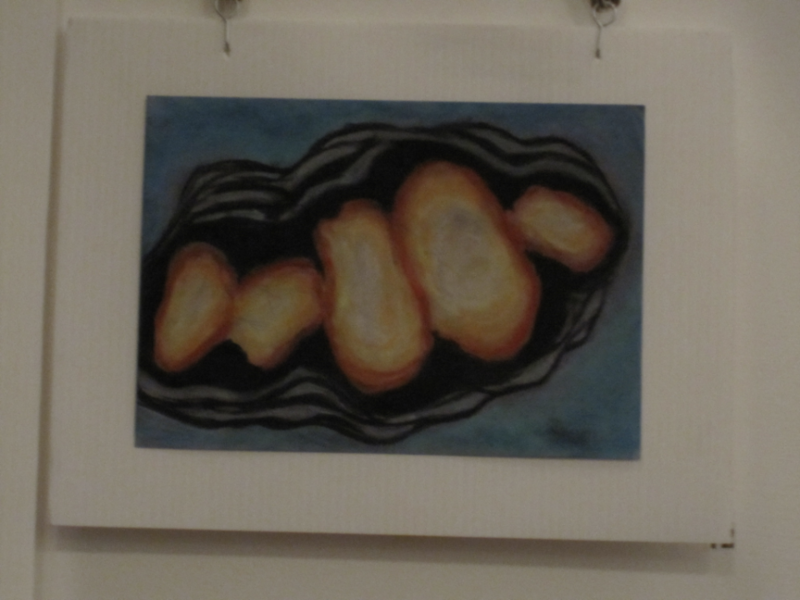 Art and written work is on display for the whole of the following week. THE OPEN ARTS SUMMER SCHEME TOOK PLACE AT THE ULSTER FOLK AND TRANSPORT MUSEUM, AS REQUESTED BY THE YOUNG PEOPLE. WE WORKED IN A LOVELY COURTYARD WHICH HAD 3 SEPARATE ROOMS AND THIS WAS OUR BASE FROM TUESDAY TO FRIDAY. FROM THERE WE MADE EXCURSIONS TO THE DRAPER’S AND WEAVER’S, THE DOCTOR’S SURGERY AND THE SCHOOL, WHERE DRAMA, MUSIC AND ART WERE CREATED, INSPIRED BY THE ATMOSPHERIC SURROUNDINGS. 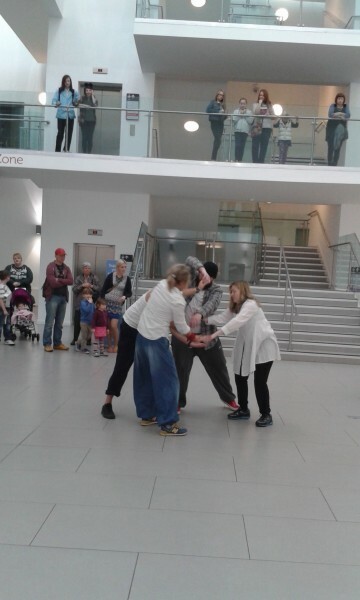 ON FRIDAY THE COURTYARD BECAME THE SITE OF OUR EXHIBITION AND MUSIC PERFORMANCE, AND FROM THERE THE AUDIENCE WAS ENCOURAGED TO JOIN THE ACTORS AT THE DIFFERENT PERFORMANCE SITES FOR THREE DEVISED PIECES OF DRAMA. A GREAT TIME WAS HAD BY ALL AND EVERYONE AGREED THEY WANTED TO COME BACK NEXT YEAR. THE ONLY CHANGE THEY WISH TO MAKE IS TO ENSURE THE SCHEME LASTS LONGER. 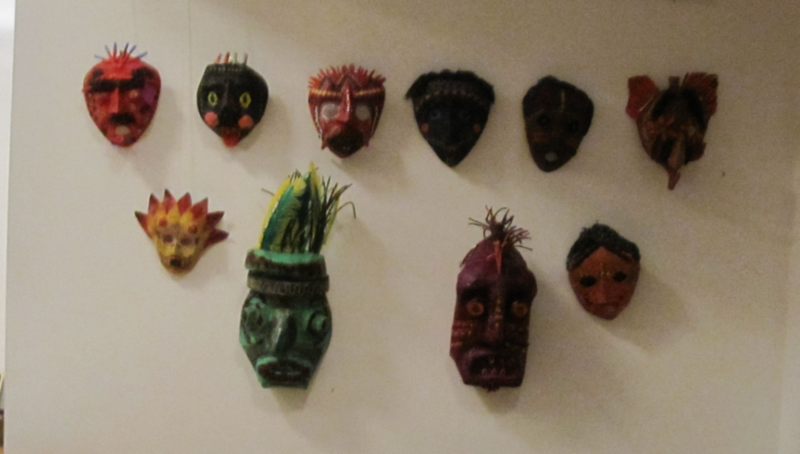 Open Arts Crescent-based classes resume in the week beginning 12th September. Please note, this is a week later than the Crescent classes start, to suit some of our participants. If you attend the Friday art class, this is the only class to begin earlier. It starts on Friday 9th September. 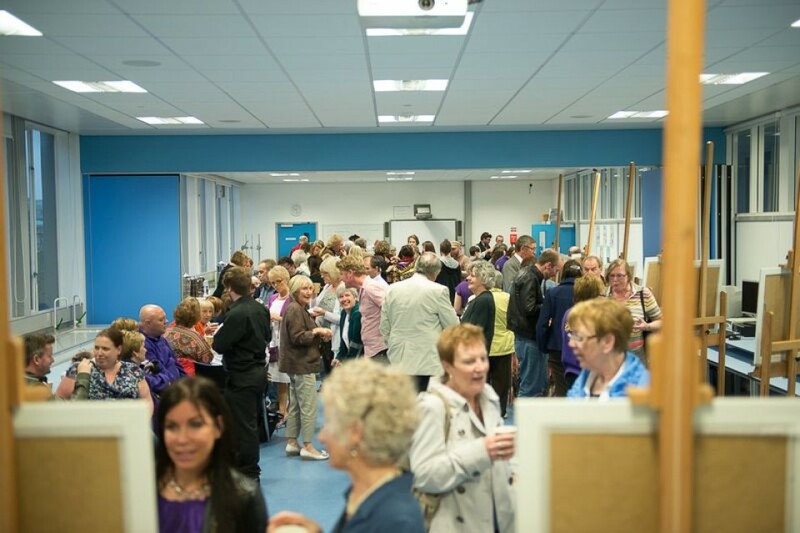 We are looking forward to seeing all our regulars again and meeting new participants. 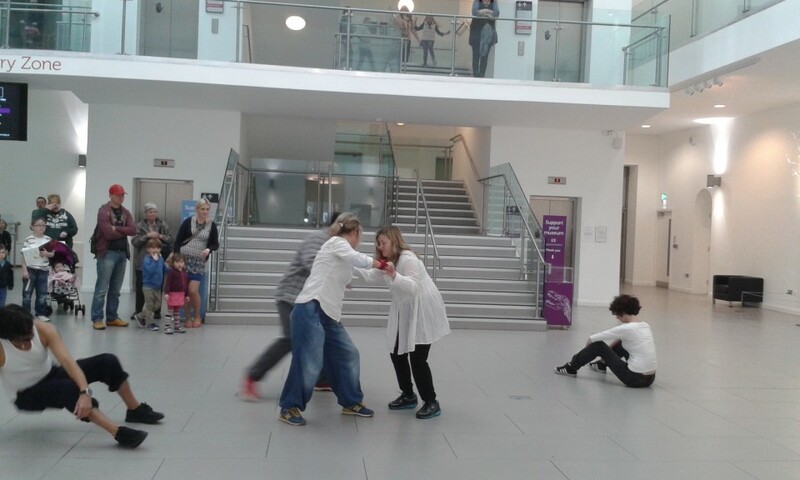 Saturday 1st Oct from 1 – 6 pm with Caroline Bowditch and Naomi Murray from Scottish Dance Theatre. This is the last opportunity to audition to get involved in this wonderful project. If you are interested in attending please go to Luminous Soul page for a Registration Form or phone Una McCann on 02890240765. Residential 3 will be taking place in the MarketPlace Theatre Armagh from Sunday the 13th to Friday 18th November. 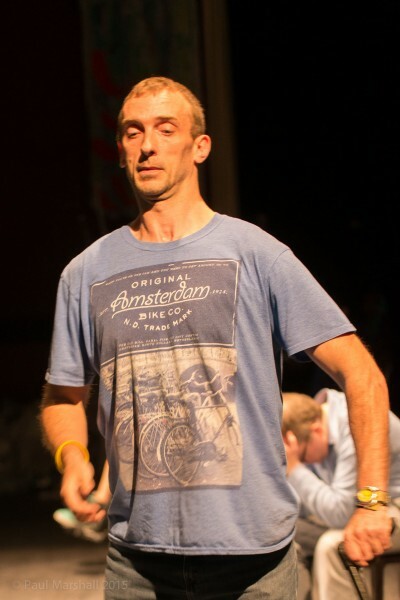 We are very excited to have Mark Brew to facilitate this week for us alongside 2 other very experienced dancers and choreographers- Nadia Adame and Lorraine Jamieson. 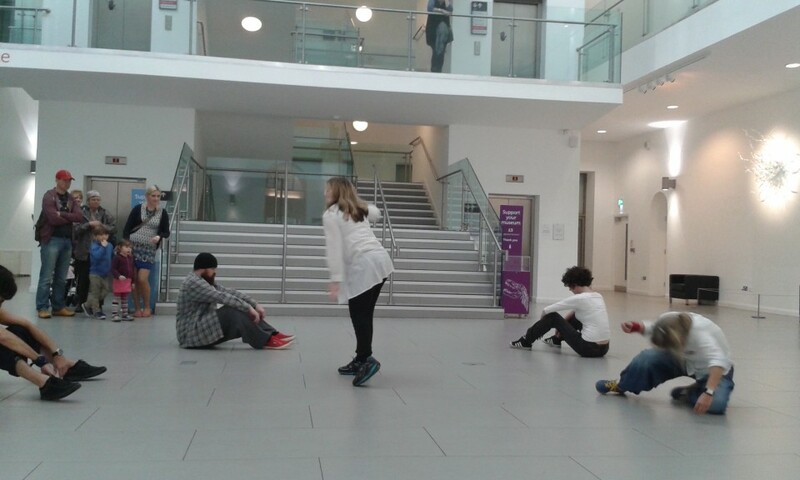 We will have a performance of work on Friday the 18th at 3pm in the Market Place. All are welcome and it is free of charge. 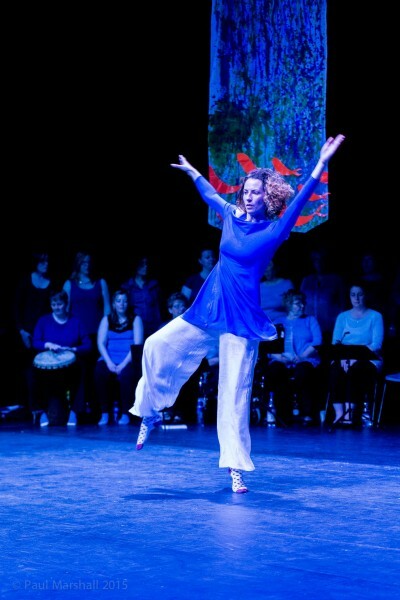 Belfast Continuation Classes will run from 23rd Sept 2011 until 28th Oct 2011, facilitated by Jennifer Jordan. Northwest Continuation Classes dates are to be confirmed. 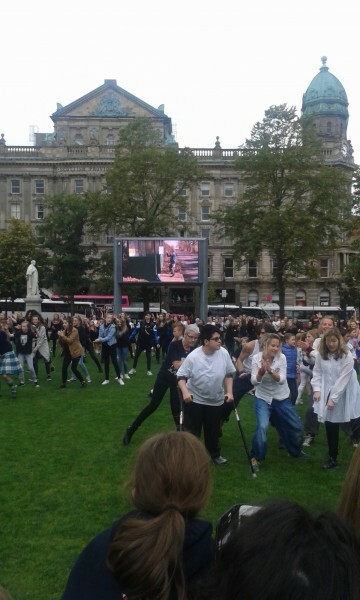 Congratulations to our Belfast Luminous Souls who gave a wonderful performance at the Belfast City Hall for the LTUK Open Weekend on the 23 July 2011. 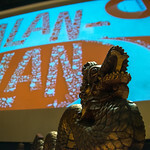 Our DVD of the performance following Candoco’s residential was also shown on the big screen for all of Belfast to see. This movie will be available for you to see soon. 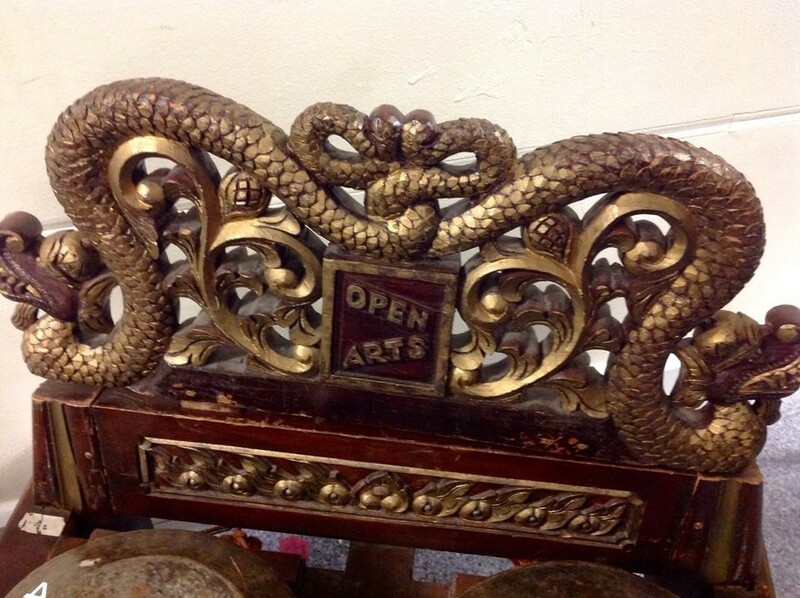 New from the Open Arts’ young people’s team, workshops in music-making with the gamelan and in drama skills. 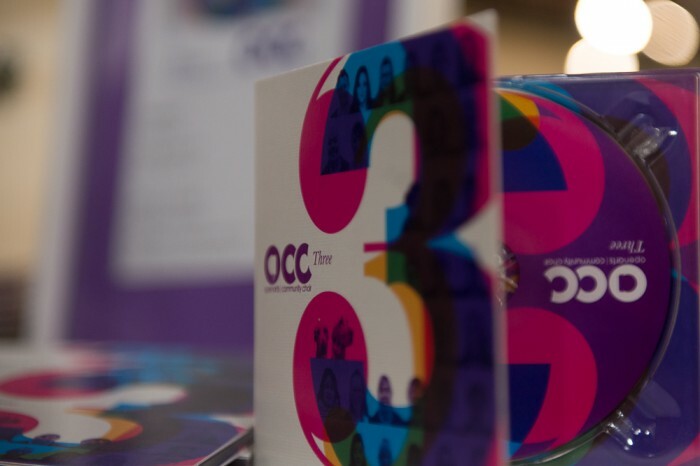 Both are designed to help you prepare for the great Open Arts Summer Scheme coming to you for a week on August 1st.Workshops take place every Tuesday from 24th May to 28th June. For further details contact Kate or Bev. Open Arts integrated group of young people with and without disabilities and from all backgrounds went to the Opera House on Friday 29th April, when others were watching a certain wedding. We were ‘Going on a Bear Hunt’. We arrived in good time and filed in to the best seats in the house. The actors turned up, entering through the auditorium and we were transported, with father, baby, brother, sister and dog, to a land of grass, water, mud, caves and finally bears. The music carried us away as successfully as the simple props and we all had the chance to participate, though the artists probably weren’t as keen on the water sport as the young people were. After the show we were off on a hunt of our own to the Shakespeare Rooms where we were surprised by a visit from the cast. The baby, a large puppet with an almost bald wooden head, was a great success and everyone who wanted had the chance to make him walk, turn his head or wave. 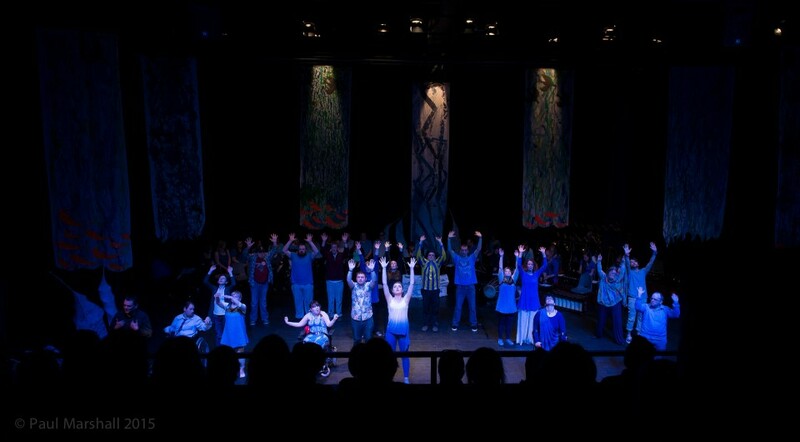 When the cast had gone we started on a workshop and we soon perfected the singing of the Bear Hunt song, among other tunes. 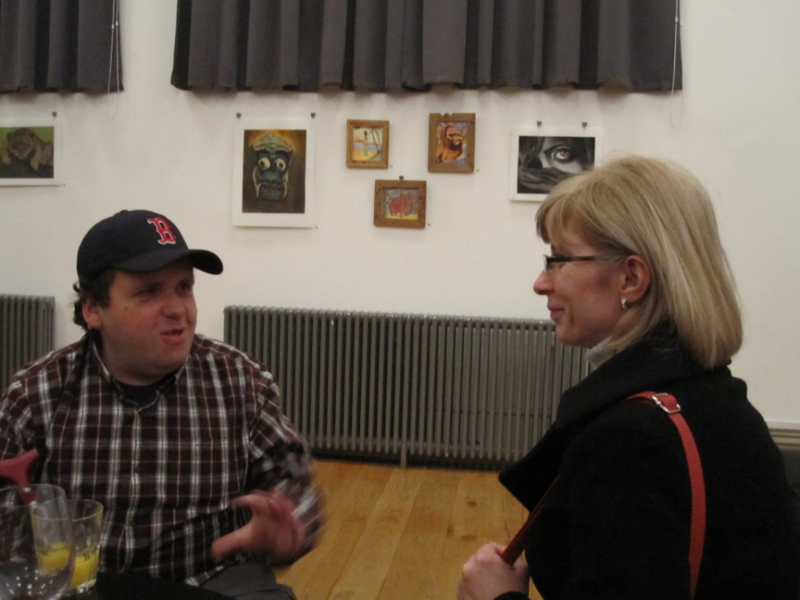 We also had a discussion about plans for a piece of musical theatre of our own. It has to be scary. We’ve set the date for the Summer Scheme so keep the week of Monday August 1st to Friday August 5th free. All open Arts workshops have resumed. 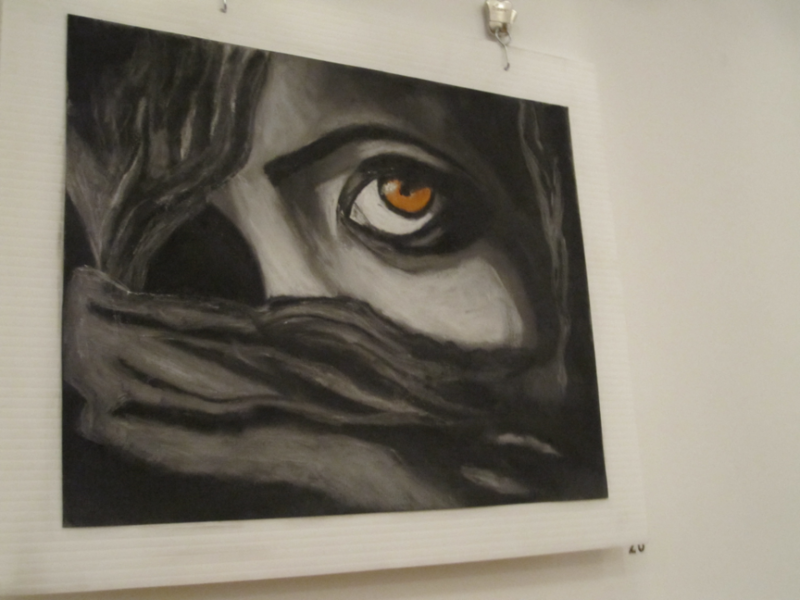 If you want to join VIP Art then Friday 13th 10.30 -12.30 at the Crescent Arts Centre is your last chance this term. Work will be starting on a clay project. 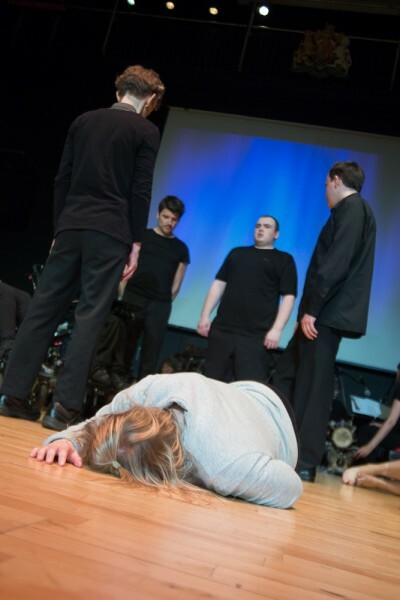 If you want to join drama then you need to attend on Friday 13th, 11 -12 a.m. or Monday 16th 11-12 a.m or 2- 4 p.m. All these workshops take place at the Crescent Arts Centre. 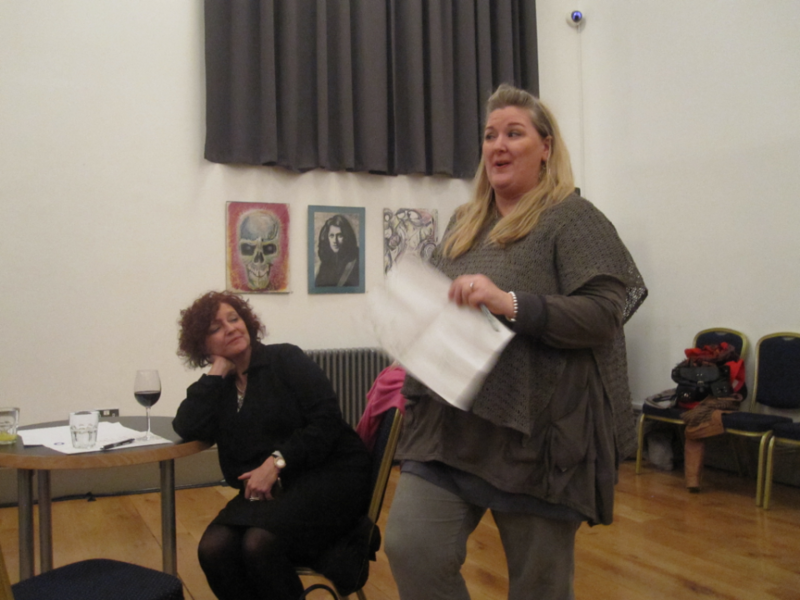 The creative writing deadline is Tuesday 17th May 11- 12 Crescent Arts Centre. Otherwise join us in September. 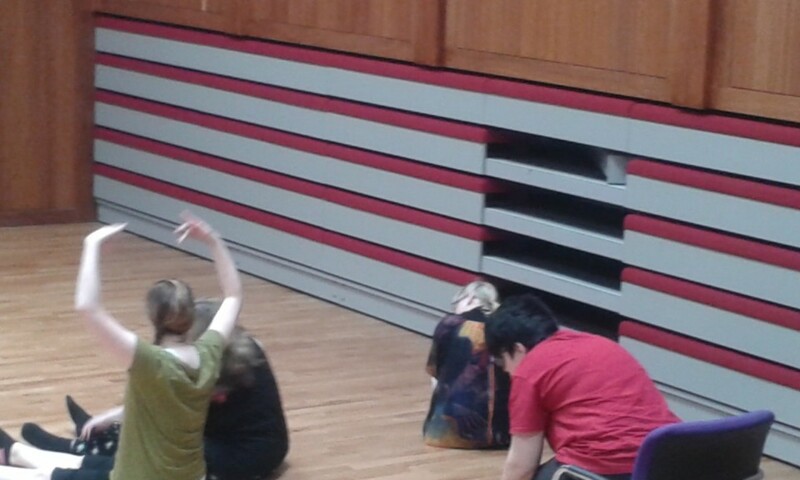 At 10.00 am (or a little before) 20 excited children and their adults turned up at the music department of Stranmillis College to enjoy a day of arts activitiy. 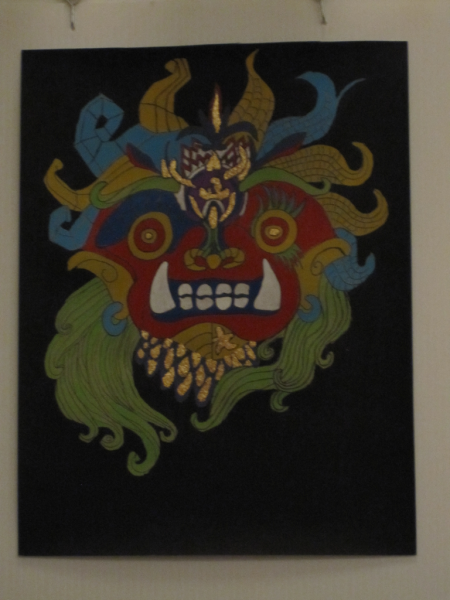 The gamelan had pride of place in its own room and the recital room was ready for drama. First everyone had to offer suggestions on what to do in the Summer. There were pictures which people signed up to: walking in the hills and museums (particularly the DS museum which we’ll have to build first) were very popular, though the circus also received a large number of votes and Disney-Land and the USA featured in many suggestions. Then it was down to work to create physical and musical stories. The younger group (blueberries) started with a word story and suddenly there were five red clowns building a skyscraper in the desert because the tents they had been living in had no toilets and also were full of clippy bugs. The older ones created Rankar, a frightening monster, half elephant and half dinosaur; some humming birds, an evil peacock, a giant mouse, who was good, a storm, a waterfall and some quiet water. Their story began musically with the different instruments of the gamelan providing the inspiration. The blueberries’ story developed musically as a lion appeared to help the clowns, because clippy bugs can fly and the skyscraper couldn’t keep them out. Then the lion got very thirsty from eating the clippy bugs because they are very salty, so a dolphin and a water snake and a camel appeared from the oasis to give him water. The clowns were so grateful to the animals that they build them a restaurant ‘The Animal’s Rest’ at the base of the skyscraper and they all lived happily ever after. The raspberries story was dramatised as it emerged that poor Rankar had no heart, because all his race was destroyed by the an evil mouse, which is why he hated the good giant mouse. The humming birds led Rankar to the healing waterfall, and his heart was restored, then they pretended to be a peacock and induced the evil peacock to visit the waterfall where he was reformed. The storm broke and the good mouse, wafted it over the quiet water with his stinking cheese breath until all was calm. And they all lived happily ever after. Both stories were interpreted musically and dramatically. 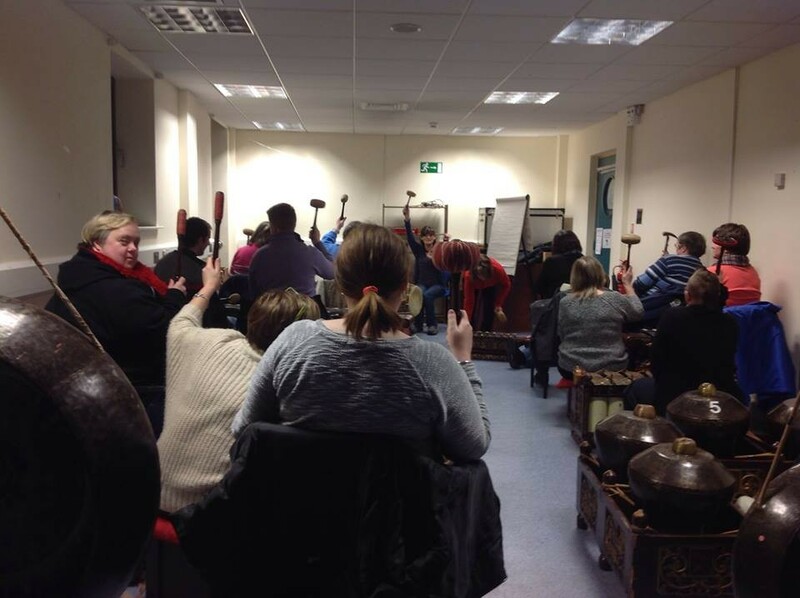 Each group acted out their story for the other group and then in the gamelan room they performed it musically for one another and a few parents who had arrived early. Before we knew it the day was over and everyone went home well satisfied. Now we just have to plan the summer scheme and here’s a hint. We’re unlikely to be going to the USA! 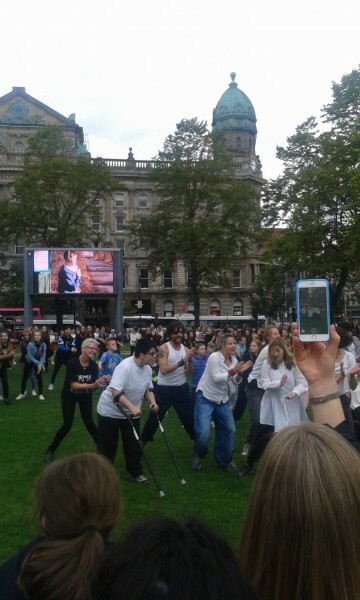 Belfast Dance Day with Croi Glan- a great success! 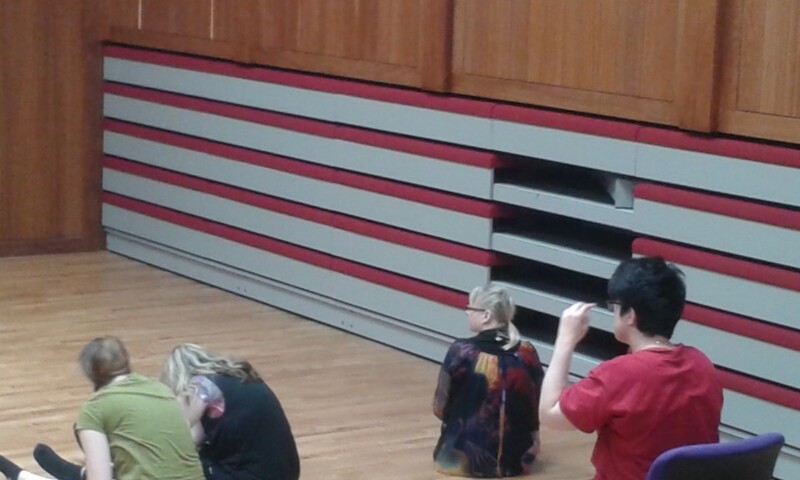 A big thank you to Croi Glan for an excellent Dance Development Day on Wed 16th Feb. We had a great day’s dancing in the Crescent Arts Centre and have selected 4 new bodies to join our team of trainees. Congratulations to the new folk! Photos to follow! 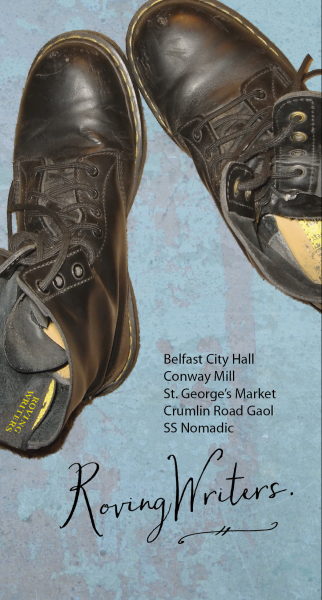 Next up – a showing of work by the Belfast Luminous Souls on 4th March at 4pm in Studio at the Crescent. 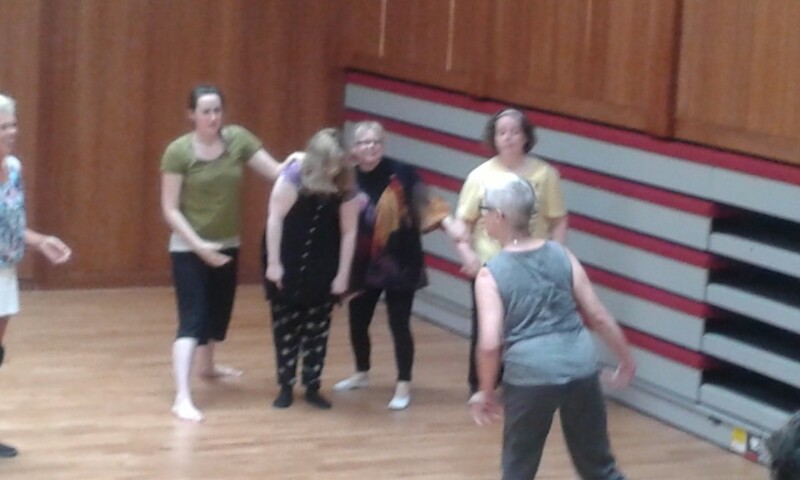 Saturday 1st Oct with Caroline Bowditch and Naomi Murray from Scottish Dance Theatre. 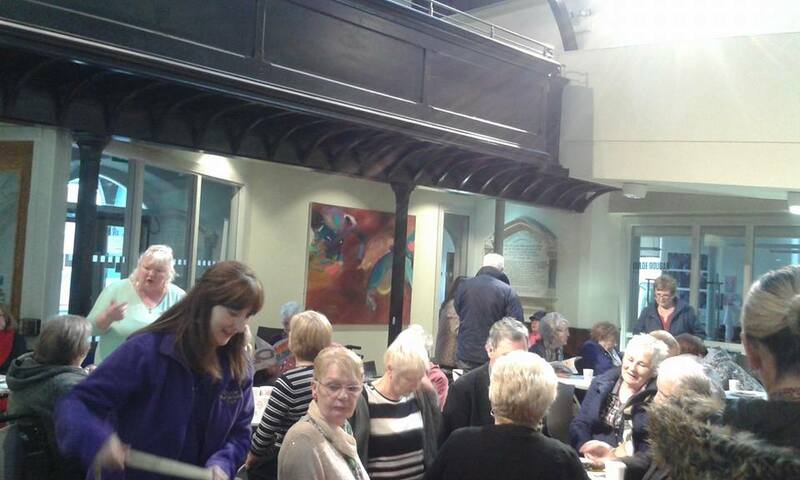 The Open Arts Community Choir (OACC) was on the move again, when it travelled to Liverpool on Saturday 20th November. After a very early start the choir arrived at the hotel, just in time for breakfast, and then it was time to rehearse for the afternoon gig. 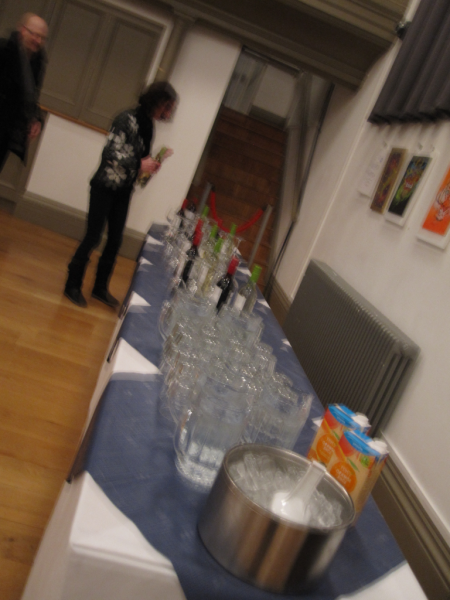 This took place in the Bluecoat Arts Centre, in front of the bed made famous by John Lennon and Yoko Ono. 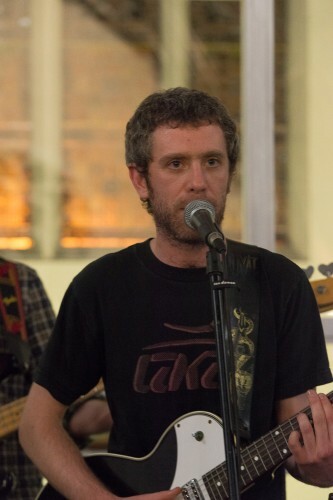 The gig was a great success; the choice of songs was much appreciated by an audience of all ages and we nearly recruited 2 new members – only the Irish sea proved to be a bit of an obstacle! From here we were driven to the Palm House, an unbelievably beautiful Victorian glass house in Sefton Park, which makes a superb venue. The accoustics are brilliant. We had our sound check and then a lovely supper. The hot tea and coffee were much appreciated, as the heating seemed to have broken down and we all felt sorry for the tropical vegetation while we shivered in its shade. Things soon warmed up however, when the various different choirs started singing and finally it was the turn of OACC. We gave an hour-long performance which showed off our entertainment value to the full, with our varied repertoire to suit all tastes. We even sang an encore for added value. The audience was ecstatic. Next morning it was back to rehearsing (this time Christmas songs and carols) before we caught the plane back to Belfast. We had a very busy trip, but we enjoyed every minute of it. Thank you DADA, for inviting us. We hope to see you all again in 2 years time. 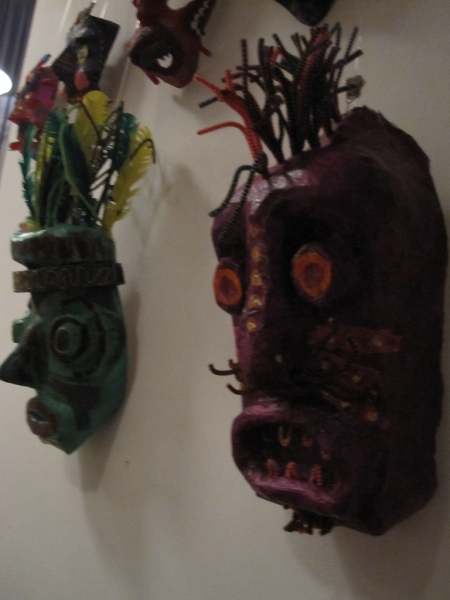 Open Arts is on the look out for new board members. 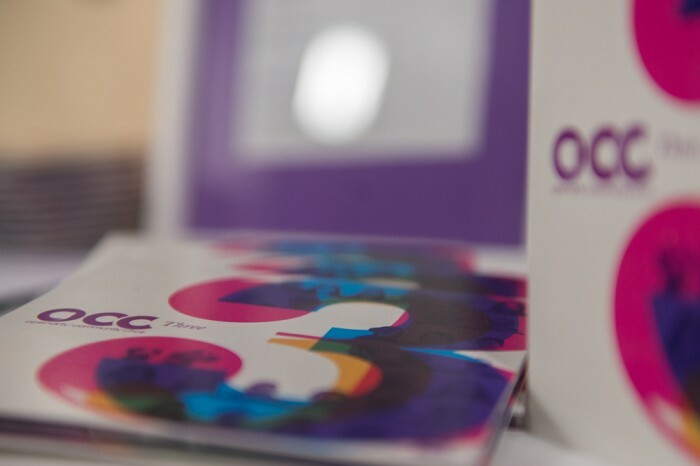 If you consider yourself to have a disability; if you’re passionate about the arts and have a few other skills – we are particularly interested in people with PR, marketing, fund-raising or HR experience – please contact Kate who will forward an induction pack to you. Sunday 5th December, a date to remember! 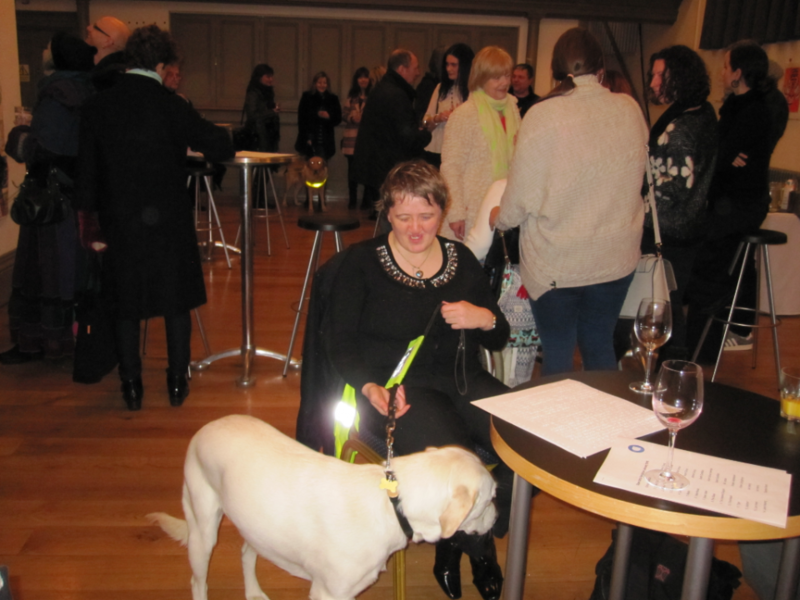 It was Mencap’s Christmas Party and a variety of talented people converged on the Culloden Hotel, Cultra, to share their love of performance with friends and family. 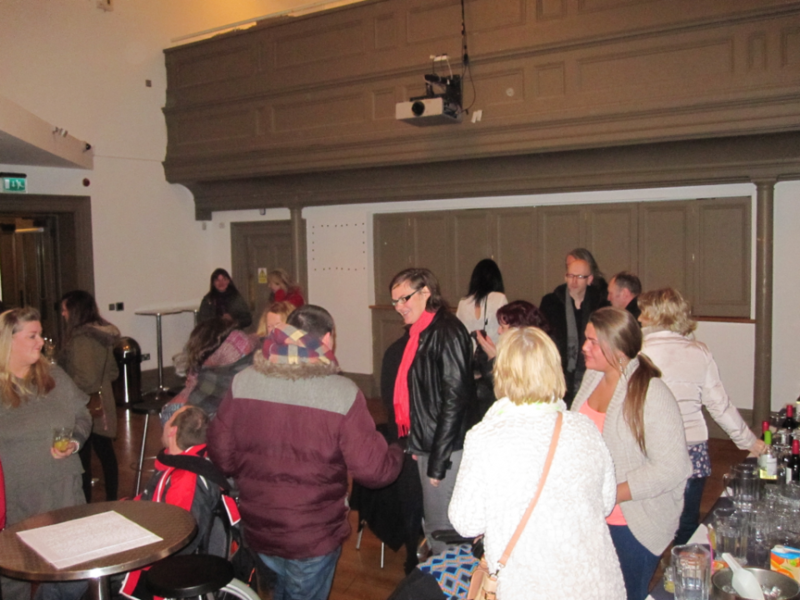 It was a great show and Mount Oriel Day Centre’s participants, who attend Open Arts Friday Dramarama sessions, were there to start the whole thing off with the Oriel 12 Days of Christmas. Suffice to say it involved six stinking socks, five gravy rings and a mince pie and sherry! 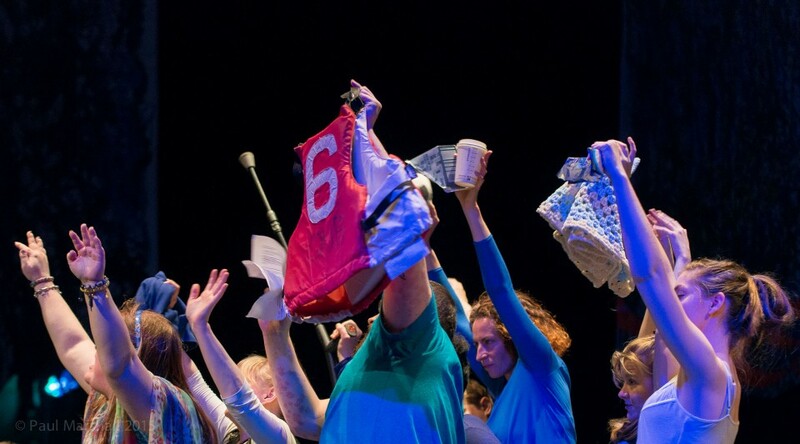 The stinking socks were especially popular with the audience and the group left the stage to ringing applause. 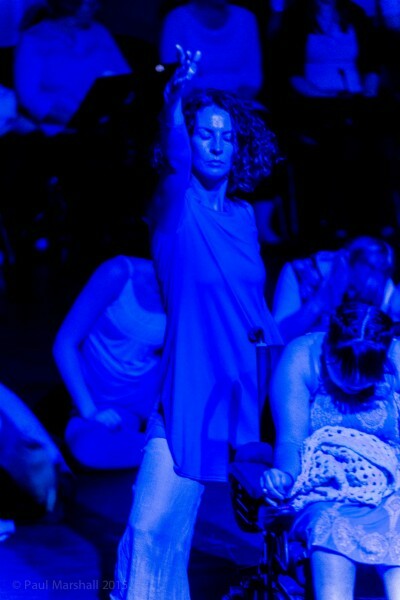 The 17th to 22nd October were very special dates for the Luminous Soul Dancers. They took part in their first residential and it was non-stop dance all week. The group met on Sunday and stayed 5 nights in Days Hotel, ready to start at 10 a.m. on Monday18th. 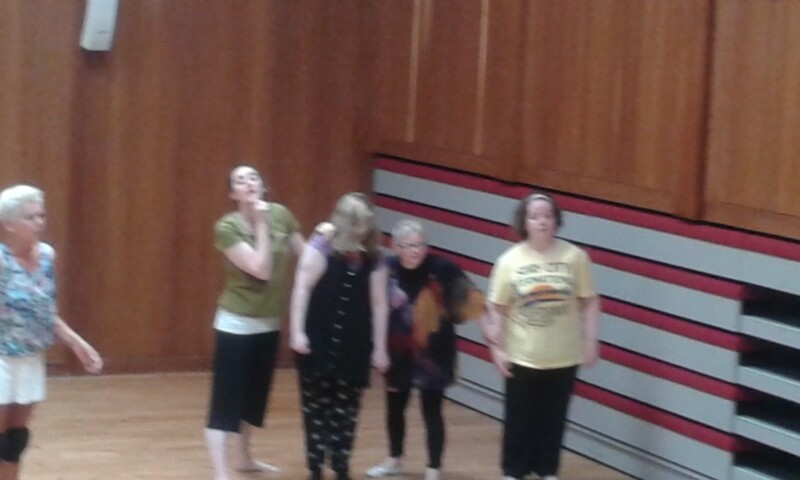 They were joined by Sally, Miriam and Julie from Blue Eyed Soul Dance Company in Shropshire. 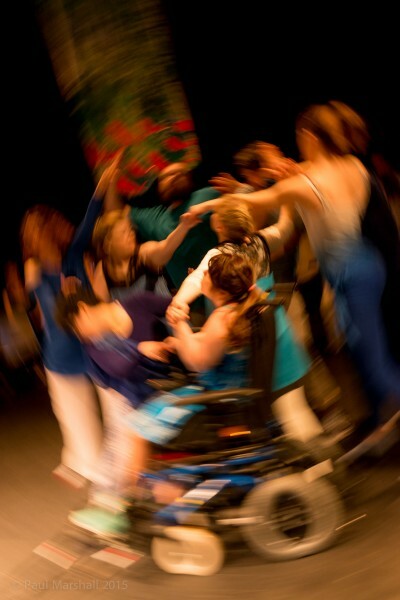 The dance training focussed on working as a group of dancers and improvisation was a key element in the skills learned. 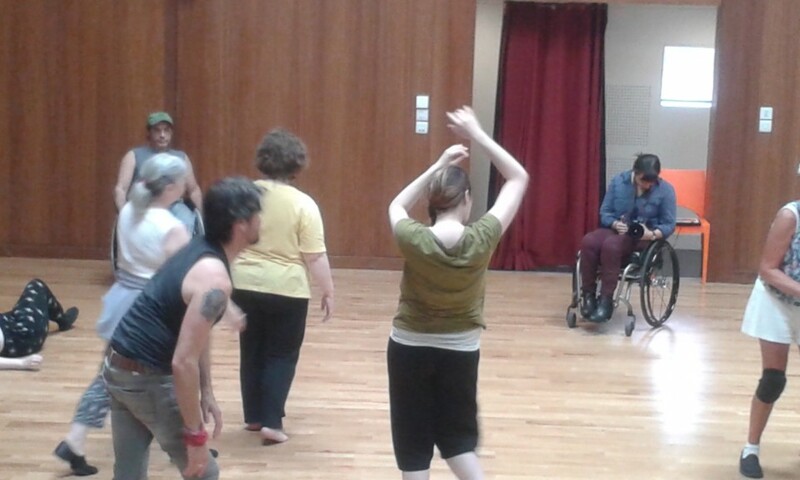 It was good to have a great deal of help from our newly recruited dance-support workers who all have a background in dance but were undertaking the role of support worker for the first time ever. 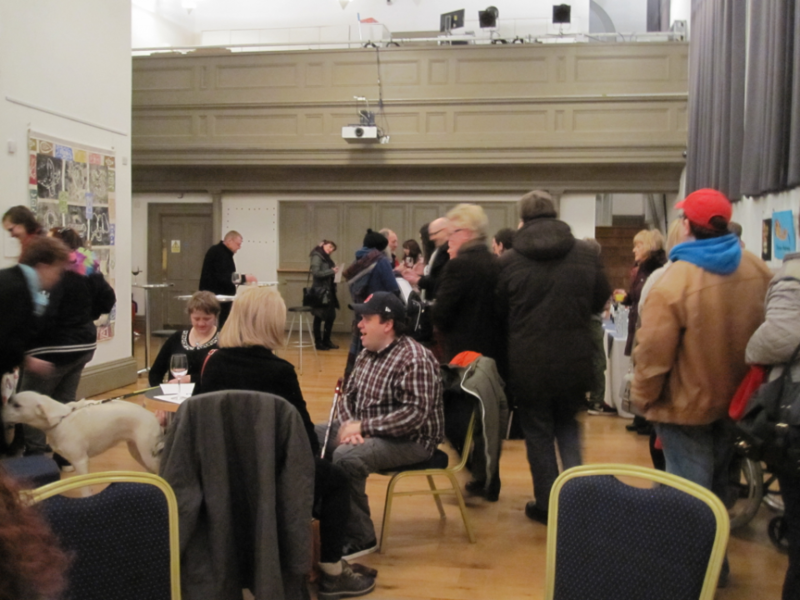 A couple of activities were organised for the evenings, including a talk about Arts and Disability organisations and the support they can provide. 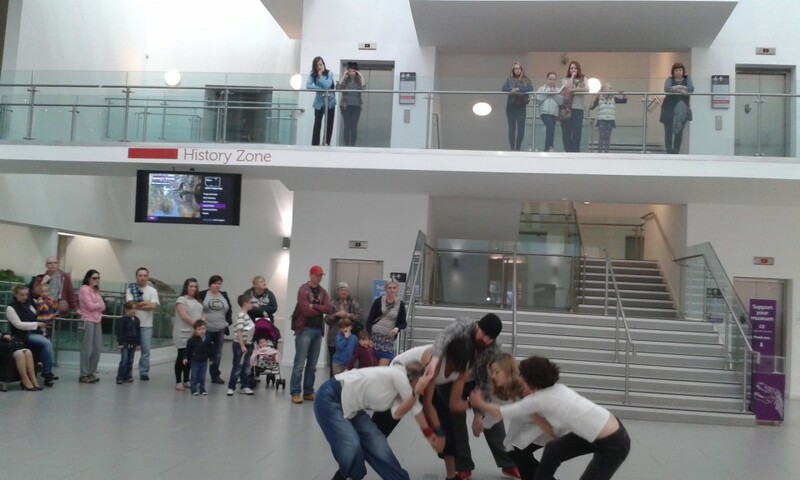 There was also a visit to a the Waterfront Hall for a performance of ‘Afterlight’ by the Russell Maliphant Company. Ryan kindly audio-described this for Katie. 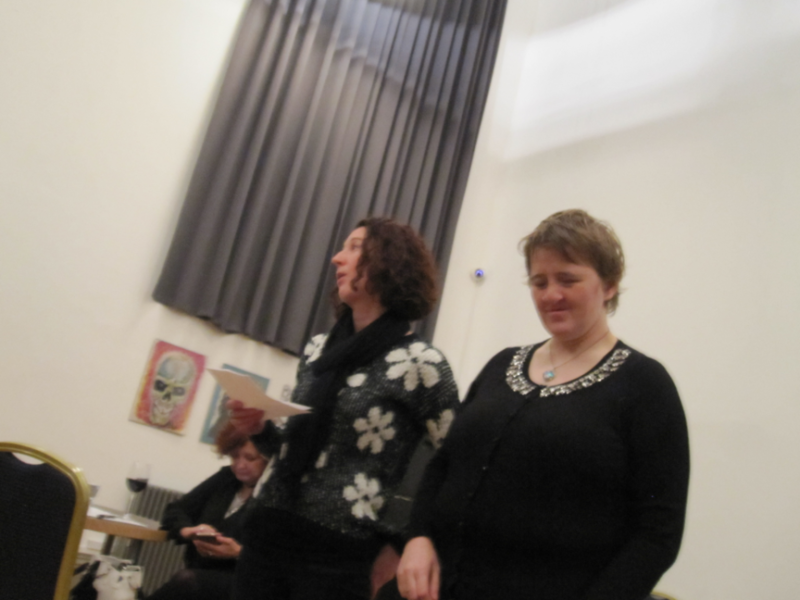 The week was rounded off on Friday afternoon with a sharing of the work that had been done. 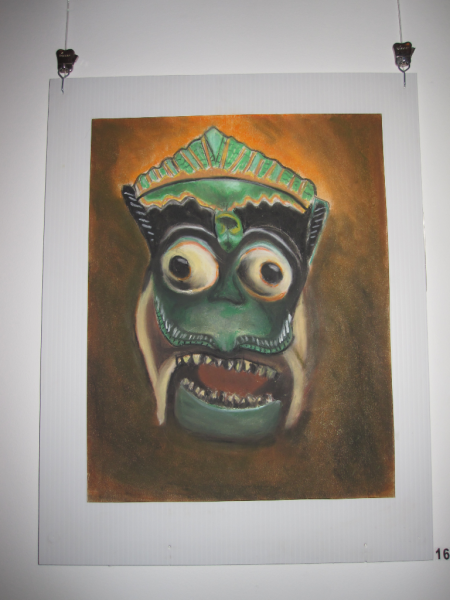 Everyone who watched was amazed at the quality of work produced after only one week. Blue Eyed Soul was very keen to take some of our aspiring dancers back to England with them. 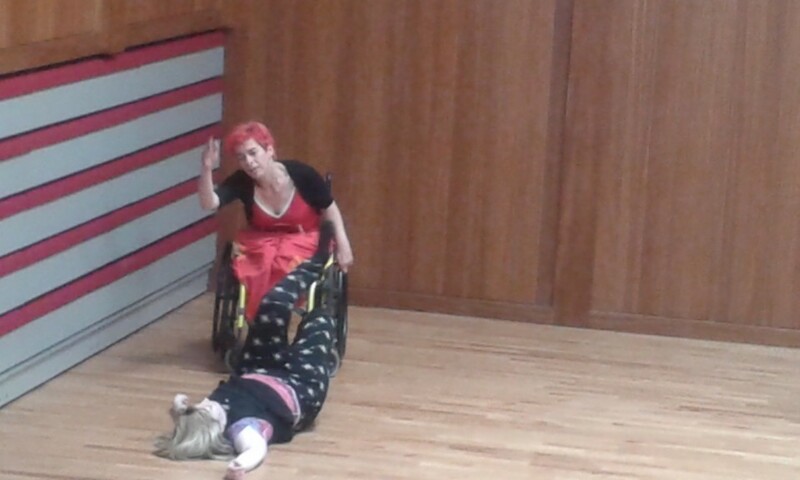 Our first ever dance residential was a rip-roaring success. N.B. The next residential will take place from 6th to 10th May 2011 at Corrymeela. Can’t wait! 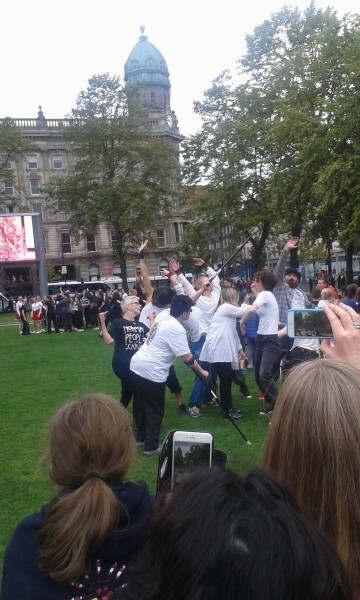 with Croí Glan Dance Company from Cork. Here’s a flavour of the fun that’s happening now, on Newcastle beach and in the Crescent Arts Centre. An inclusive group of children from all sorts of backgrounds, aged 5 to 11 are creating art music and drama and will share their creations with any one in Newcastle at 12.15 p.m. on Thursday. The happening takes place just outside the Newcastle Tourist Information Centre and on the nearby beach! Luminous Soul – Belfast can do! 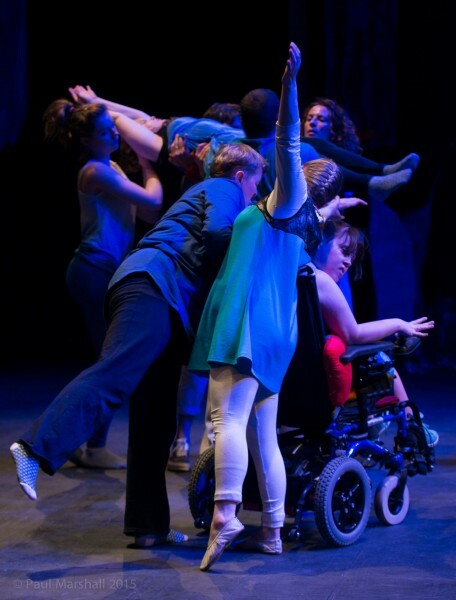 Luminous Soul is a dance project for disabled people who would like the opportunity to train to be professional dancers/ dance teachers. 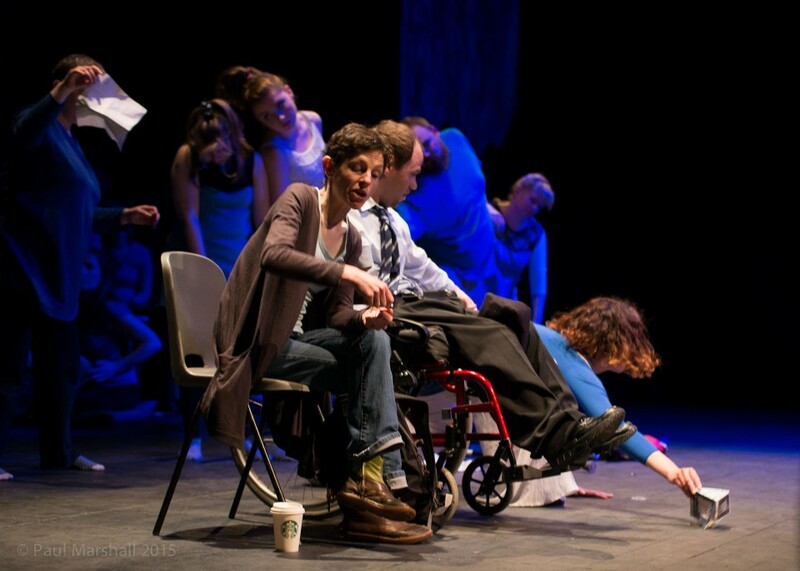 Candoco Dance Company ‘push boundaries of contemporary dance beyond usual expectations and broaden people’s perception of what dance is and who can dance’. 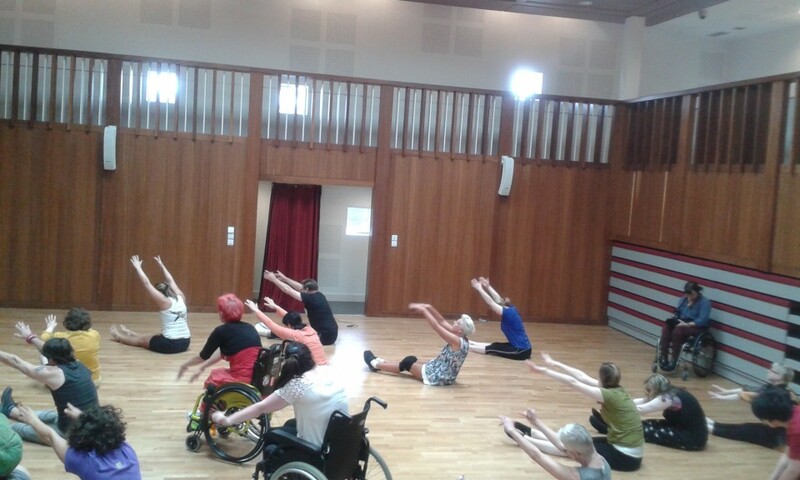 In November 2009, as the launch of the Luminous Soul dance project, 2 dance facilitators from Candoco Dance Company in London worked with disabled people at the All Souls Church Hall, Elmwood Ave, Belfast. 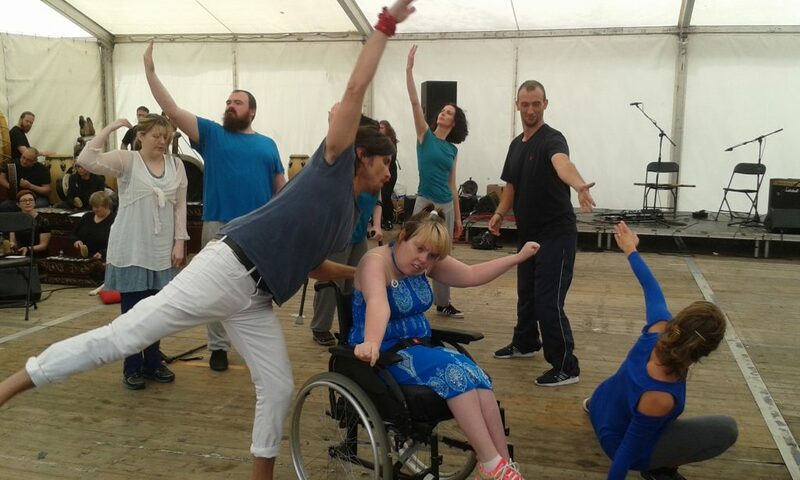 Since then we have worked with nearly 60 disabled people in Omagh, Derry and Ballymena and with the help of our international tutors, have selected 12 disabled people who we believe have the potential to work towards becoming professional dancers. Participants who are selected are then invited to attend five day long residentials (free of charge). The first of these residentials is happening in the Crescent Arts Centre, Belfast on the 17th to the 22nd of October. 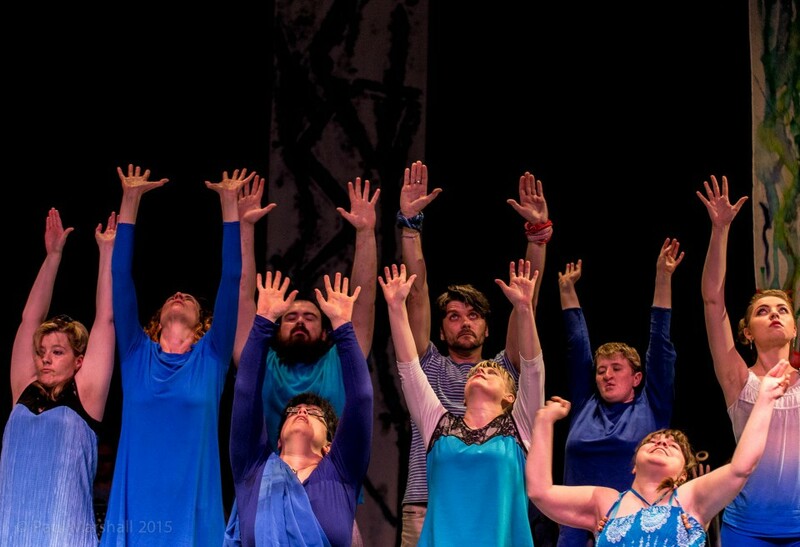 The week will be facilitated by the Blue Eyed Soul Dance Company. For information about how to take part in Luminous Soul, click here. 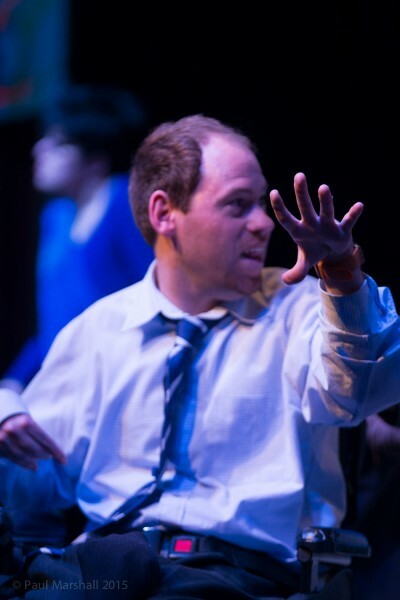 The international choreographer and award winning dancer Marc Brew is coming to Newry Sports Centre on 8th September 2010 to work with disabled people in the area who have an interest in dance. 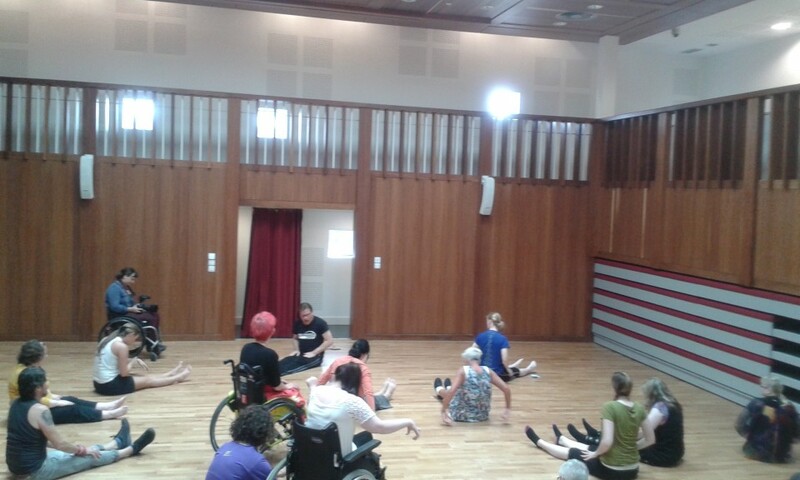 As a wheelchair user, Marc will guide the participants through a day of contemporary dance (10.30 – 15.30). Please ring Una if you would like more information on 02890240765. There is no cost but please complete a registration form. 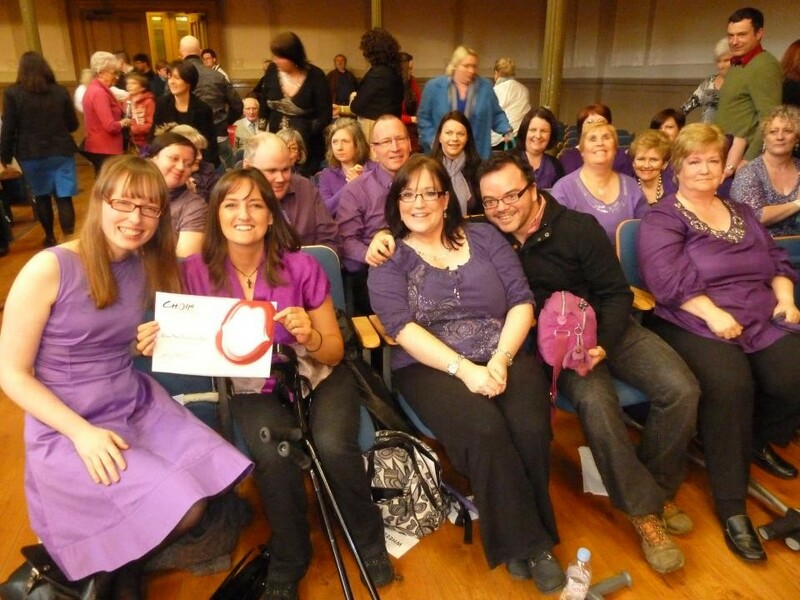 Open Arts Community Choir Beat the Best in Bangor! The Open Arts Community Choir took part in the Bangor International Choral Festival last Saturday, 24 April 2010, with choirs competing from Wales, Scotland, Bath, Northern Ireland and the Philippines. 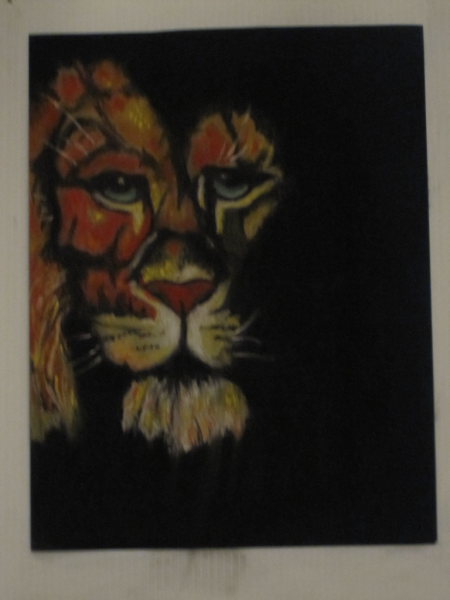 Well done again Open Arts!! 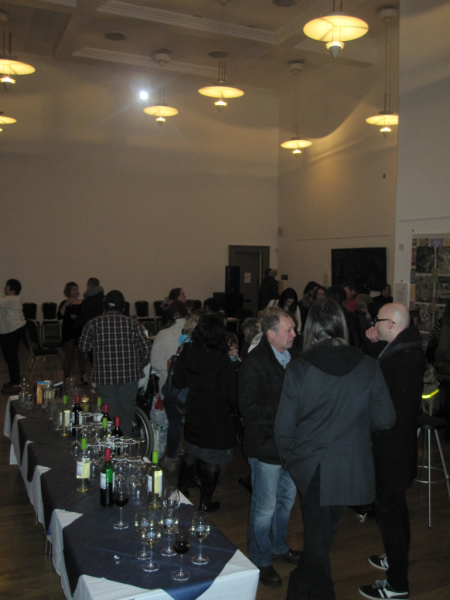 The Crescent Arts Centre refurbishment is finally finished and so Open Arts has moved back to its old home. 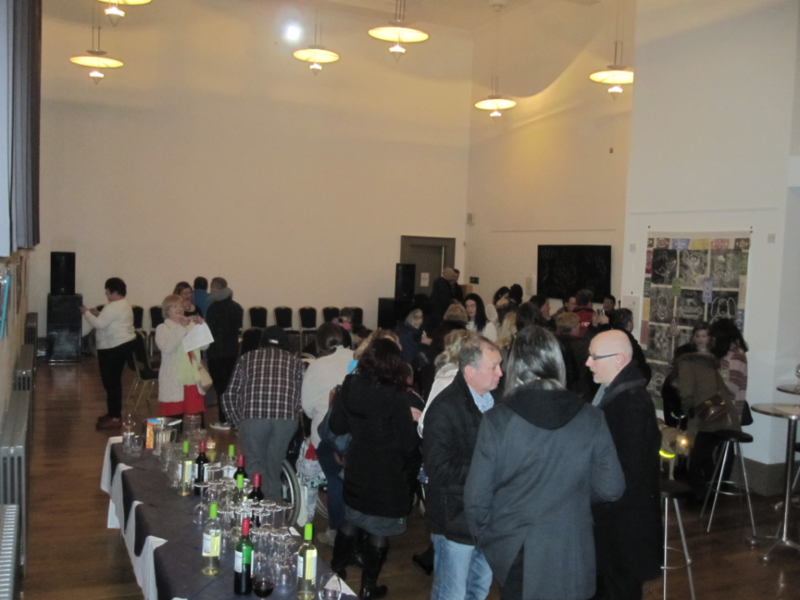 For more information on the Crescent Arts centre click here. For a video and interview about the refurbishment click here. 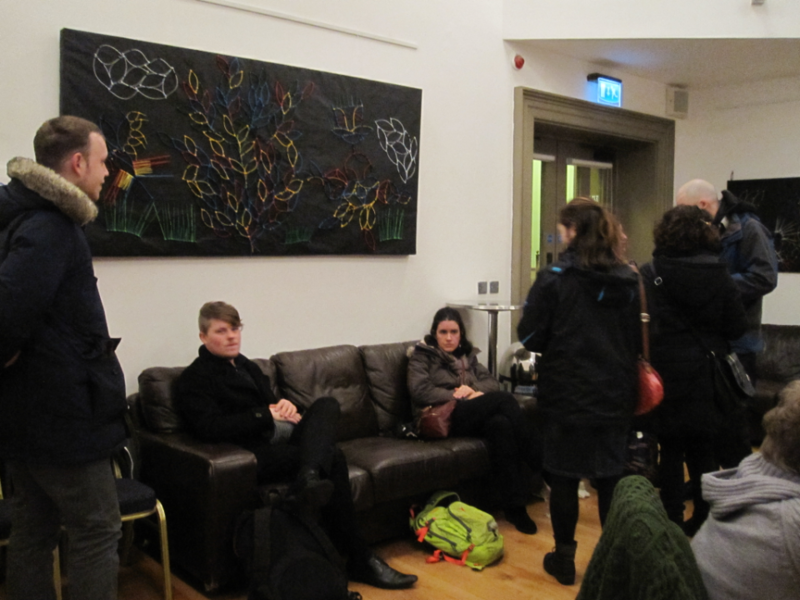 On Tuesday 16th February we had a feedback session in which we invited our summer scheme attenders to come to the Ulster Hall and enjoy working with music and visual arts. This was an end in itself, but we also wanted ideas on what to do in 2010’s Summer Scheme. 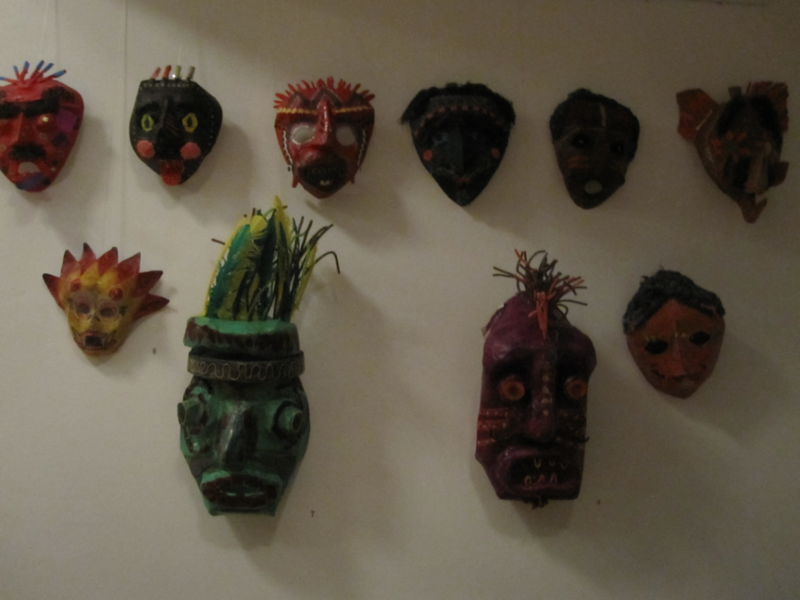 We learned some songs, we made masks and plaques to hang on the wall and we were given all sorts of exciting ideas. Some of the suggestions for what to do were a little impractical (a trip to New York City or the Jungle) and some were much more do-able, like a musical or a visit to the park. The Zoo seemed to be a favourite place to visit. Some of the ideas appear here as pictures drawn by our eager beavers. Now all we have to do is go away and create a timetable which accommodates all those ideas and hope that Children in Need, who very kindly funded last year’s Summer Scheme, will support this one.